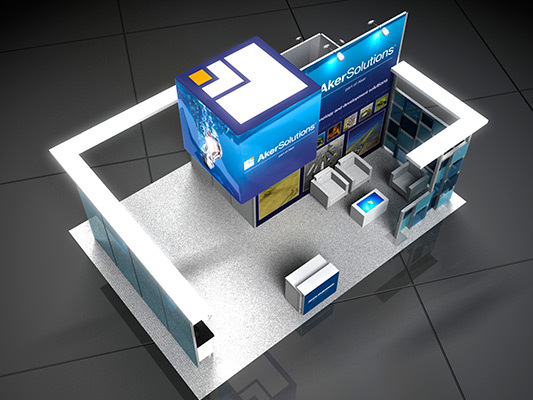 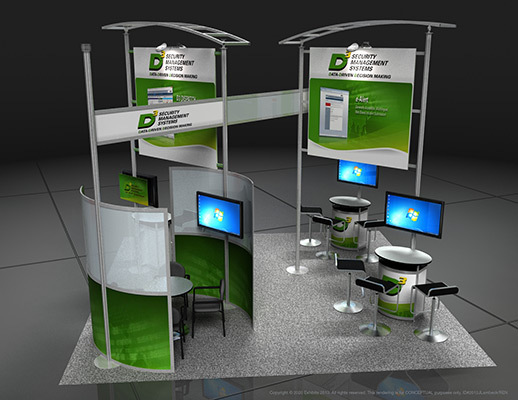 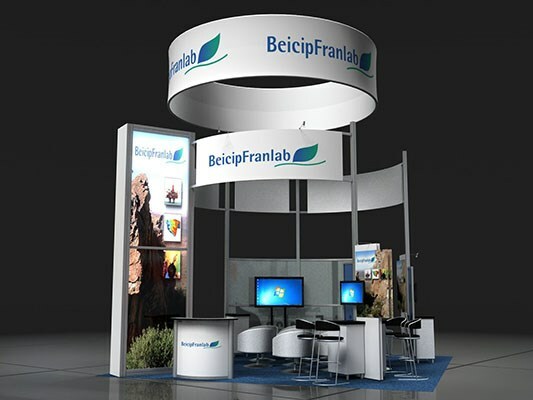 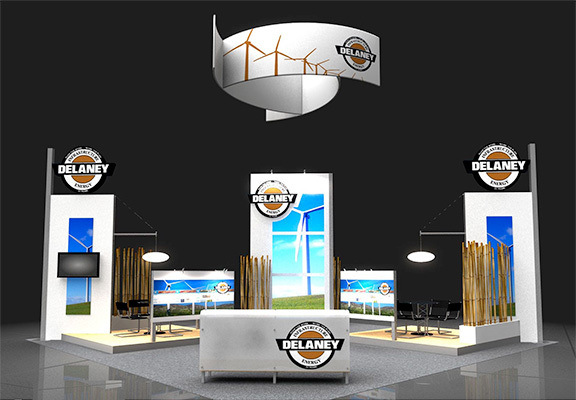 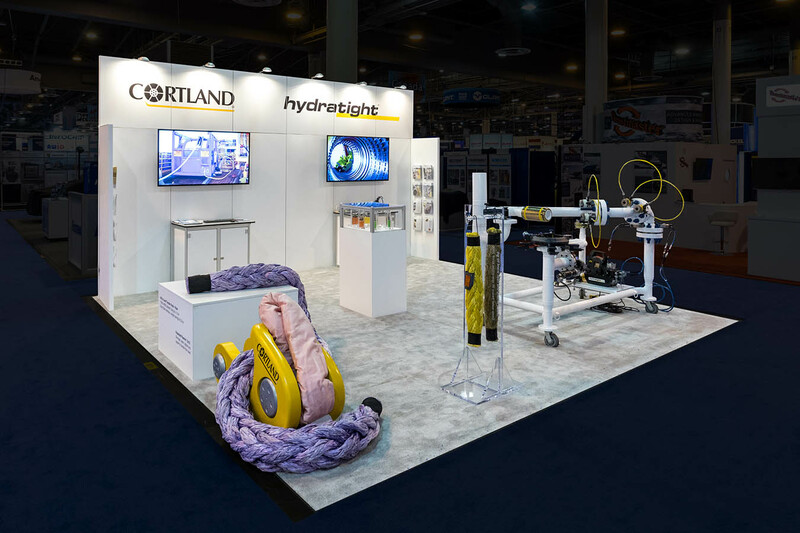 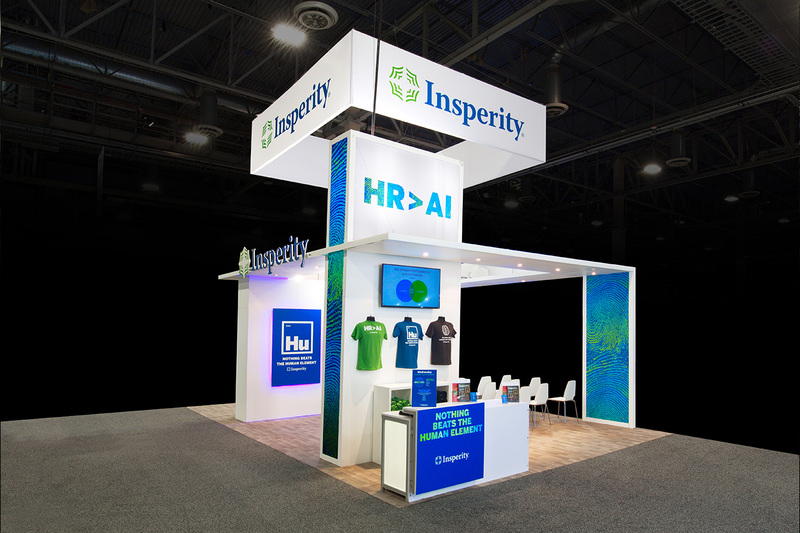 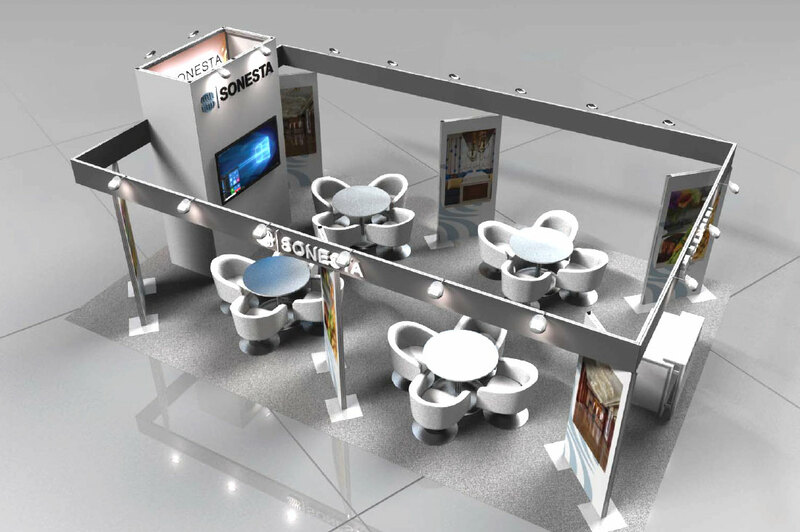 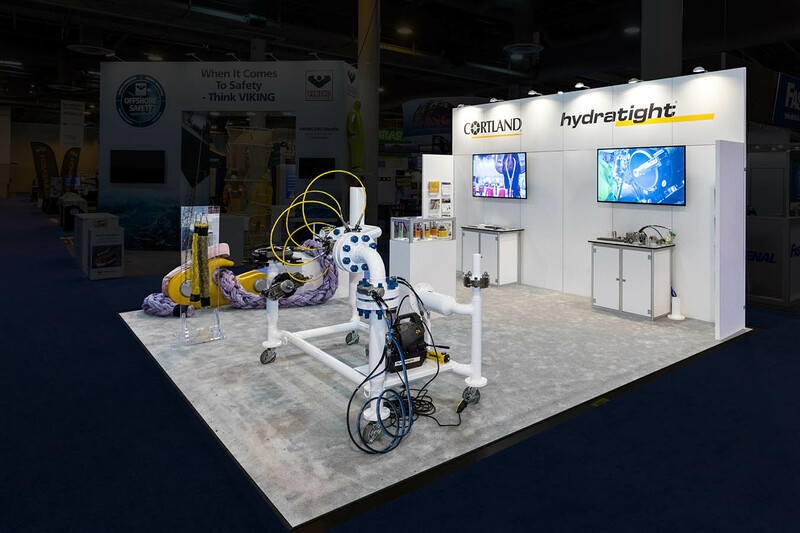 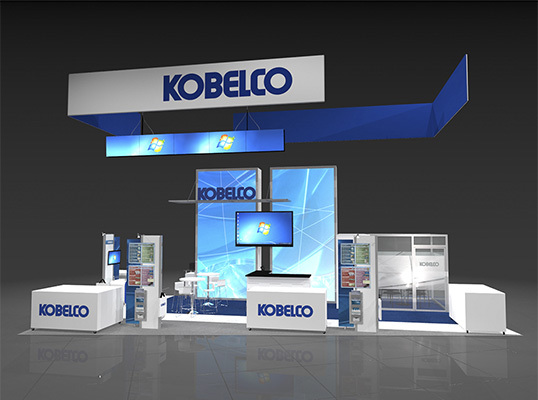 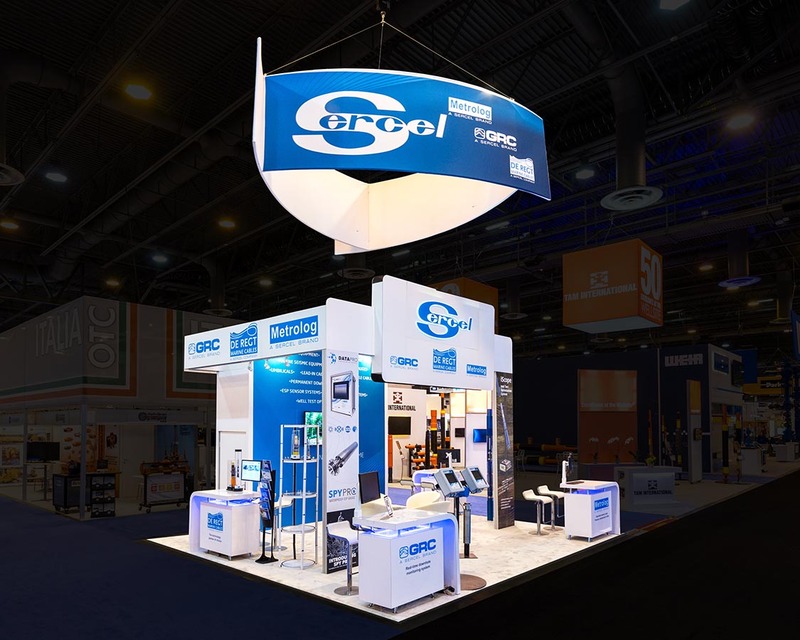 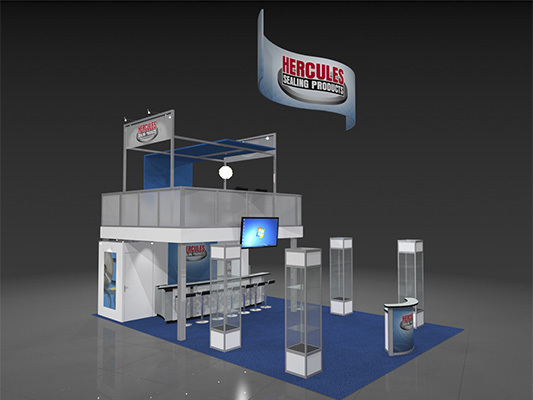 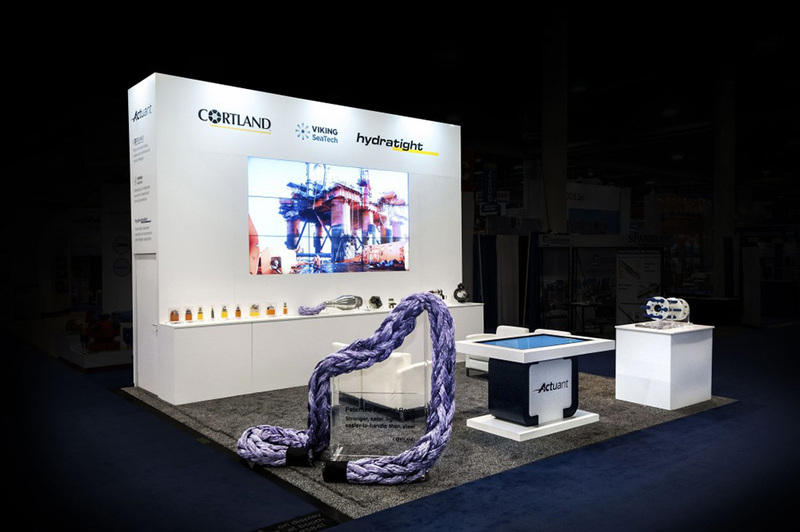 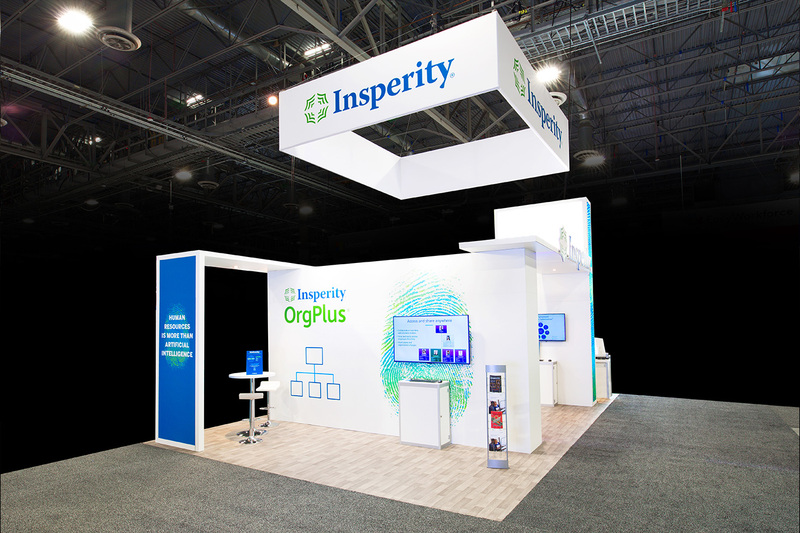 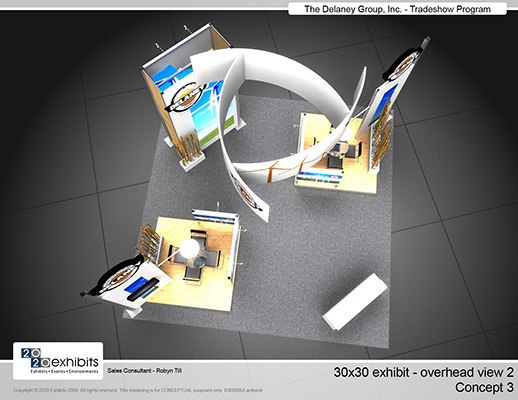 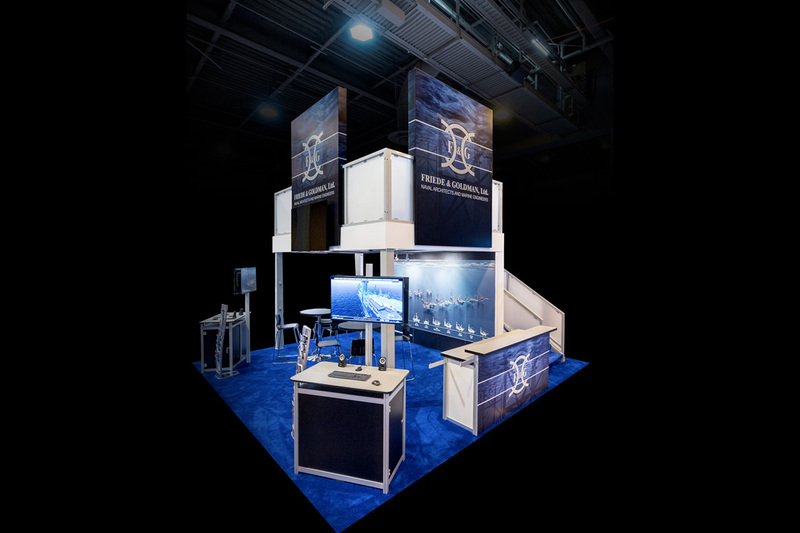 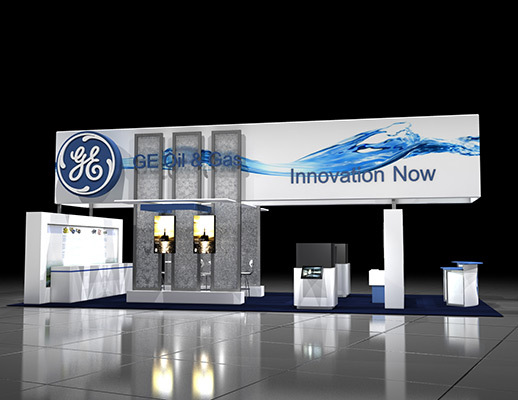 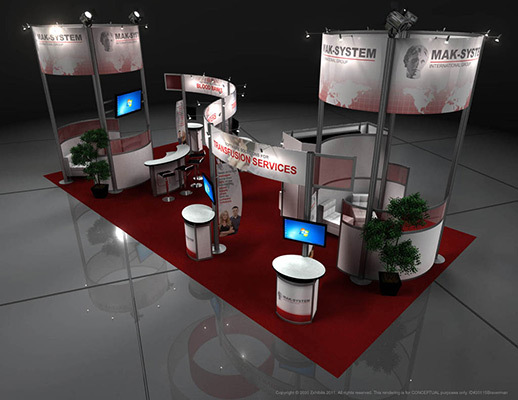 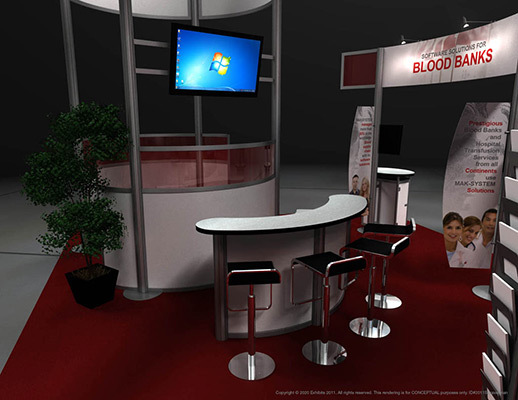 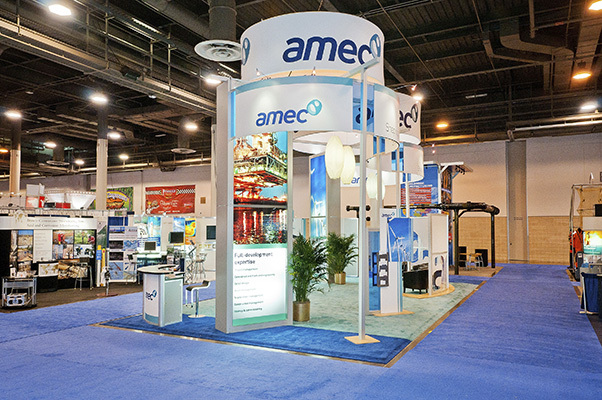 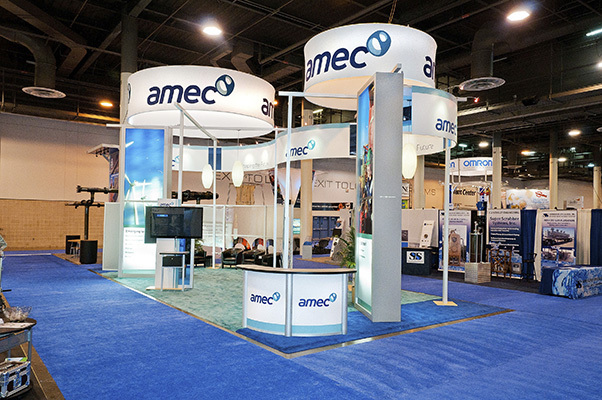 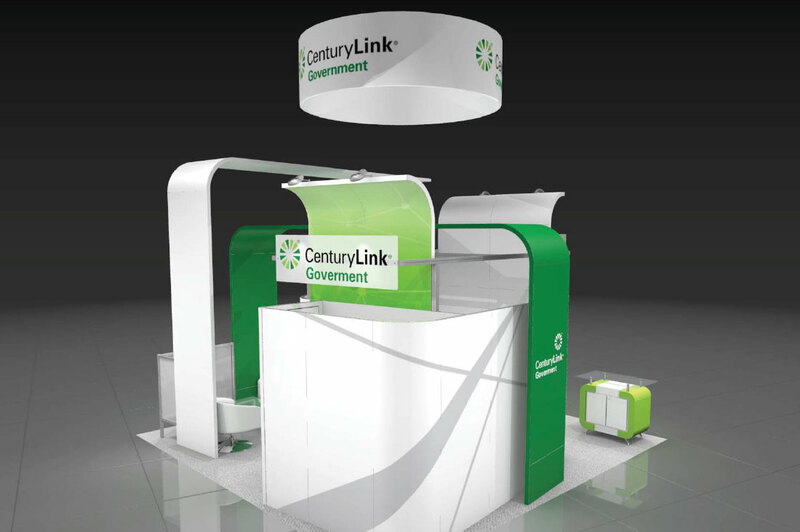 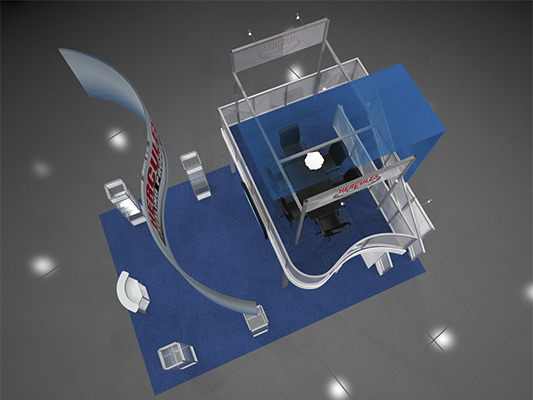 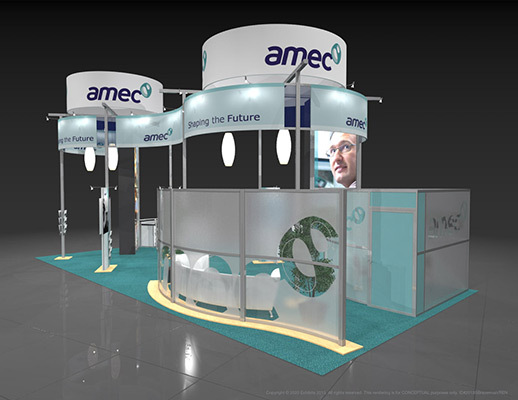 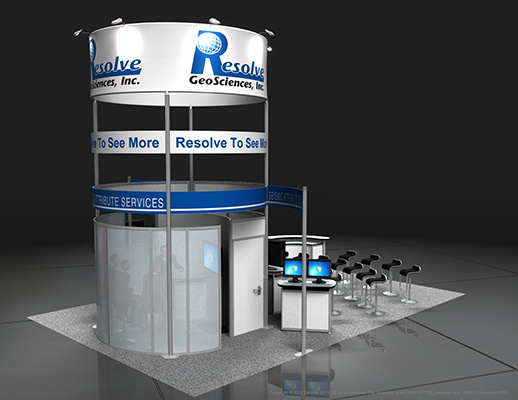 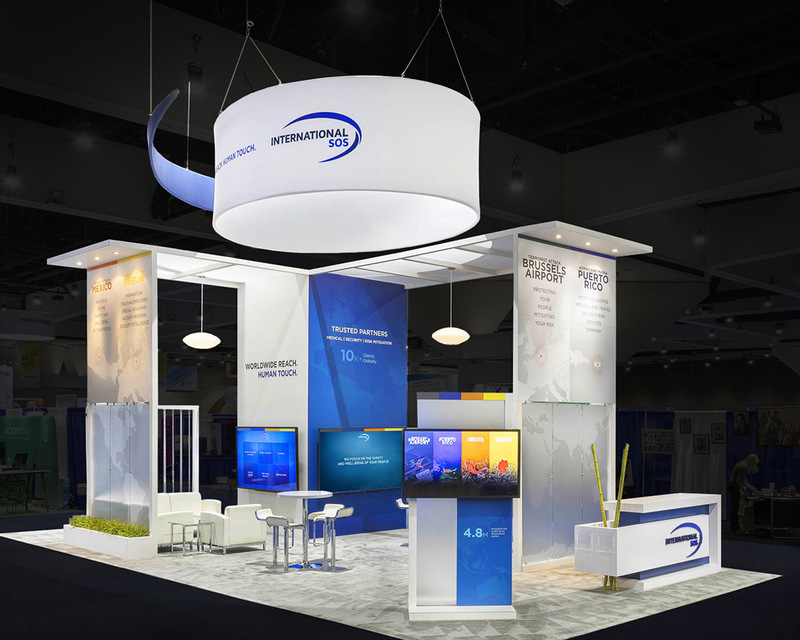 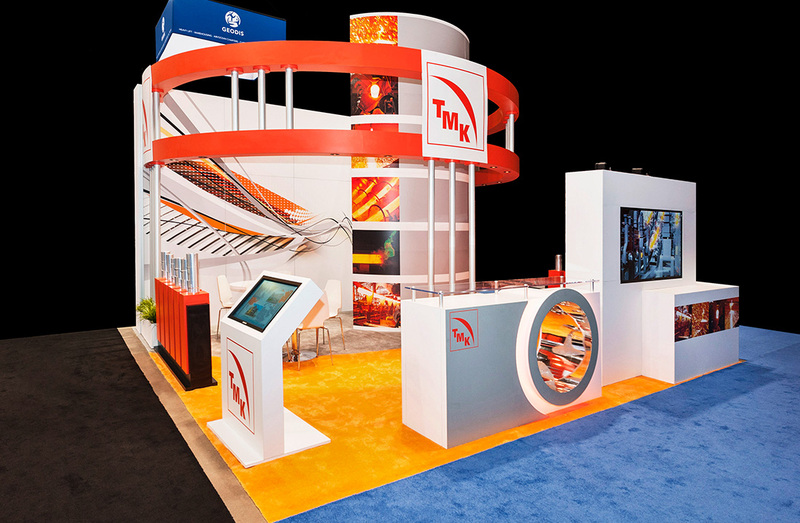 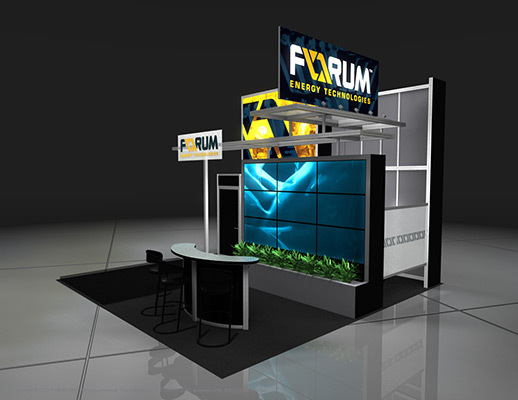 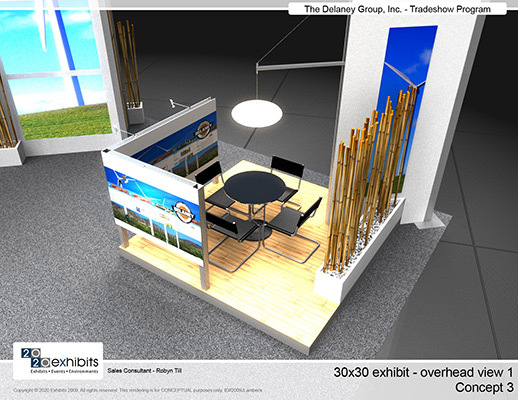 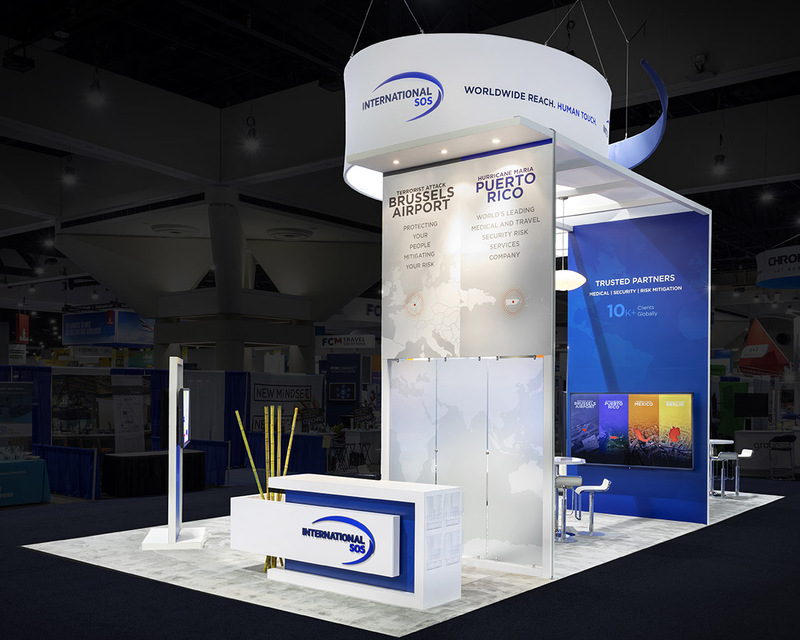 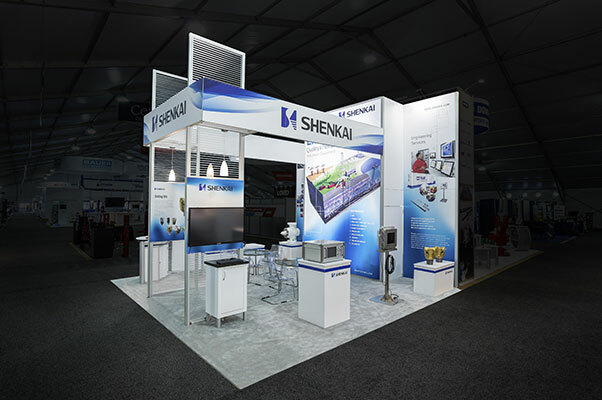 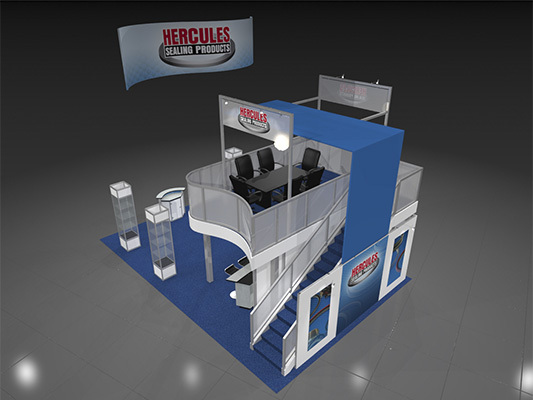 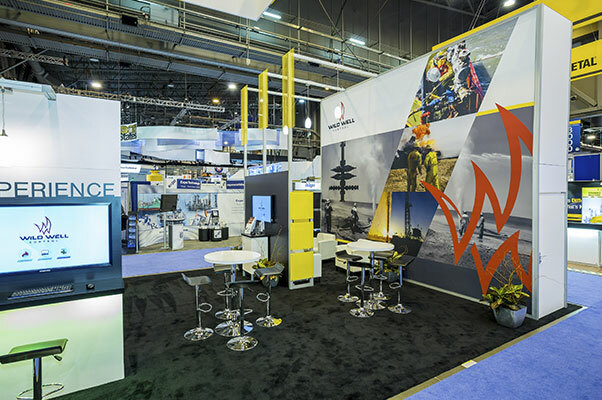 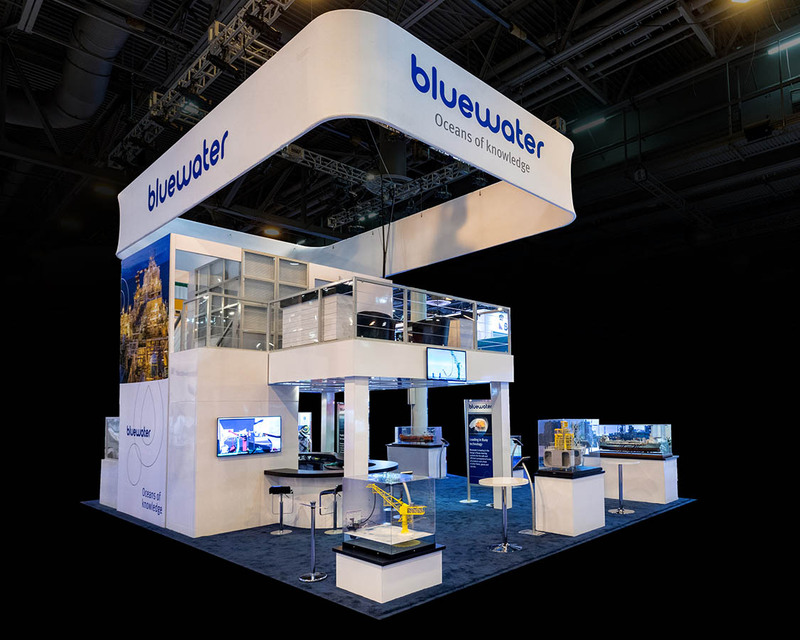 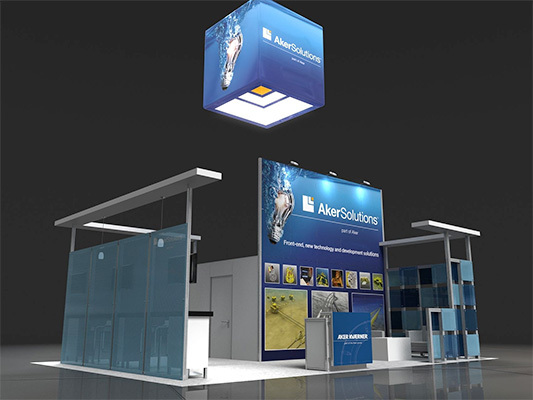 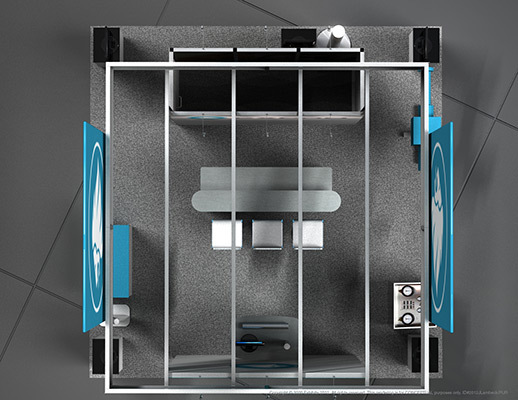 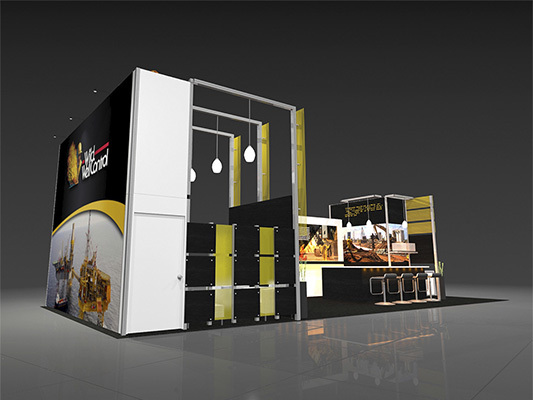 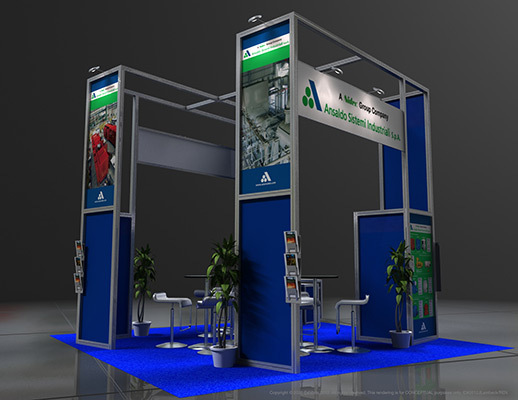 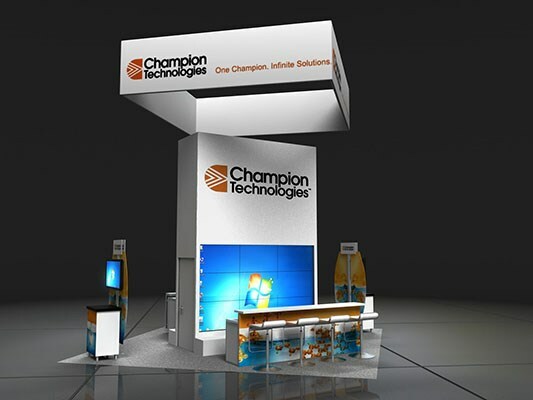 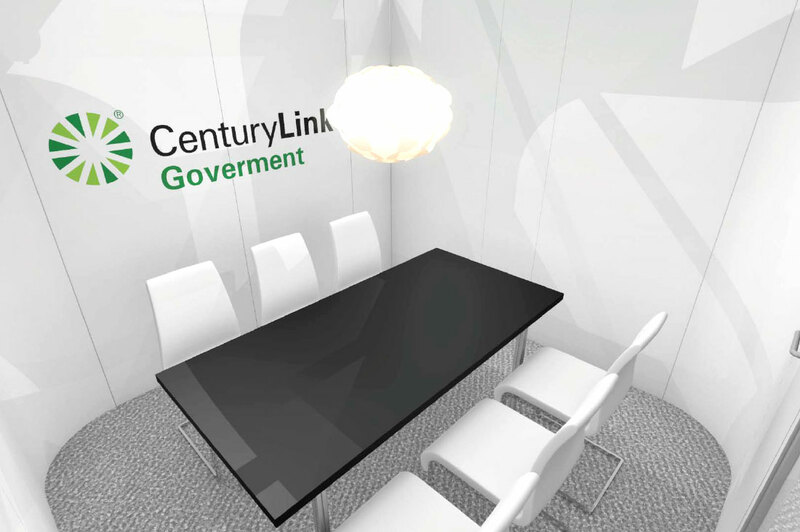 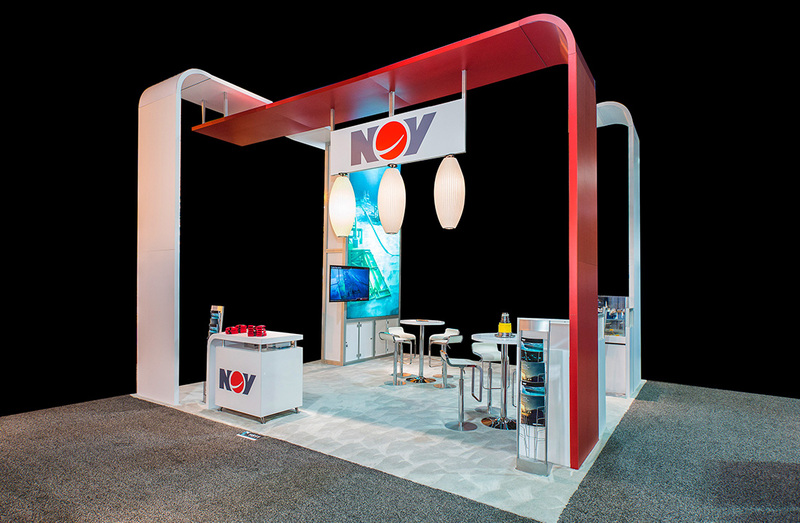 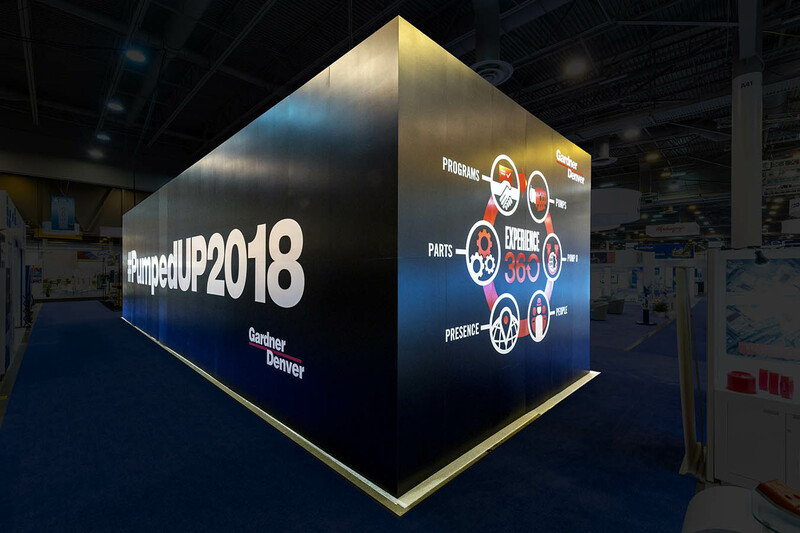 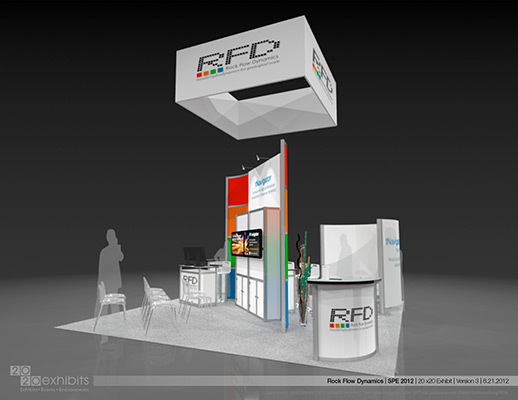 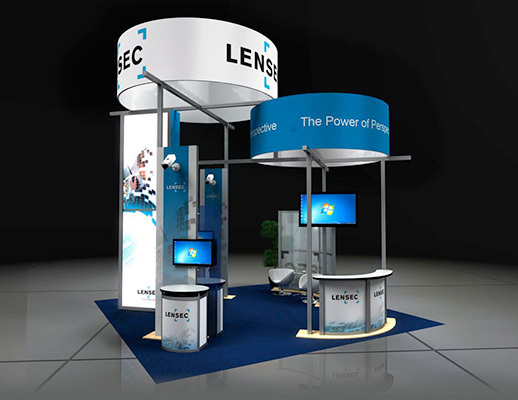 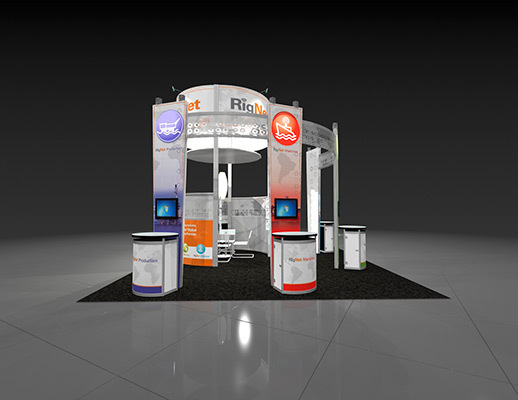 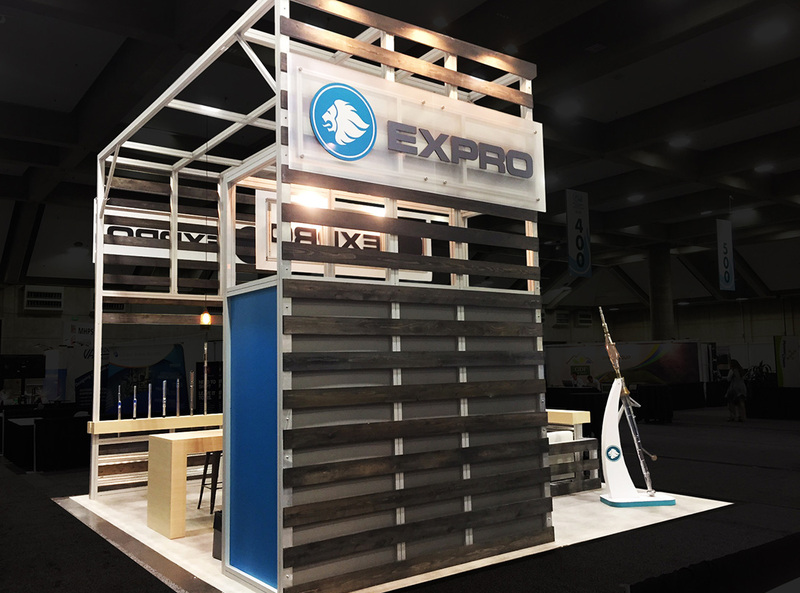 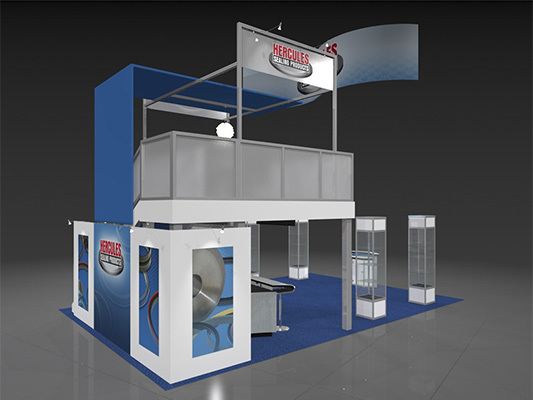 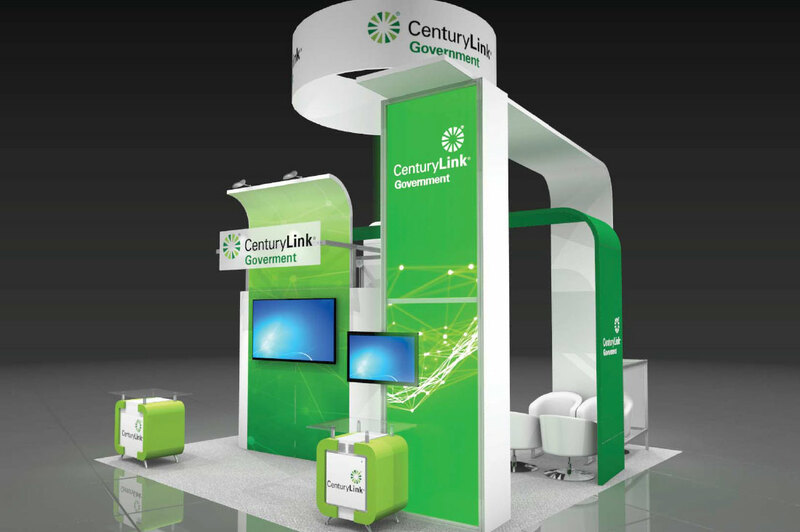 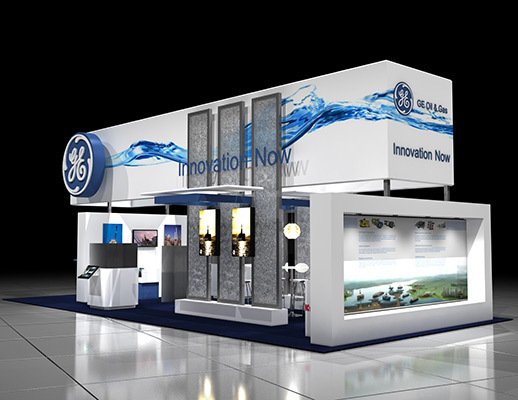 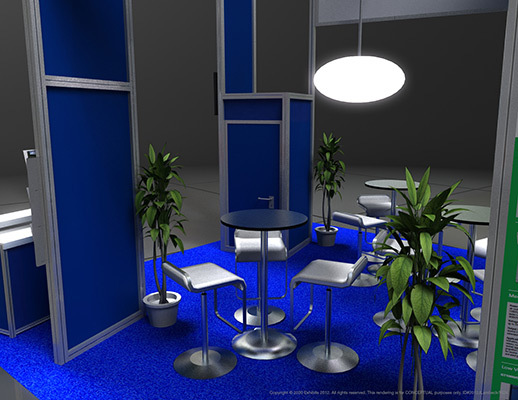 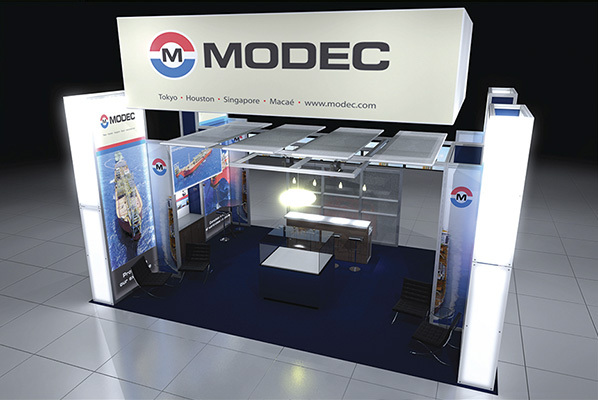 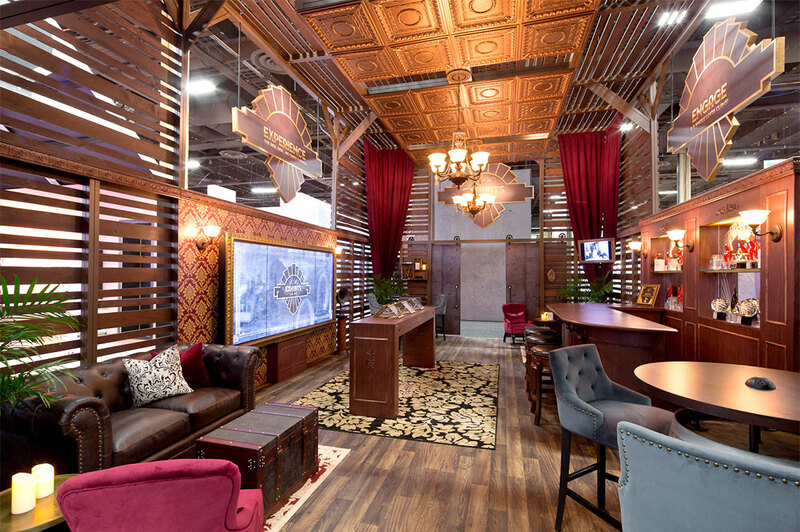 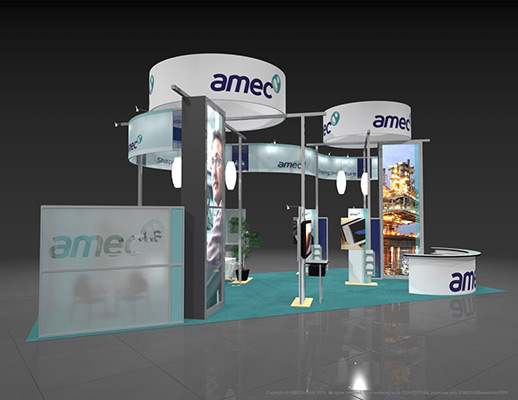 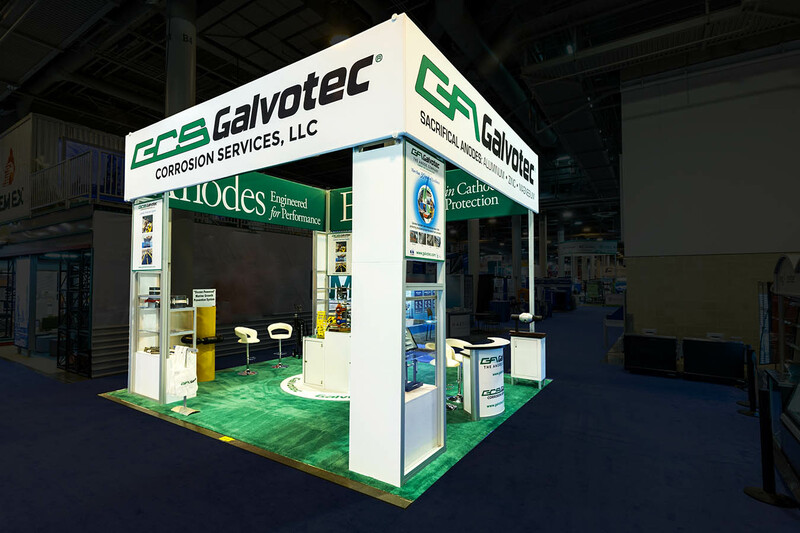 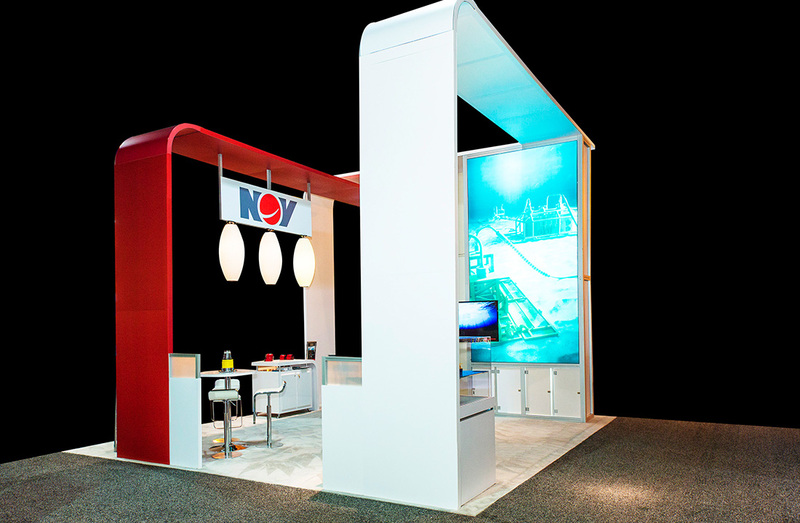 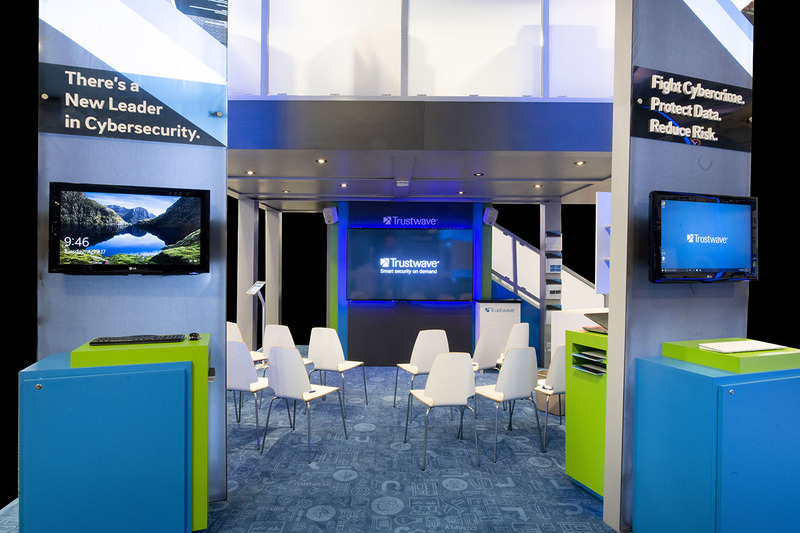 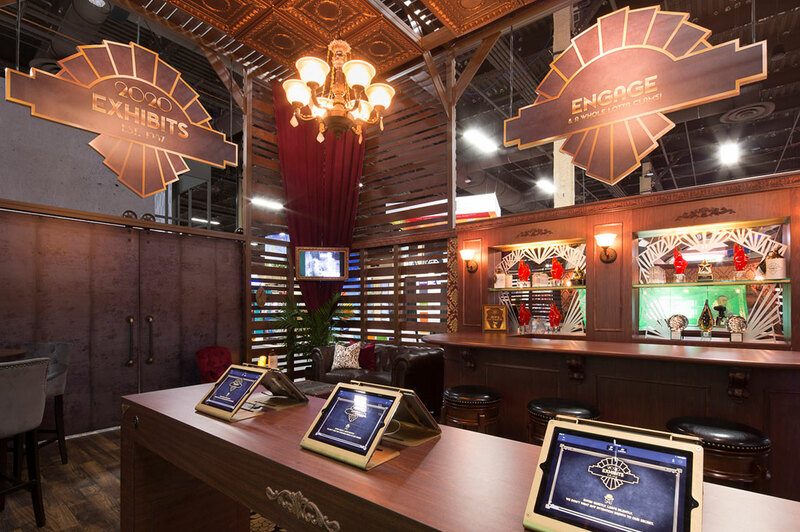 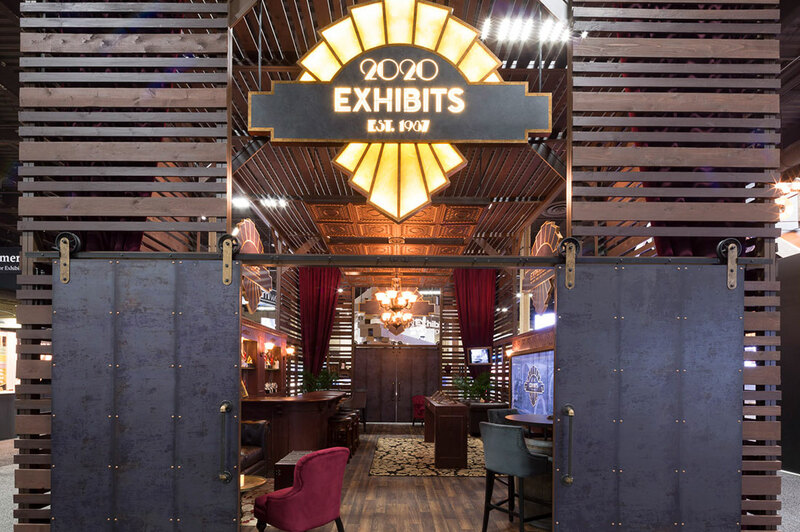 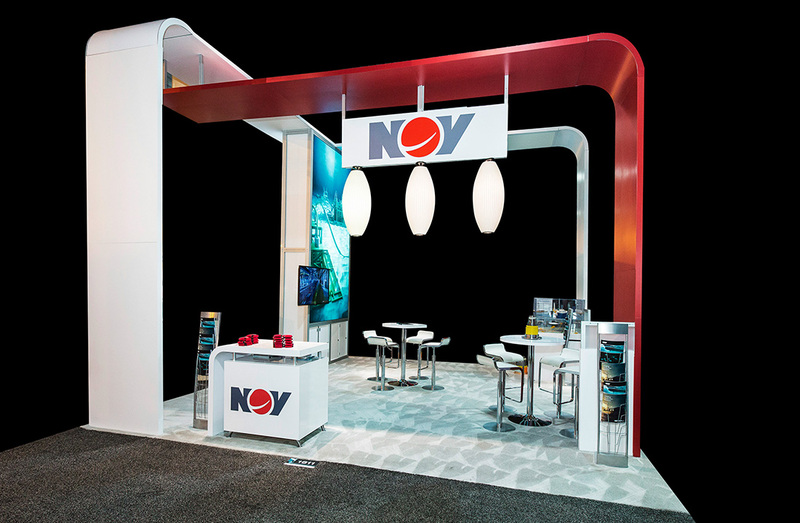 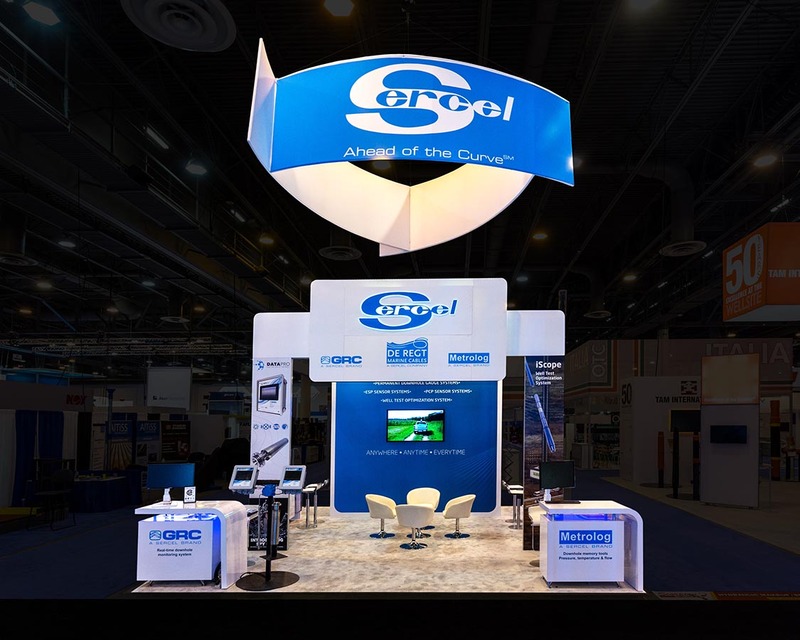 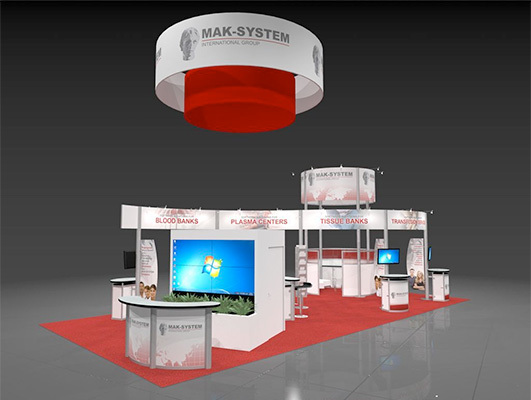 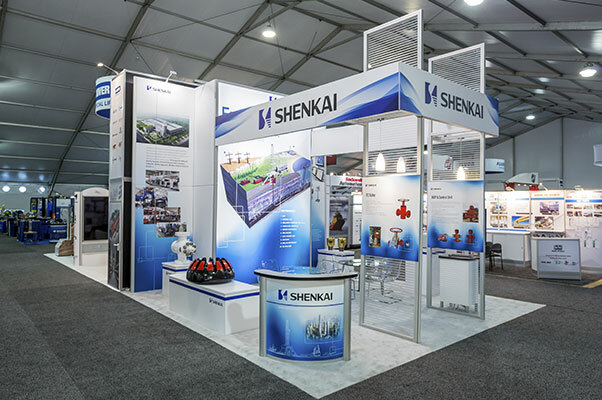 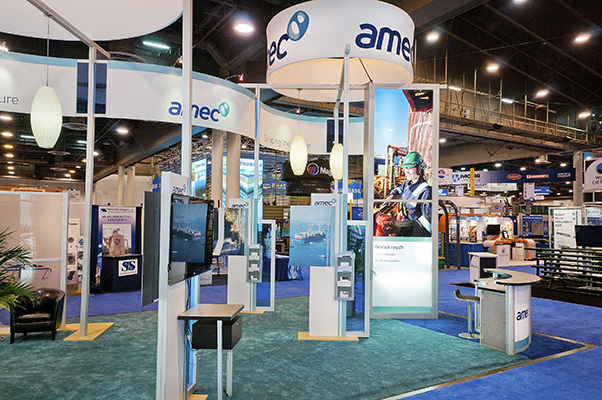 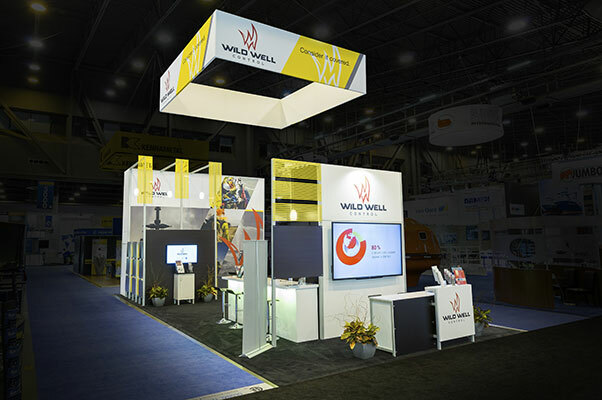 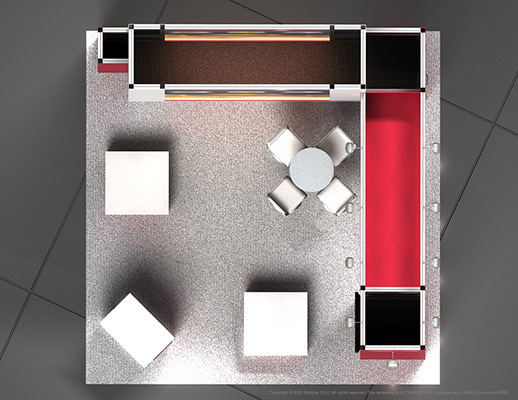 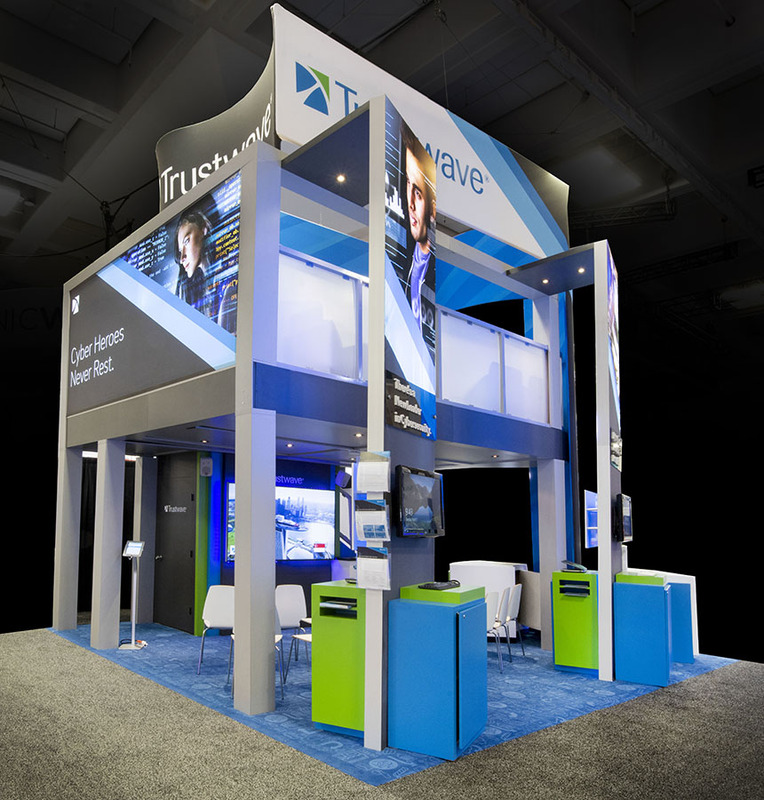 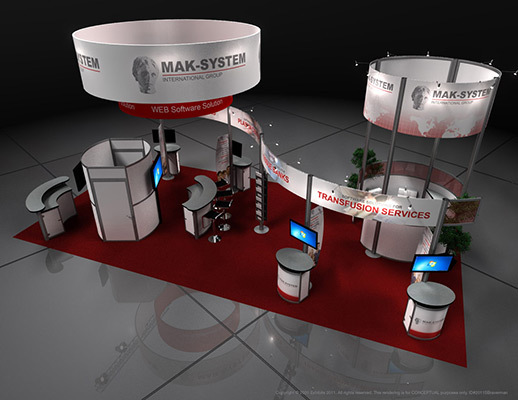 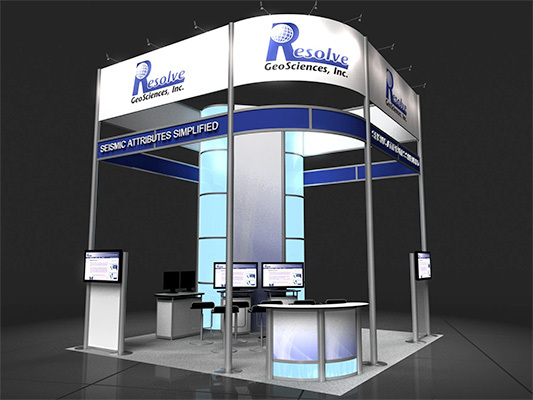 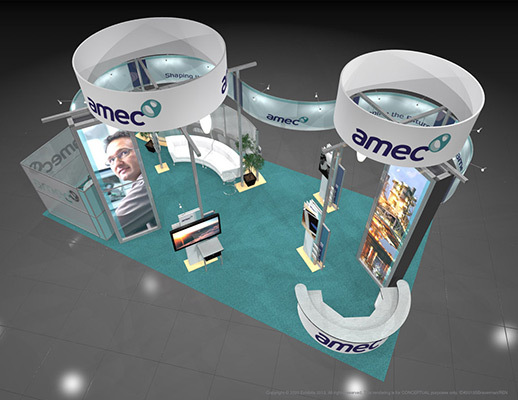 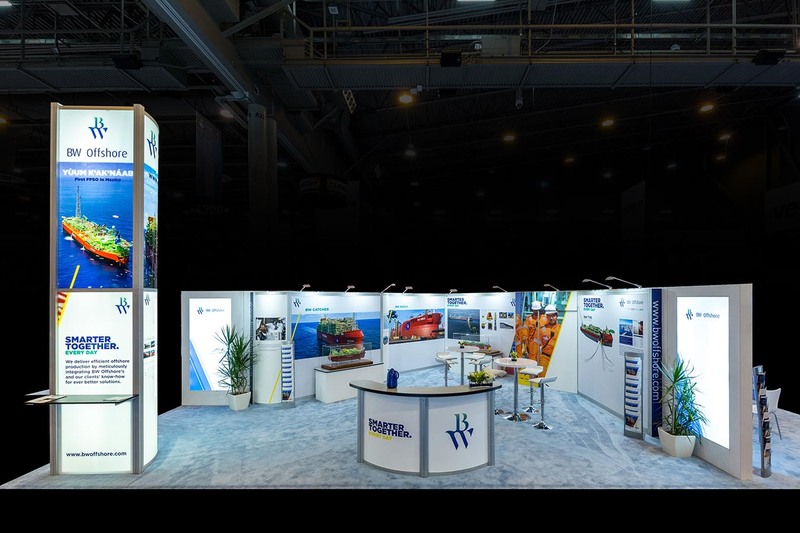 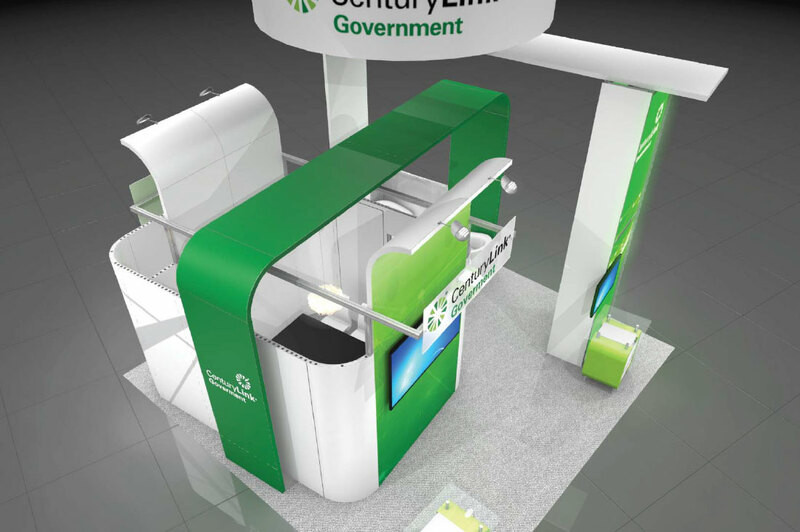 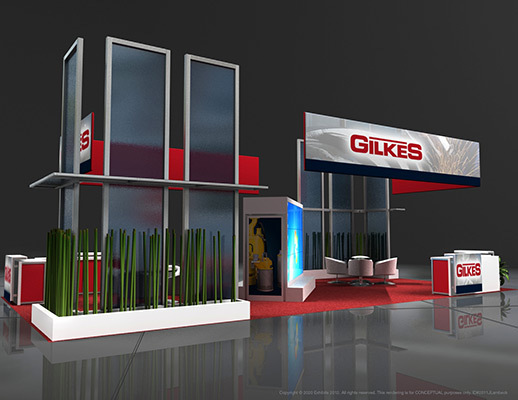 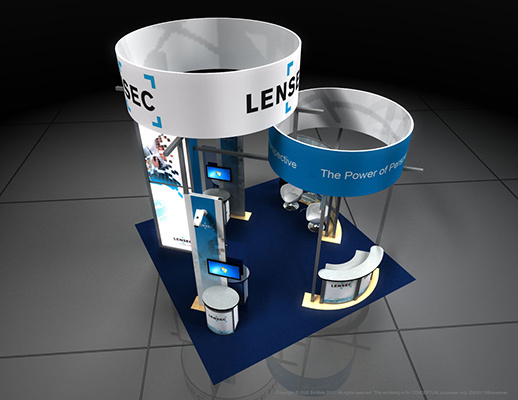 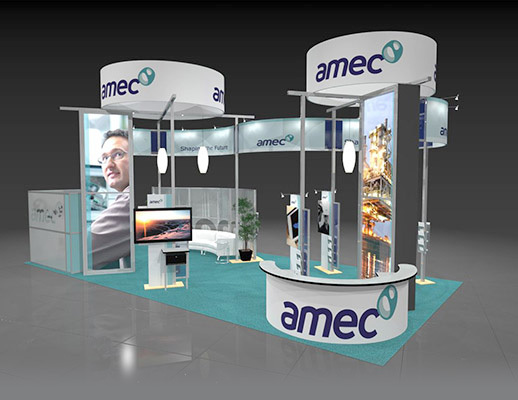 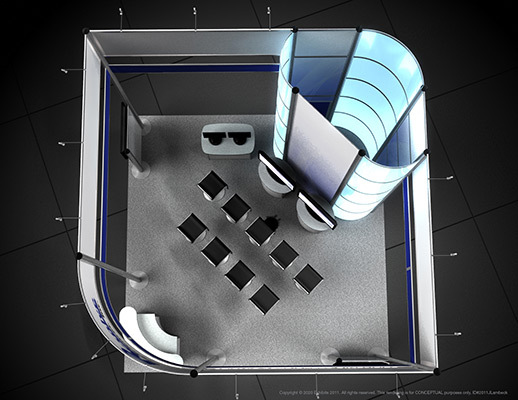 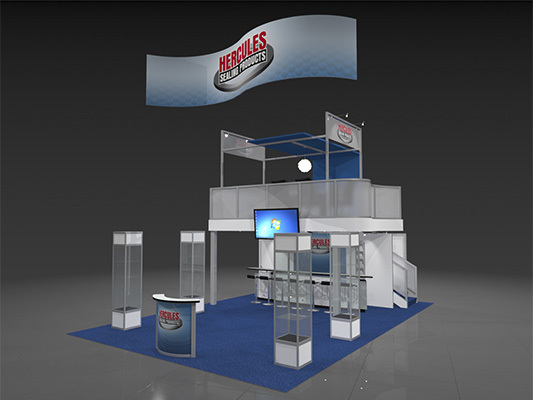 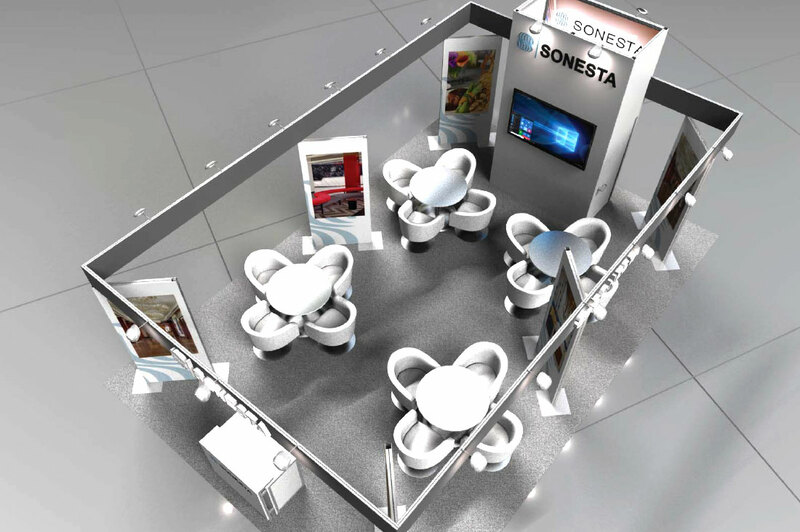 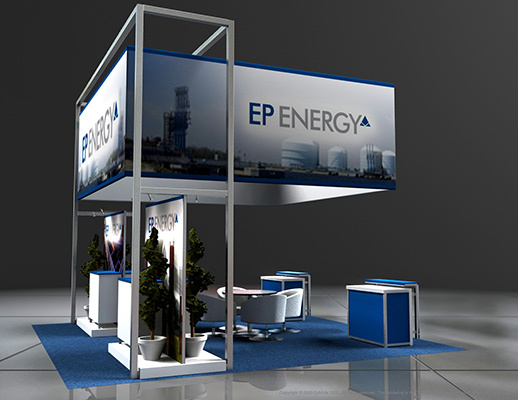 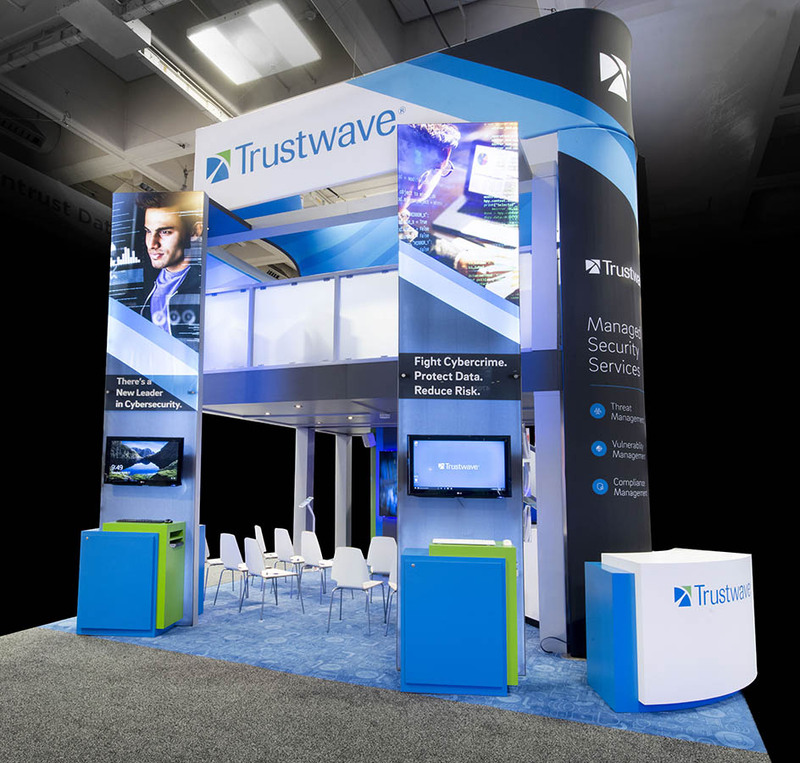 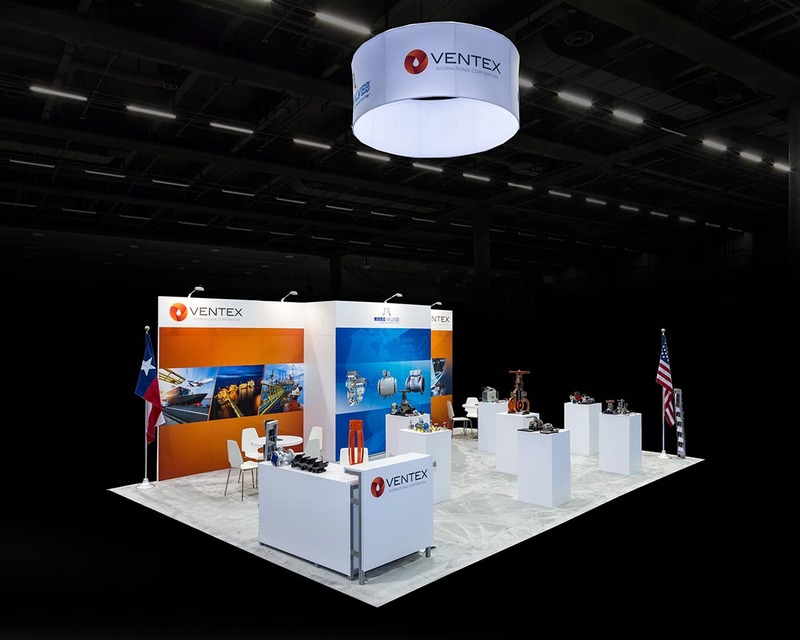 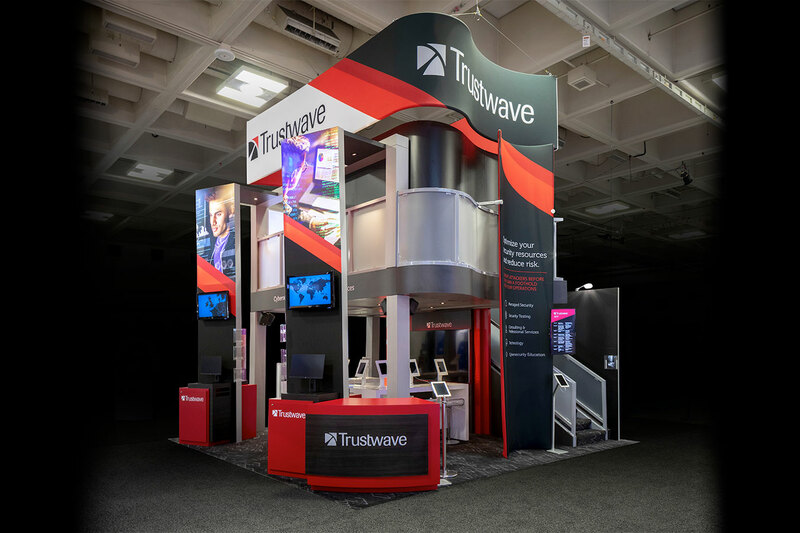 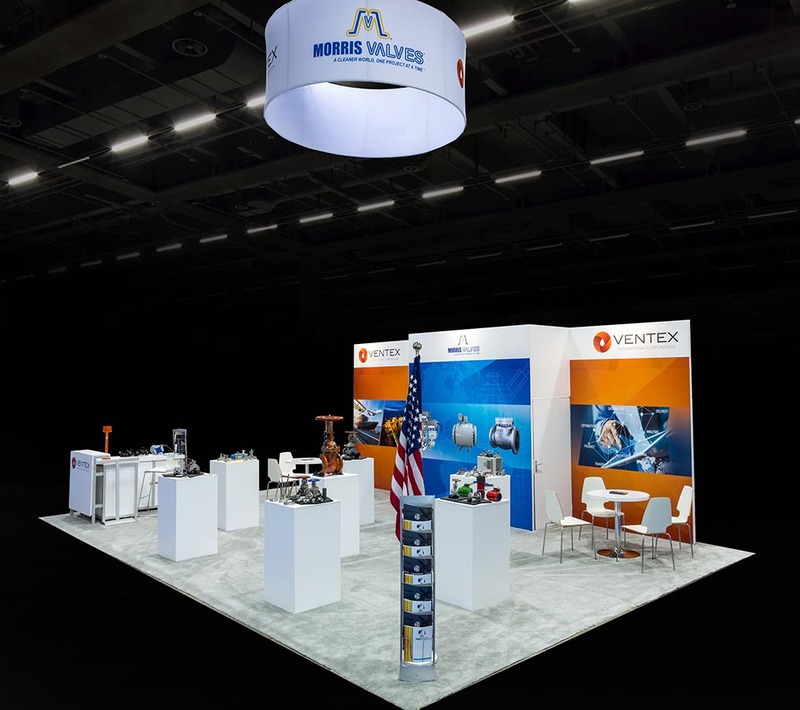 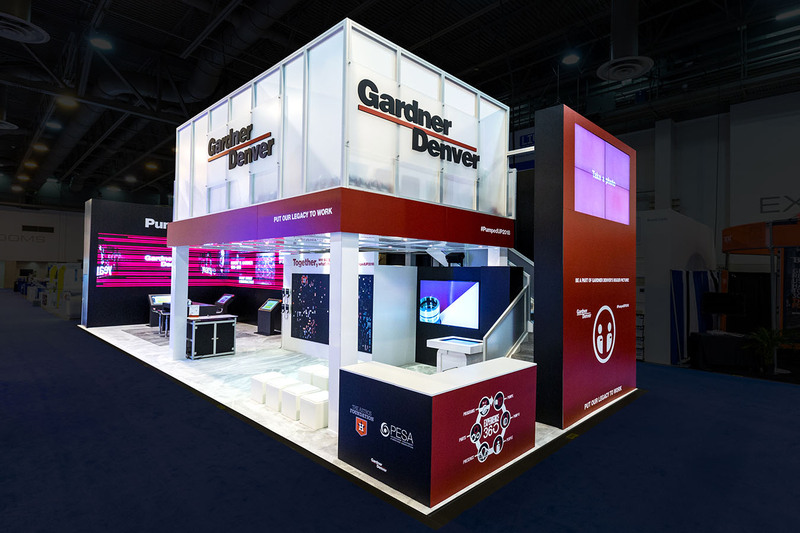 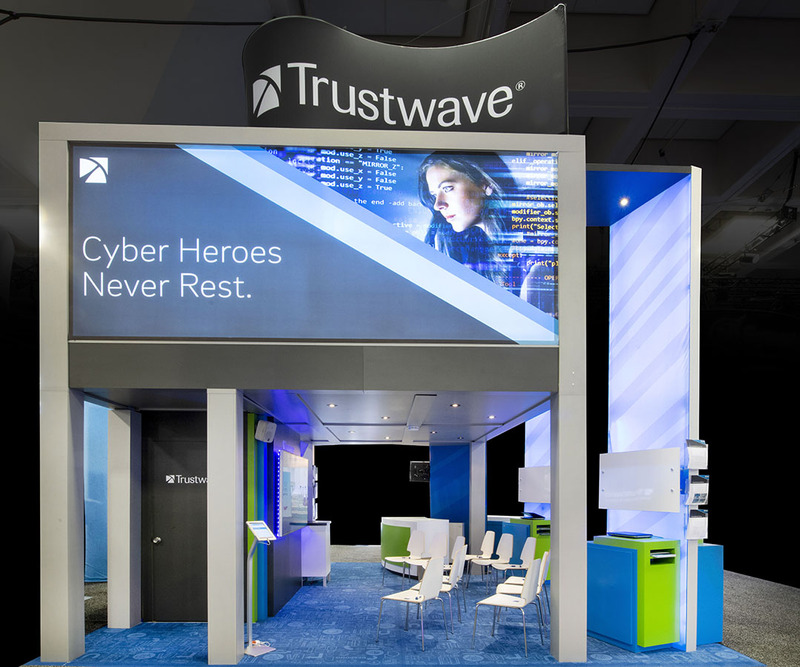 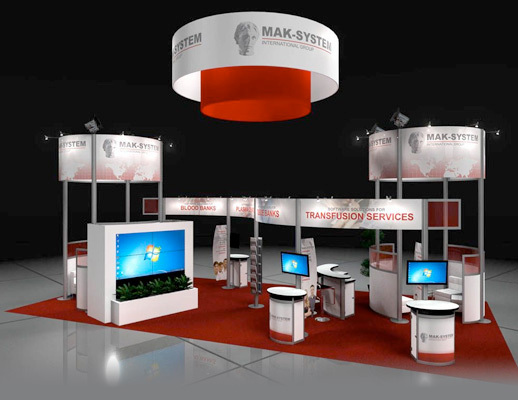 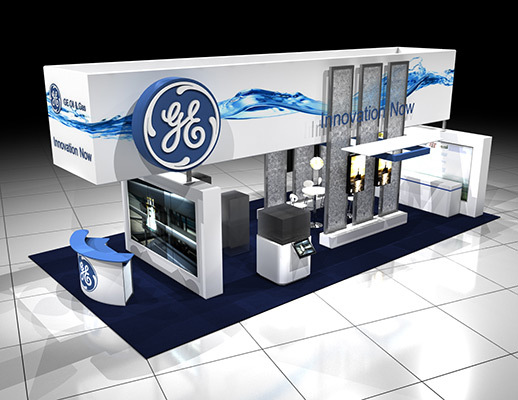 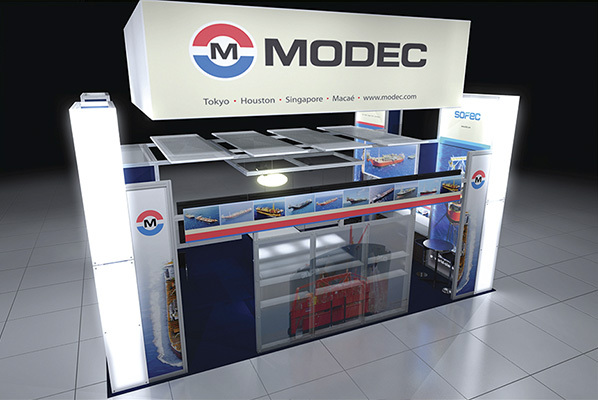 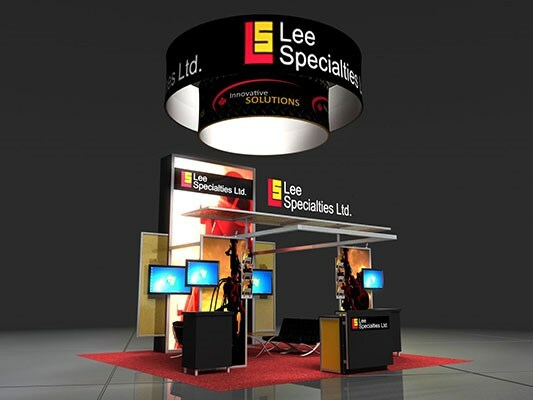 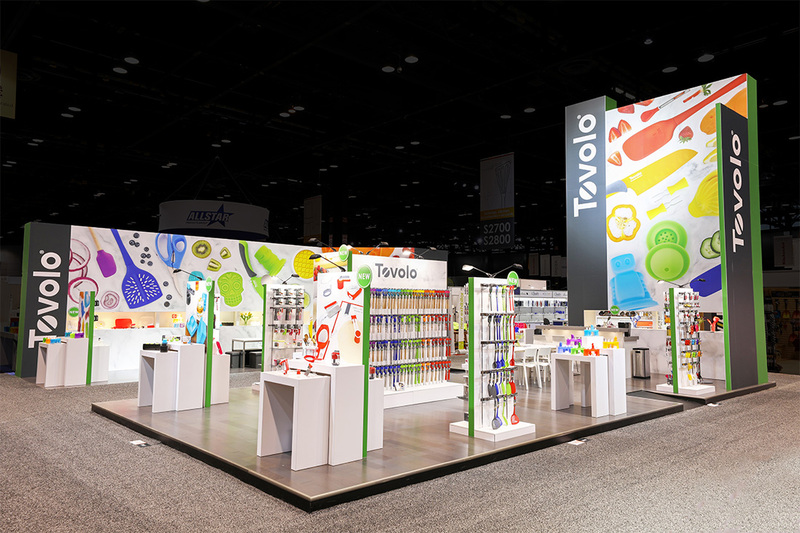 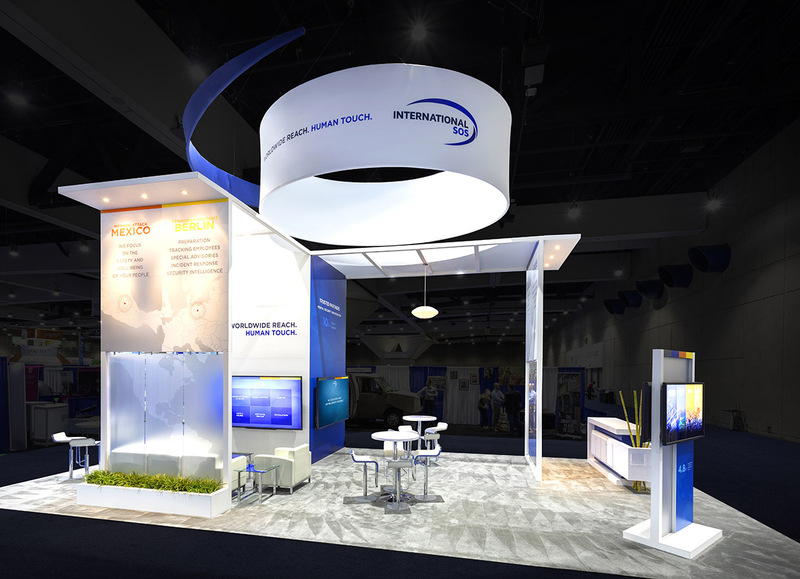 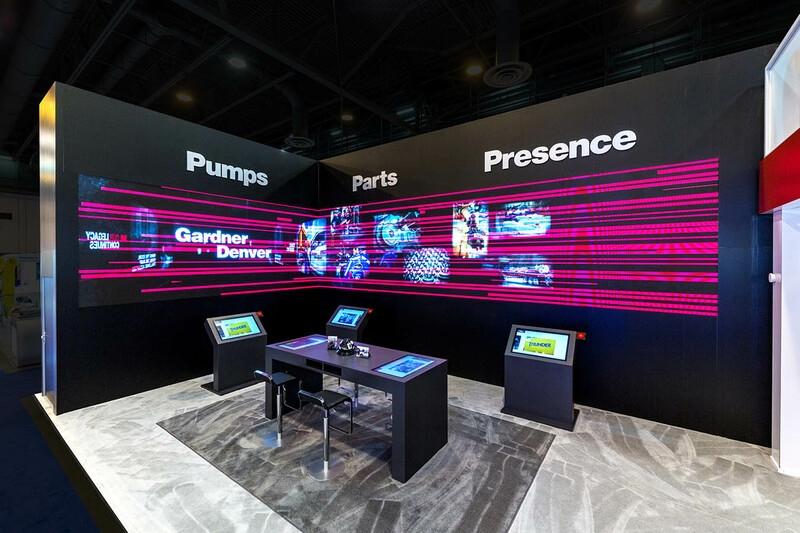 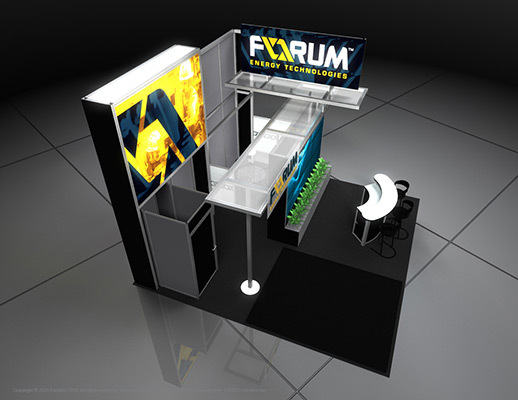 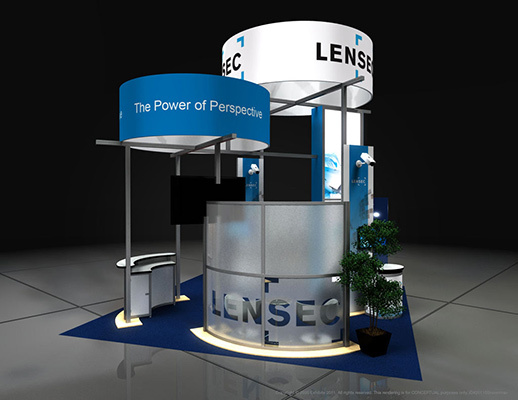 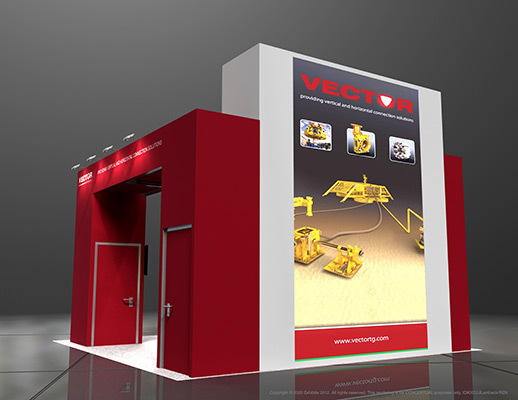 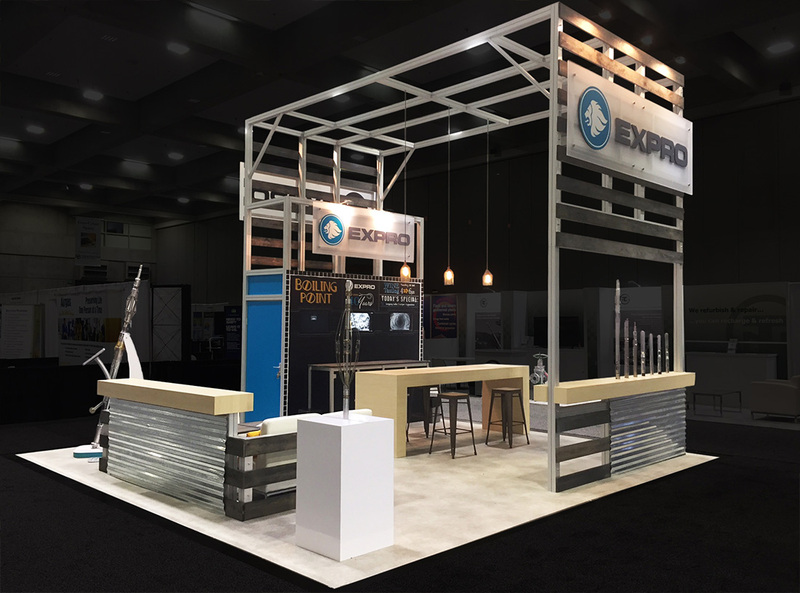 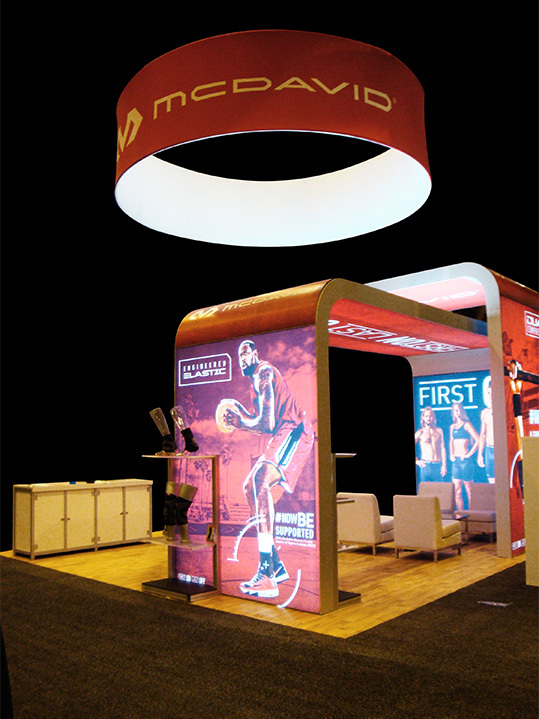 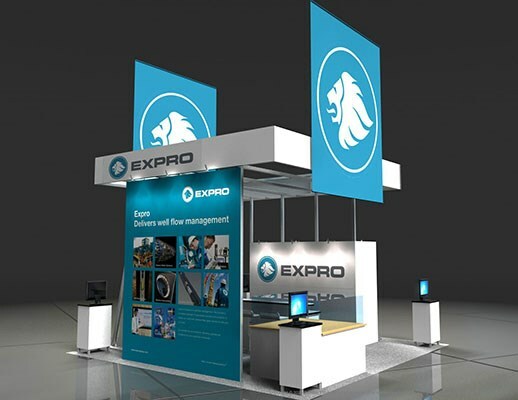 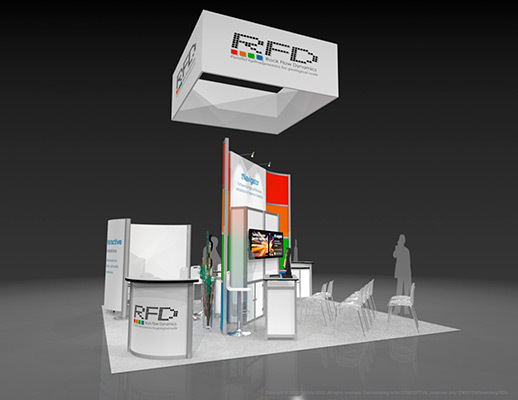 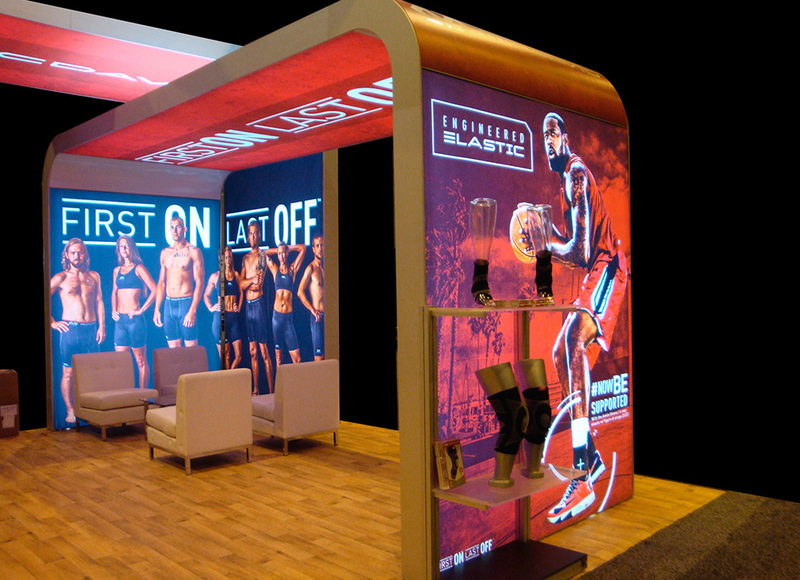 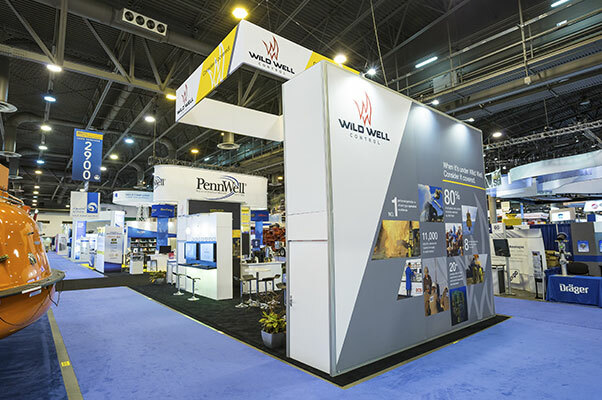 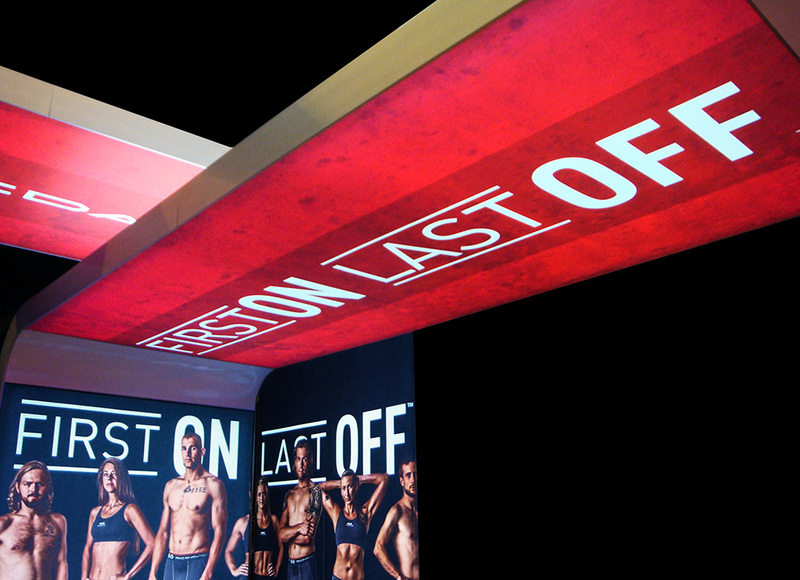 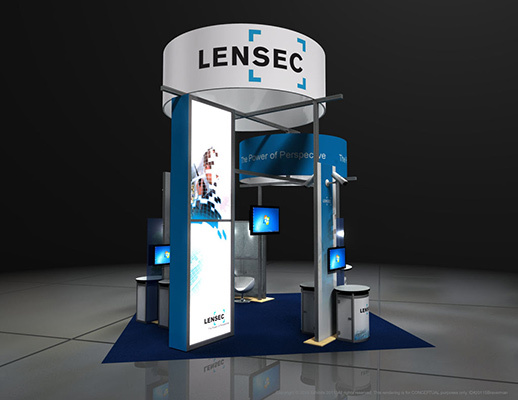 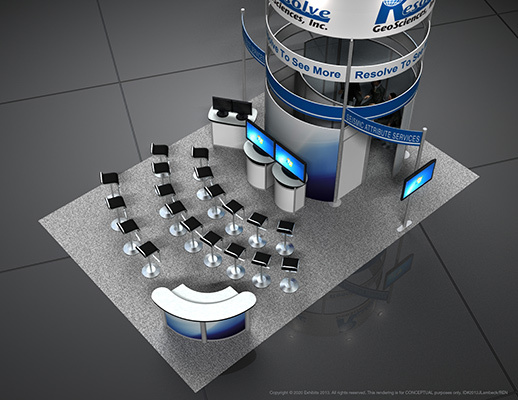 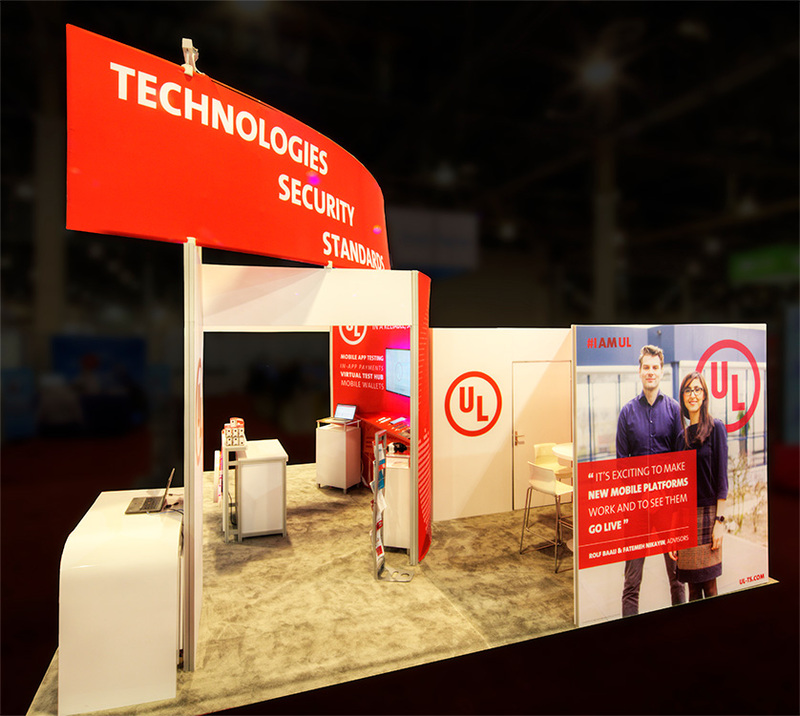 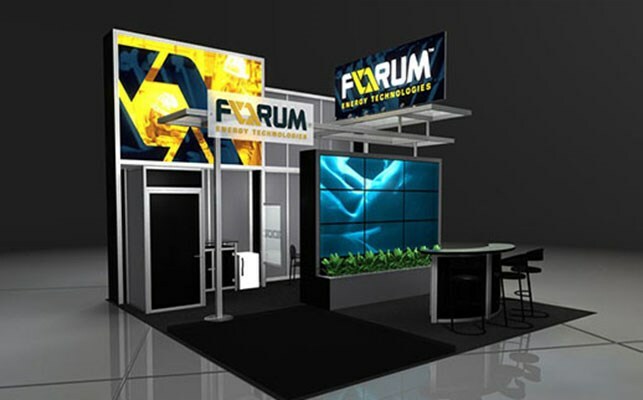 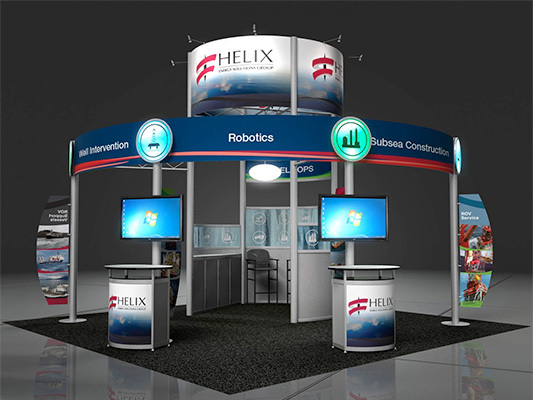 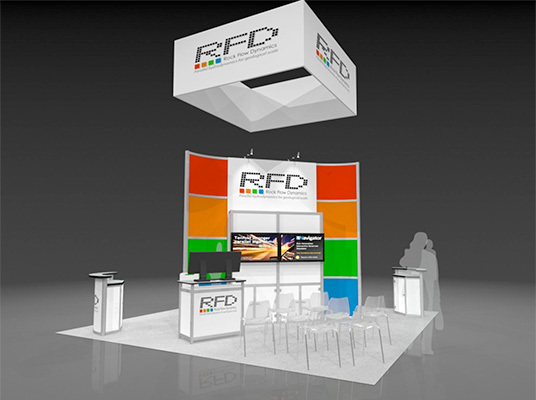 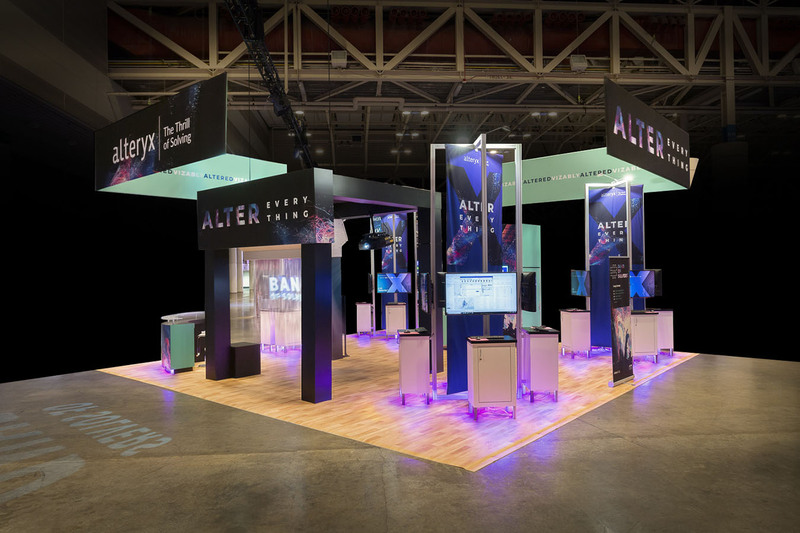 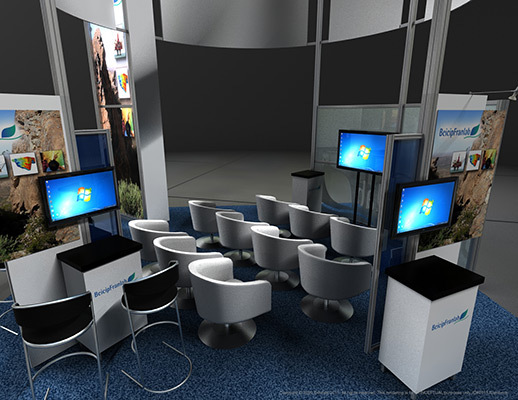 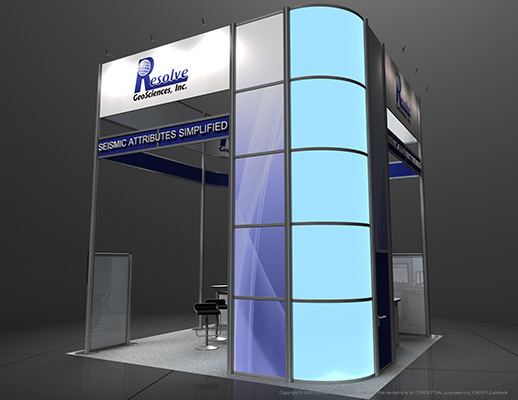 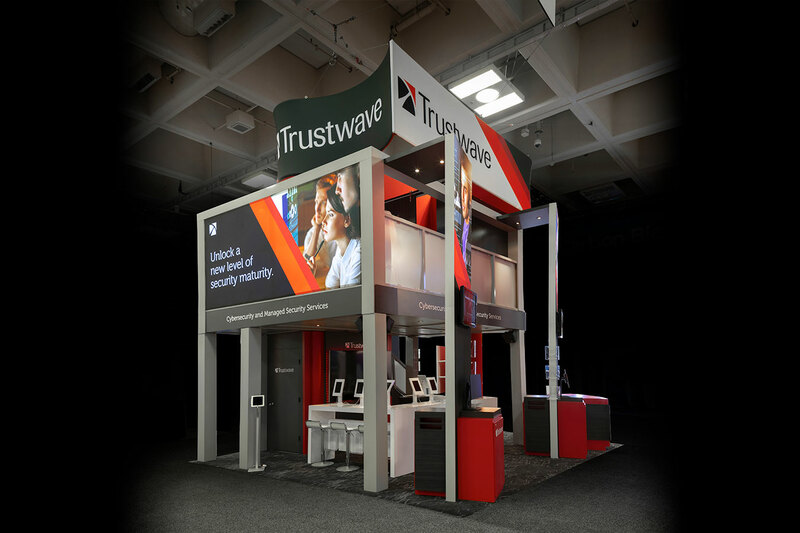 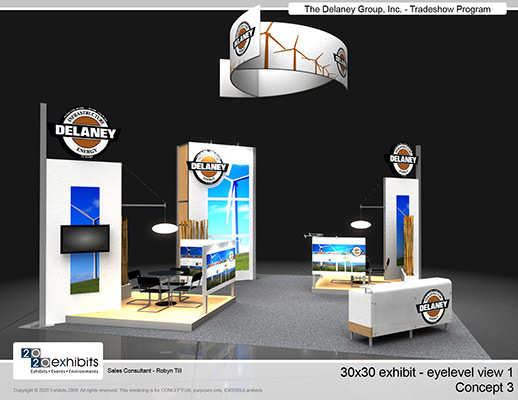 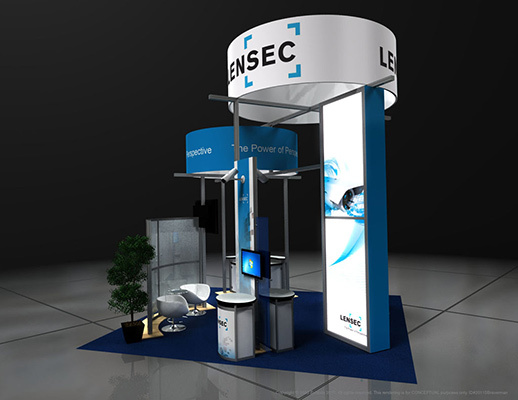 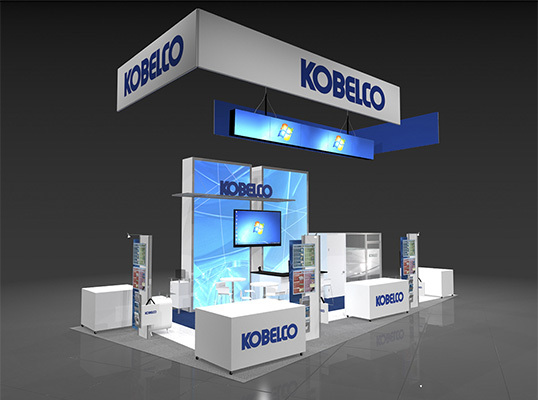 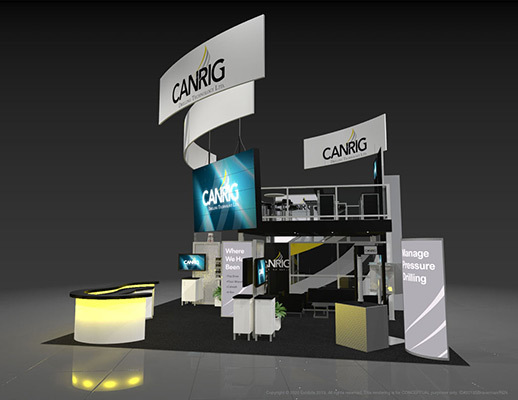 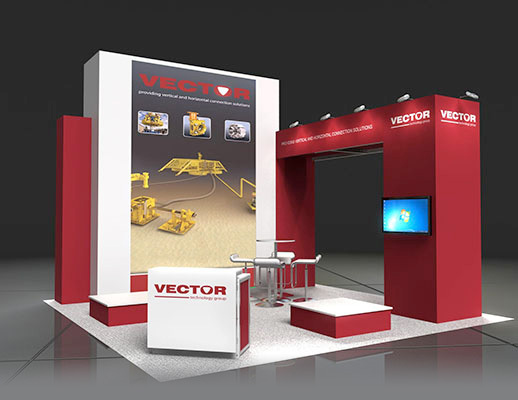 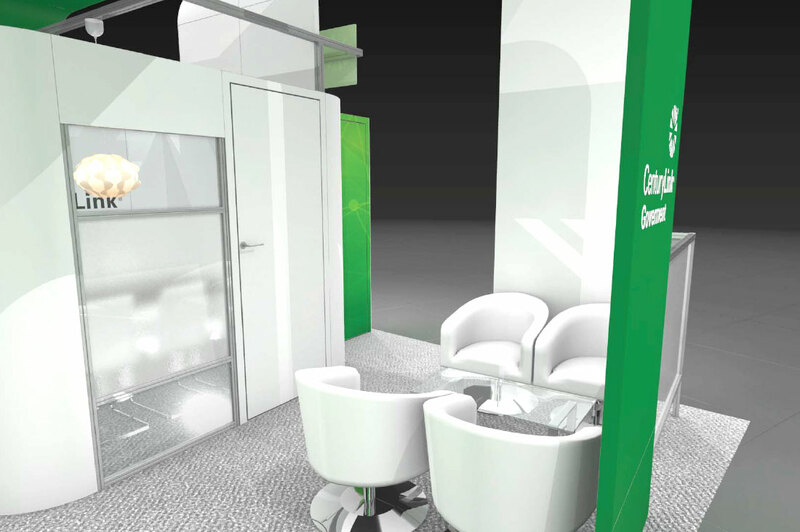 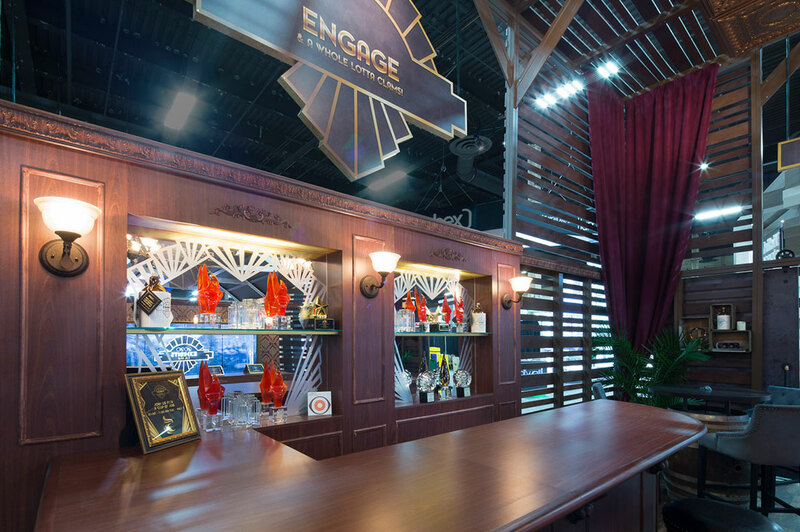 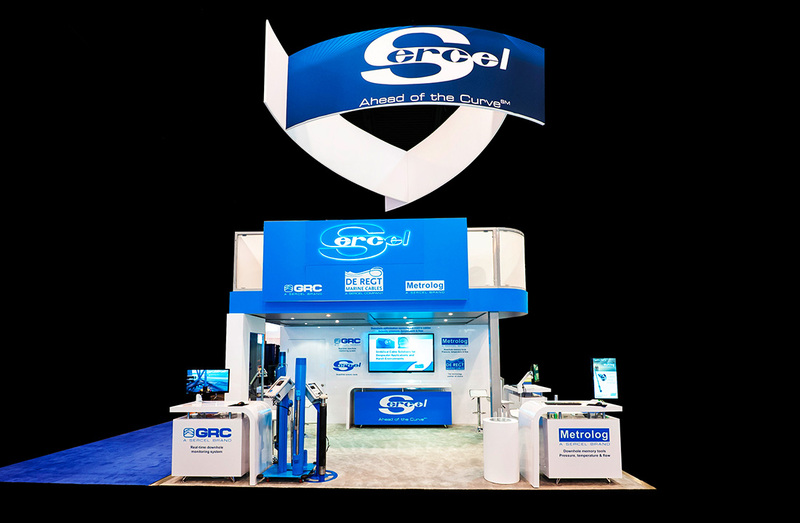 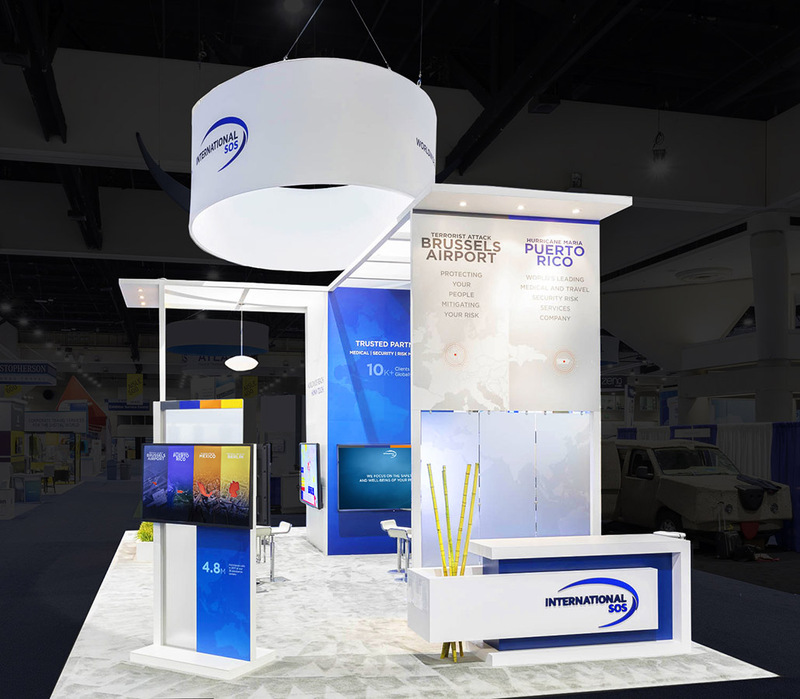 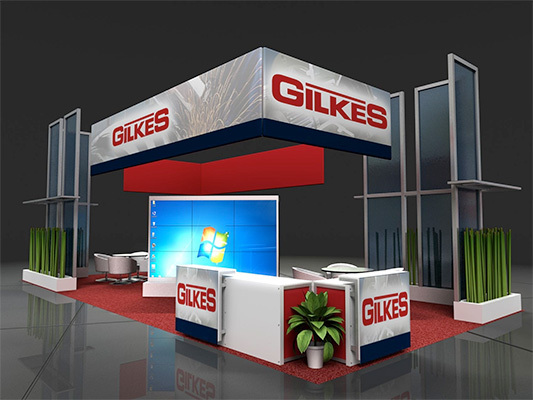 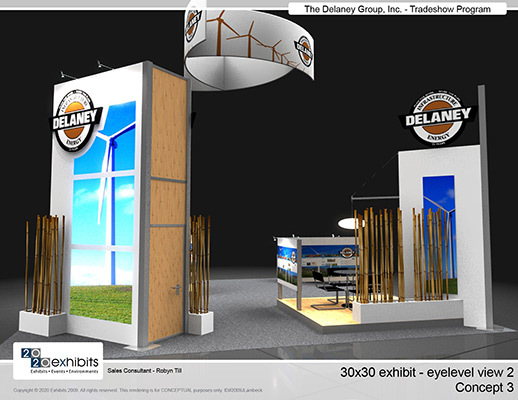 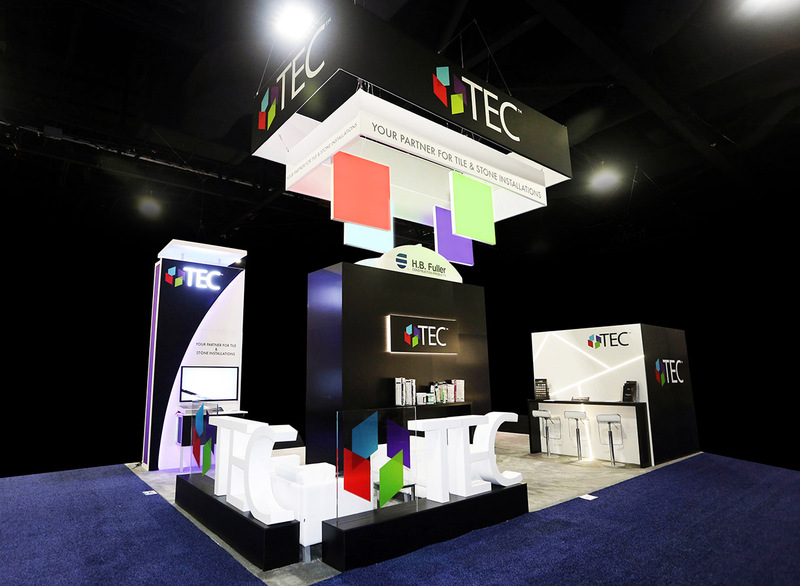 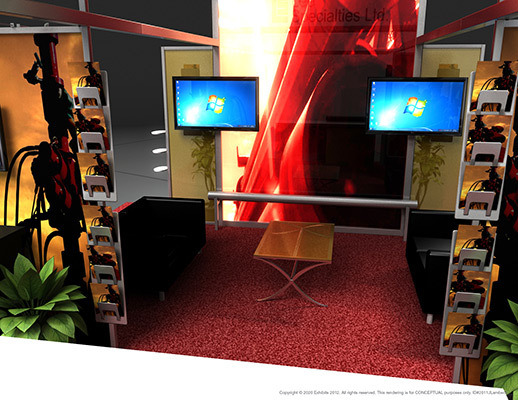 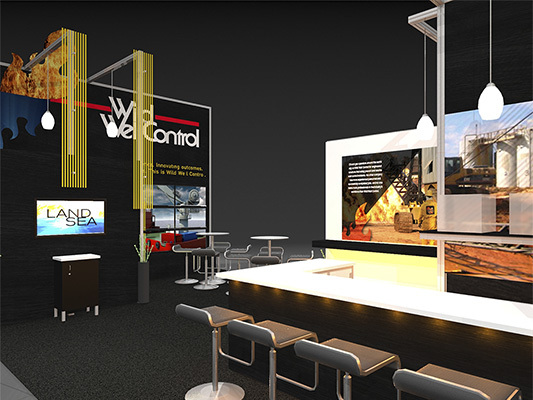 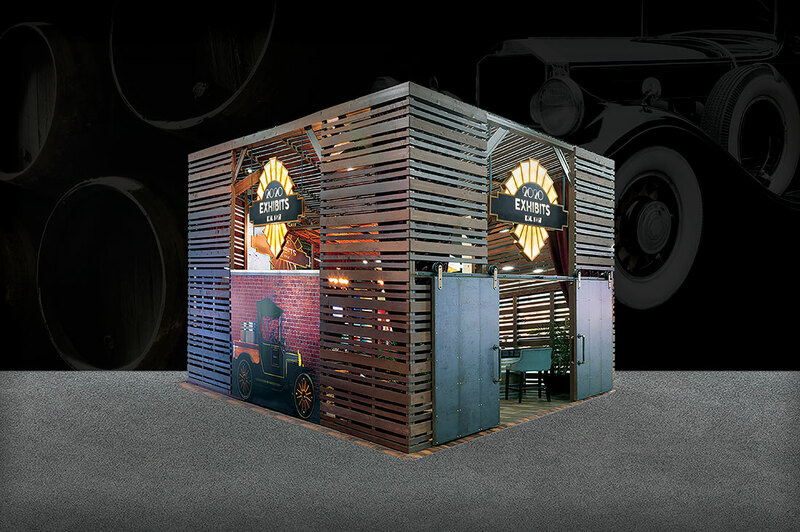 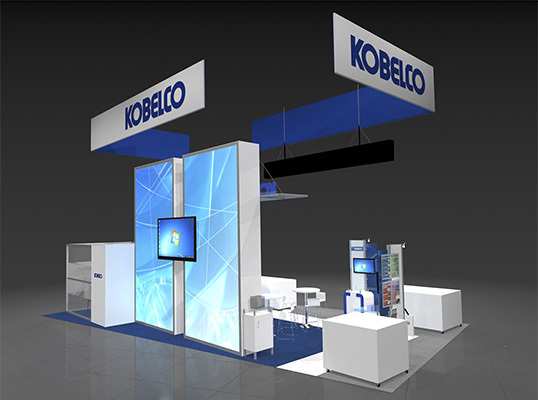 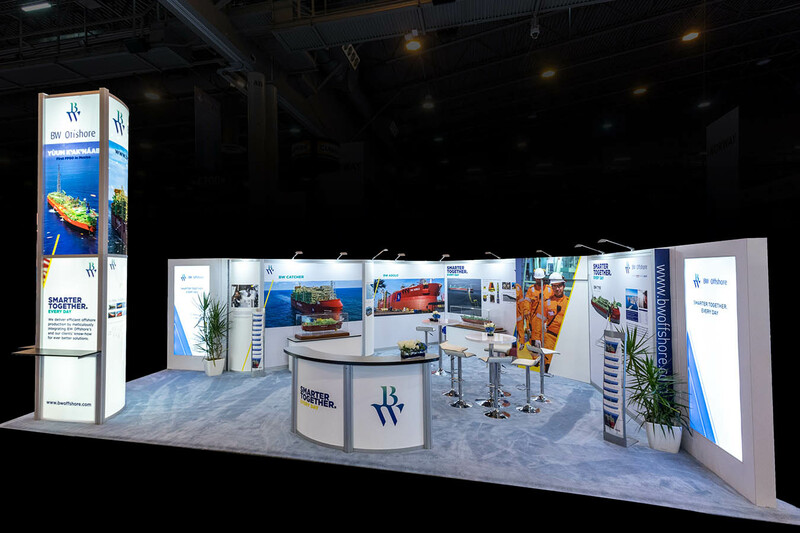 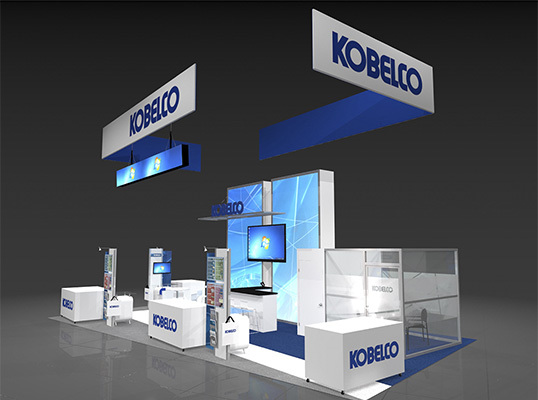 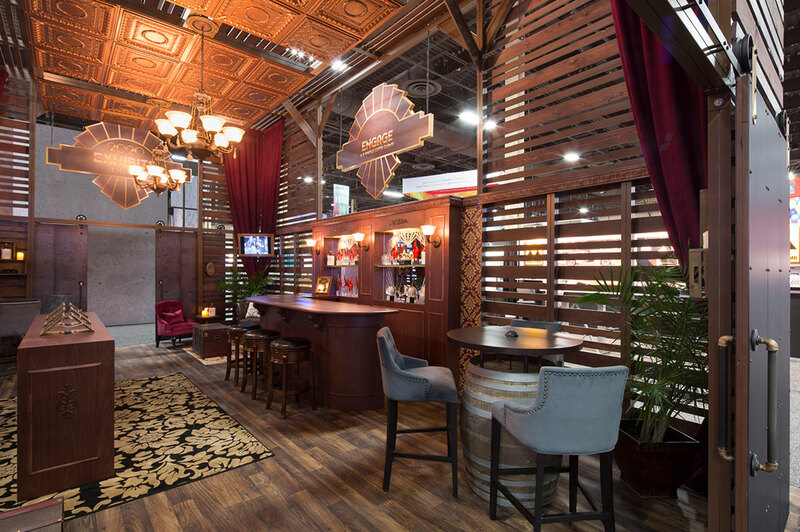 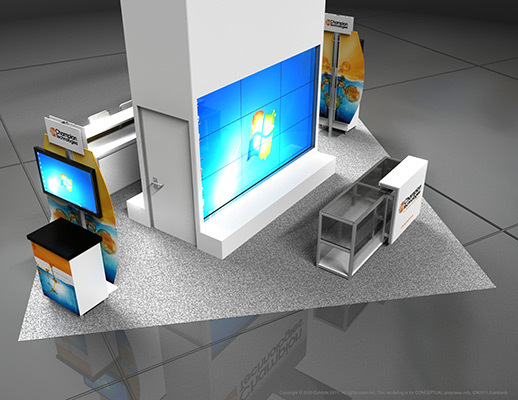 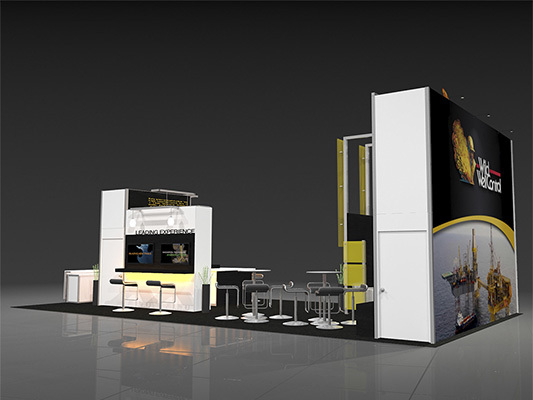 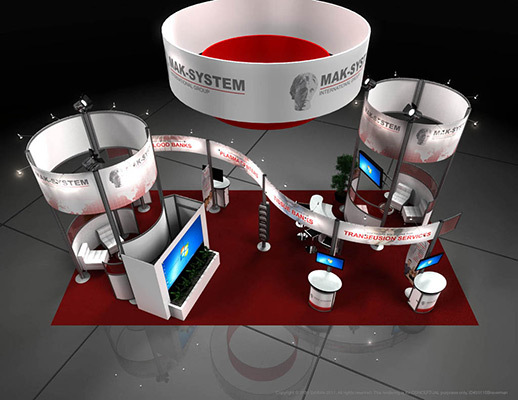 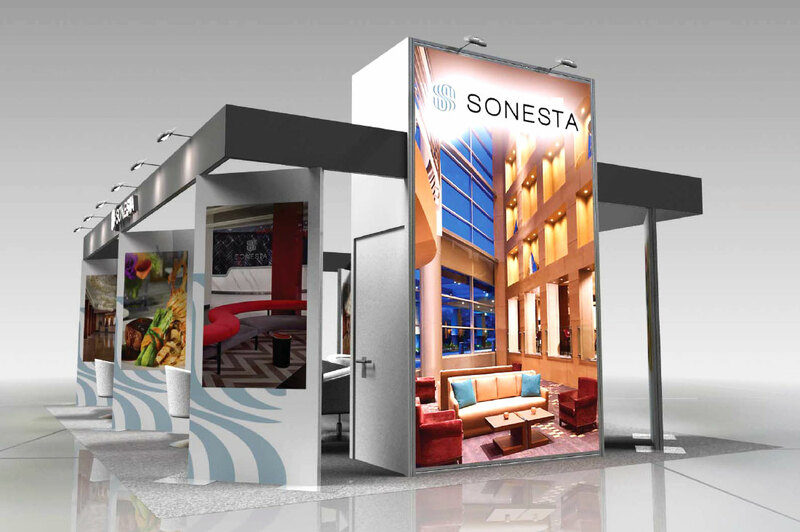 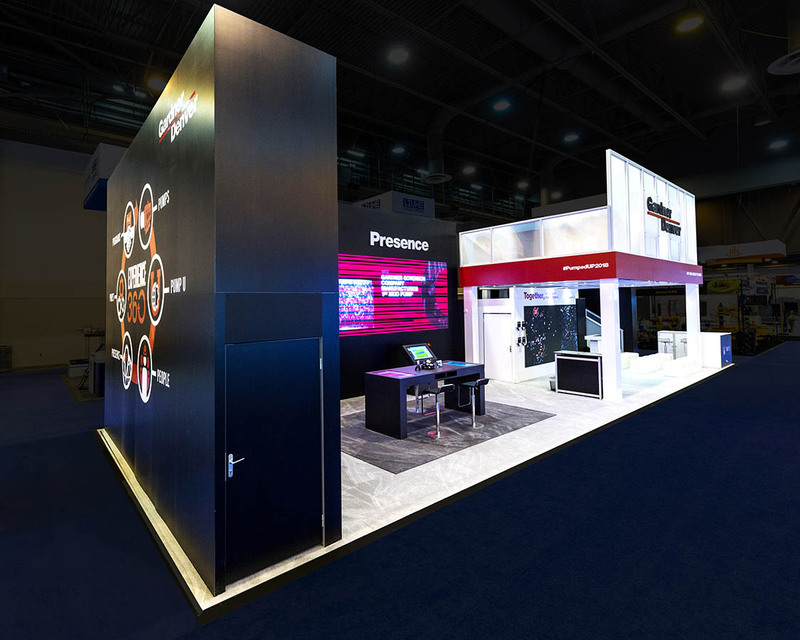 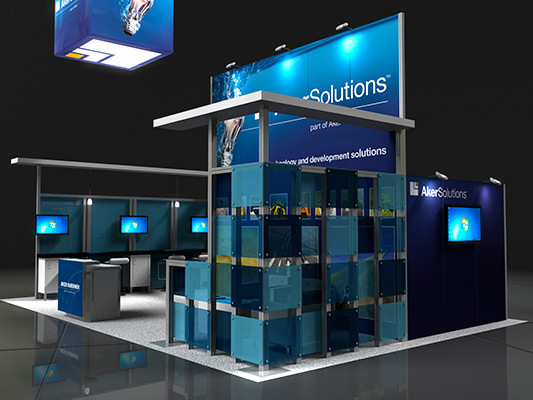 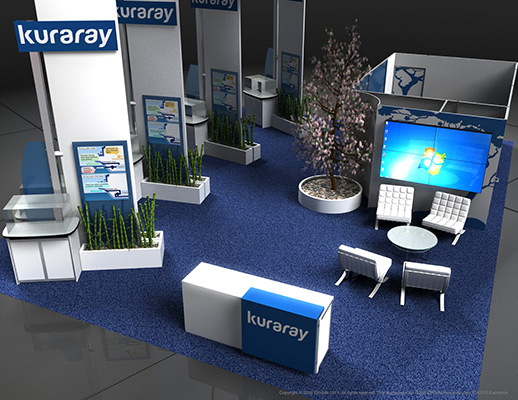 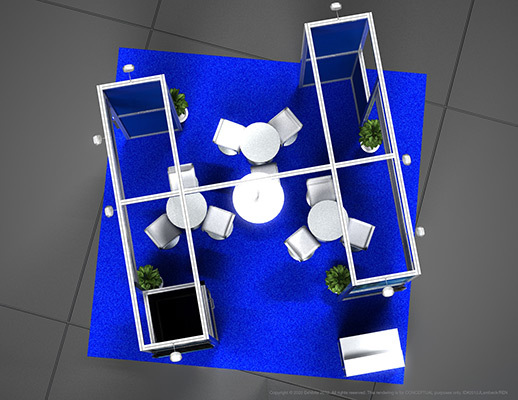 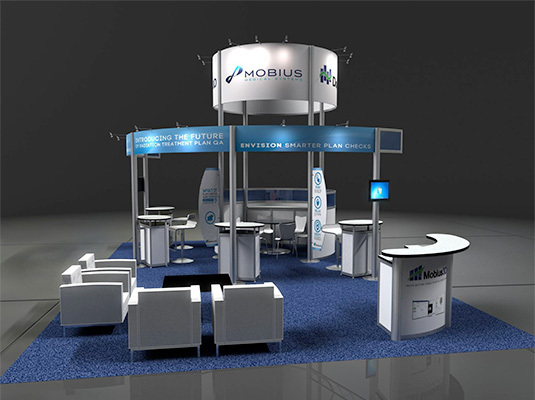 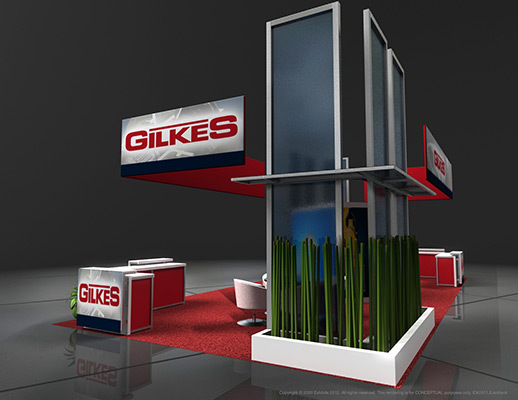 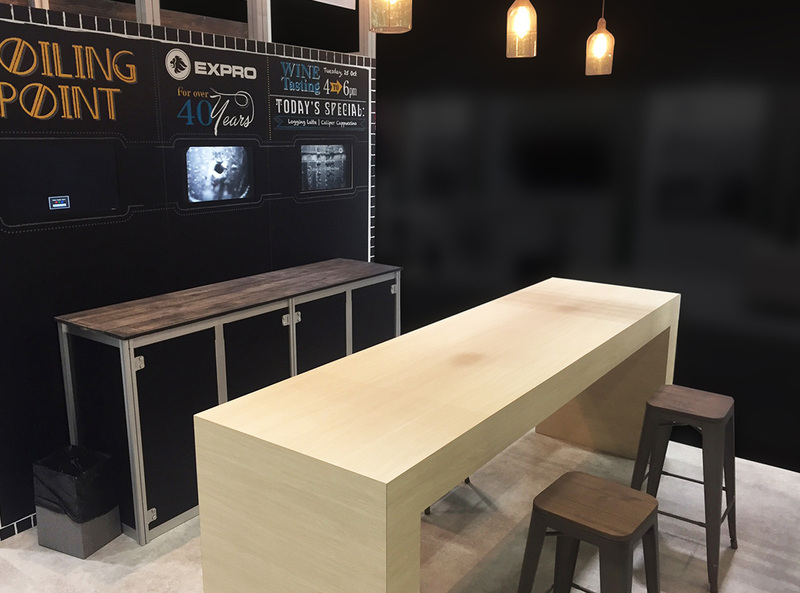 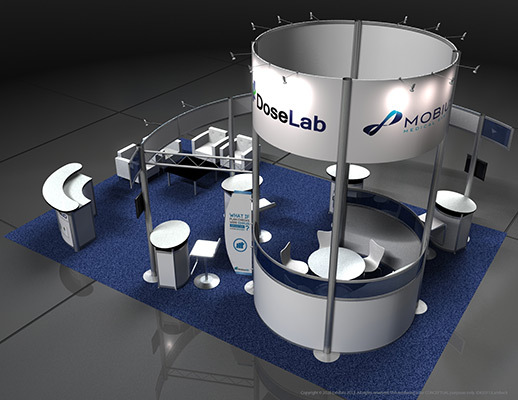 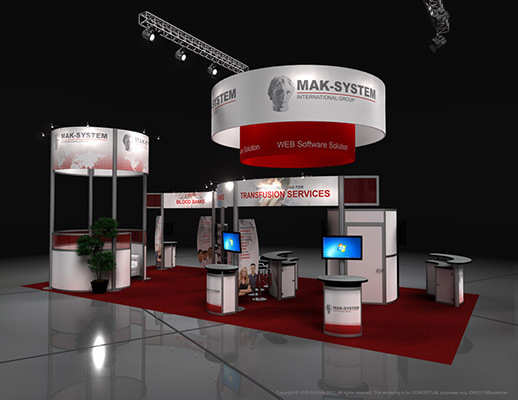 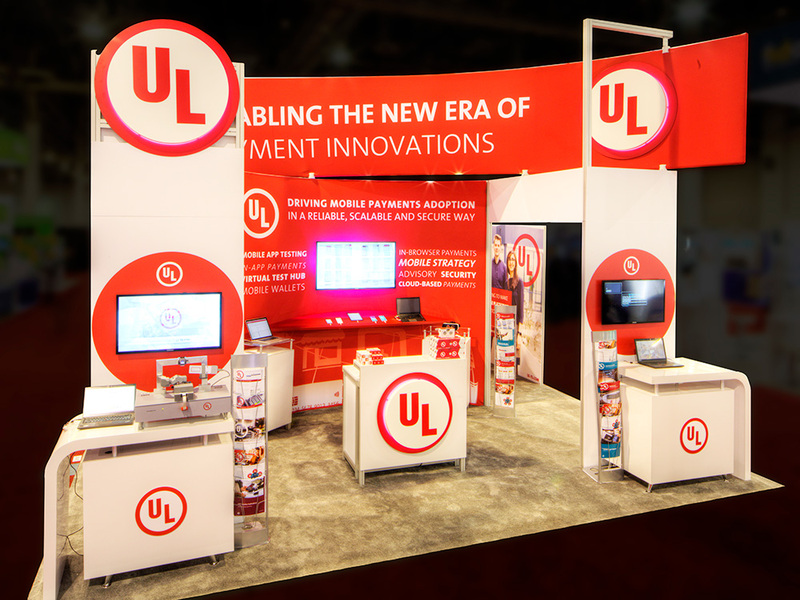 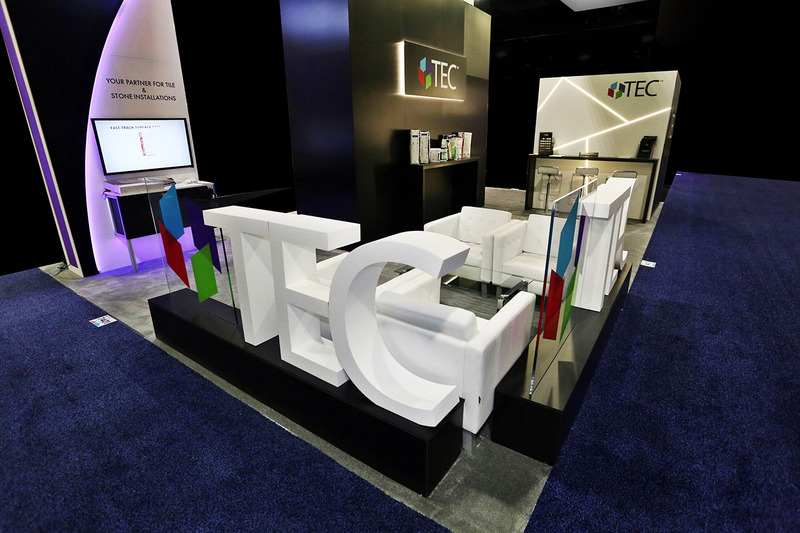 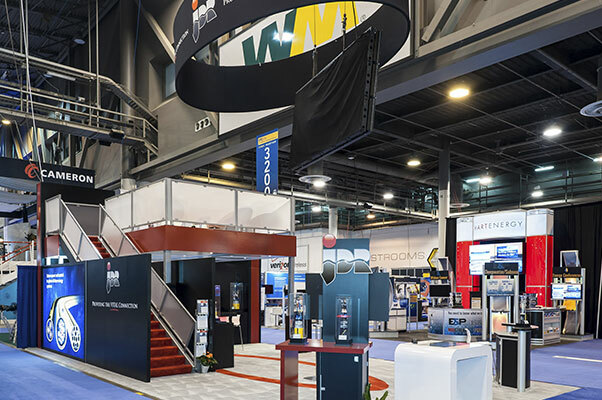 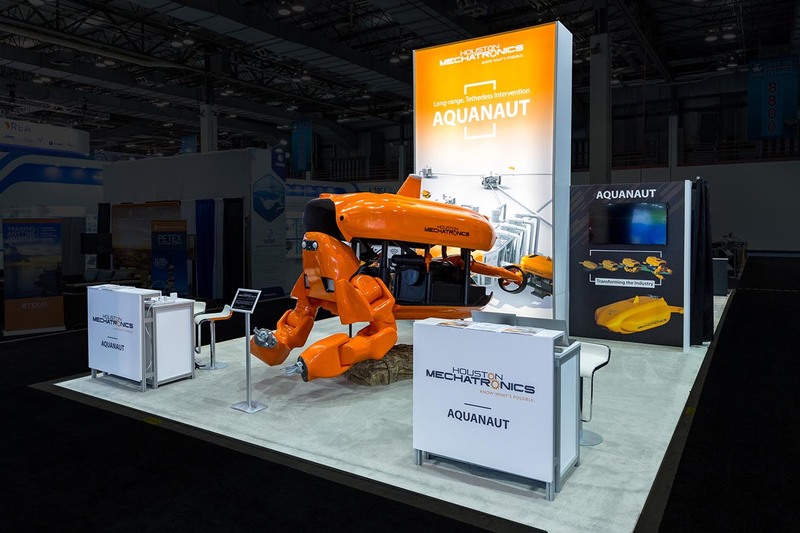 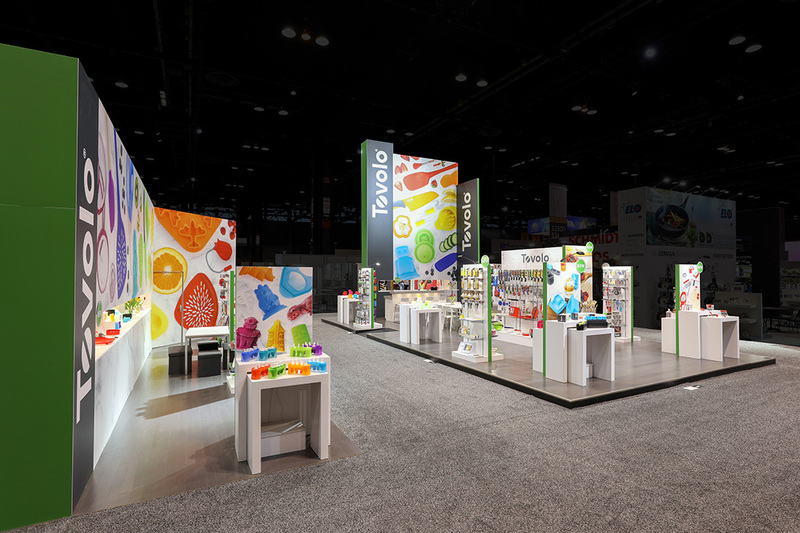 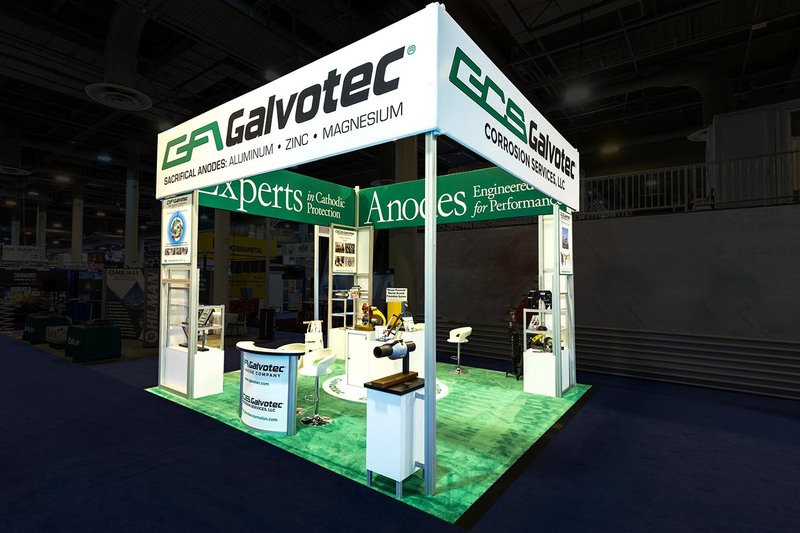 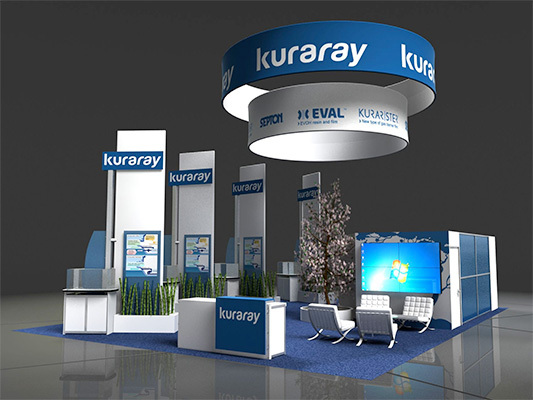 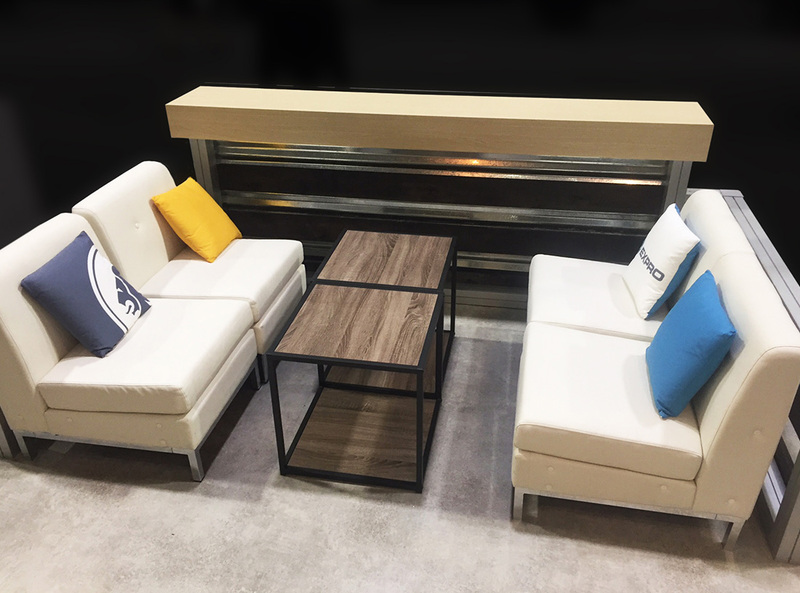 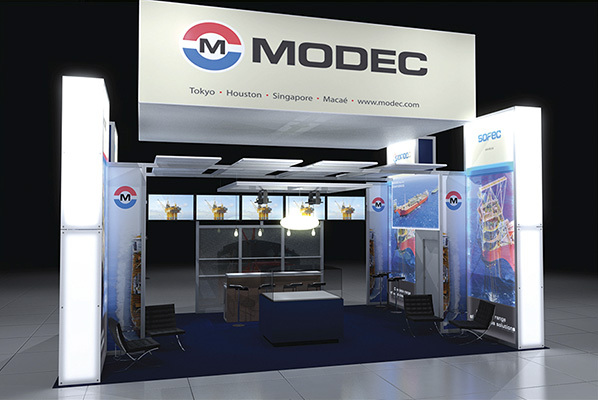 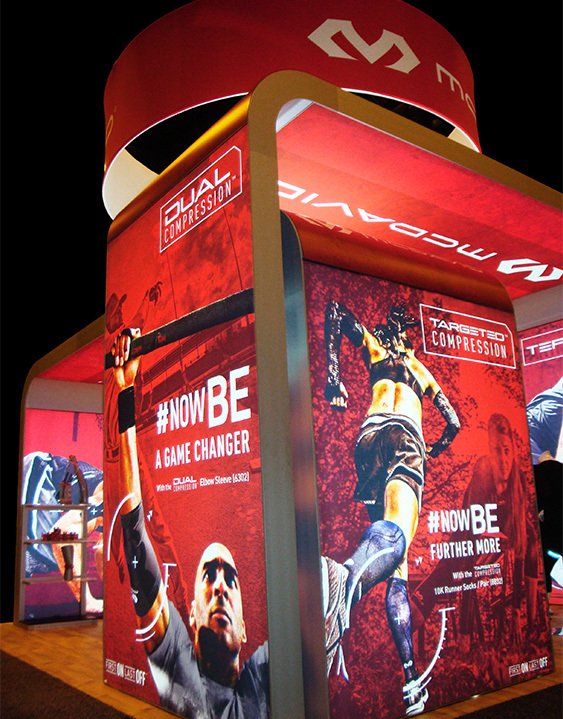 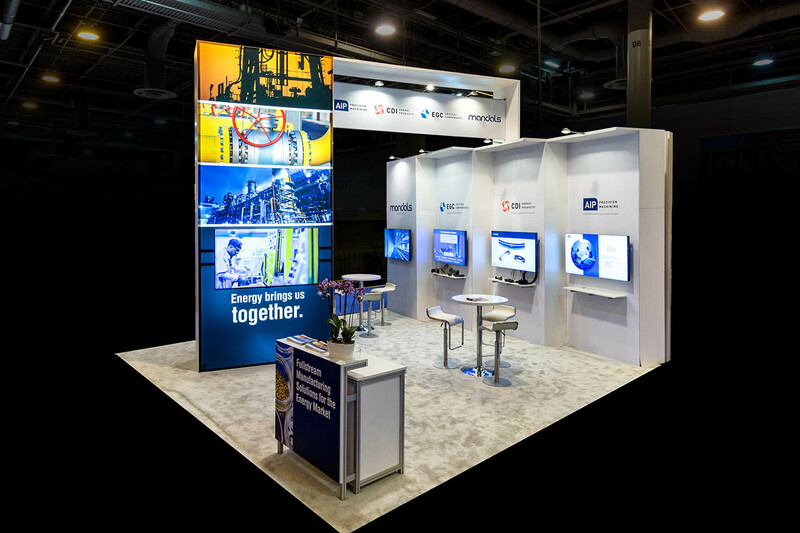 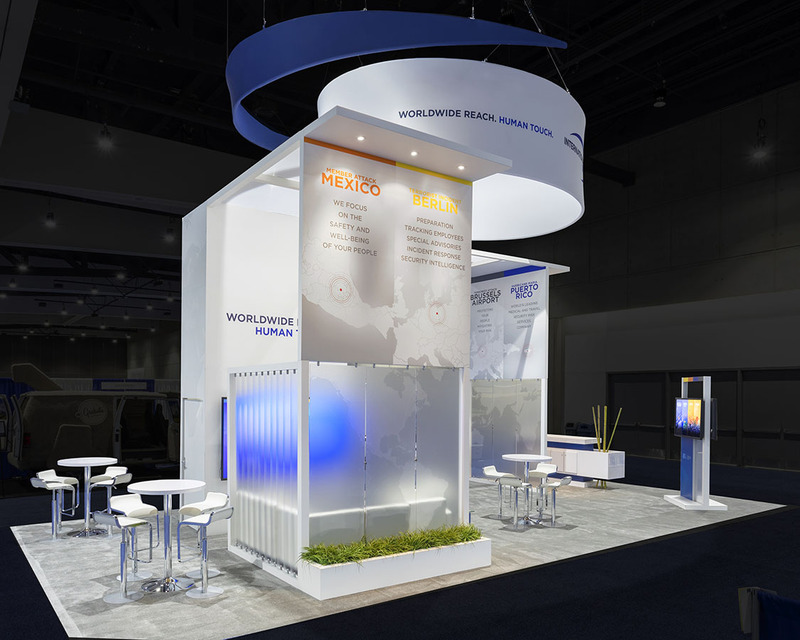 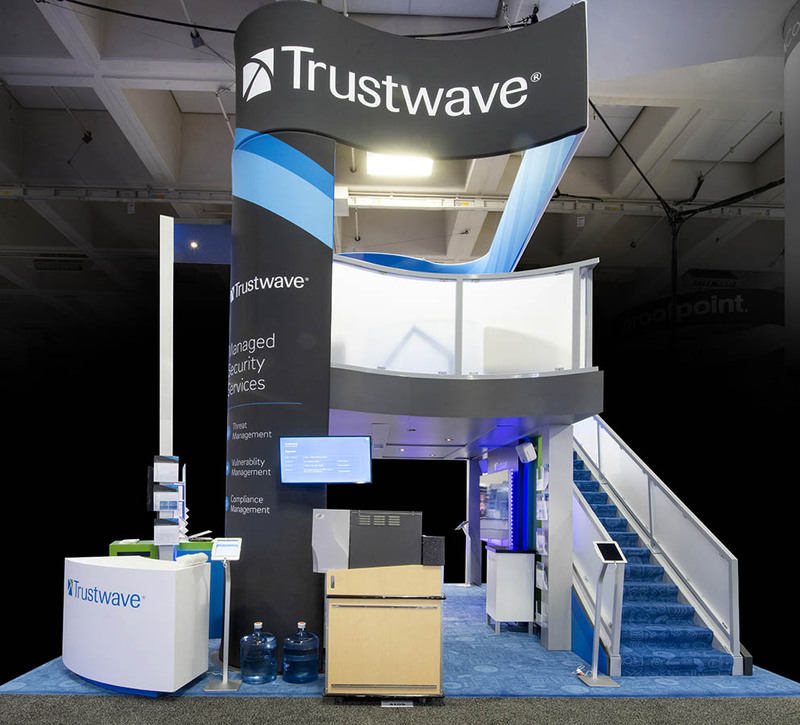 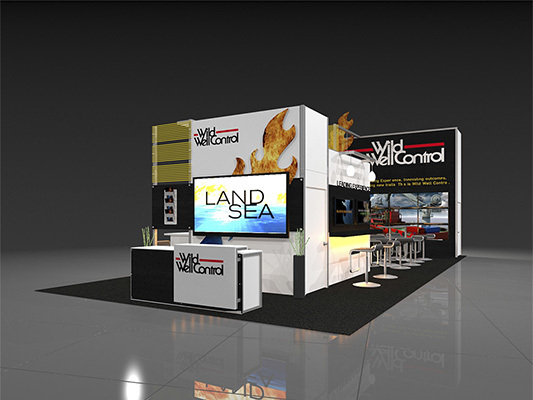 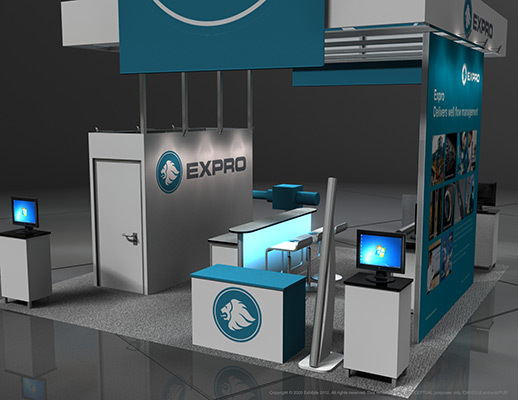 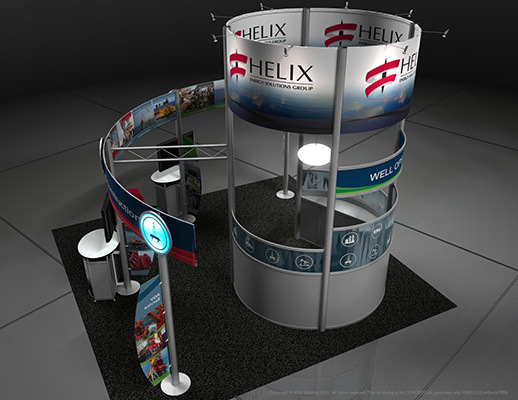 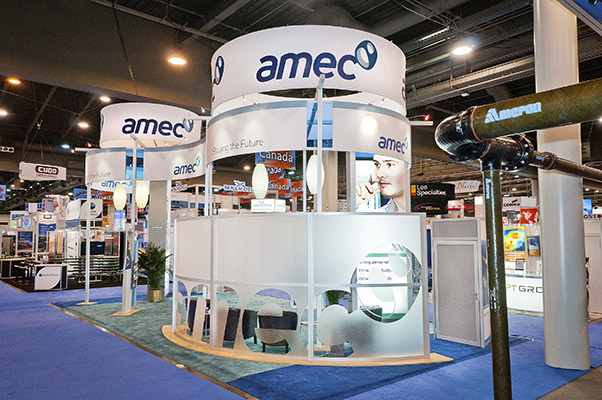 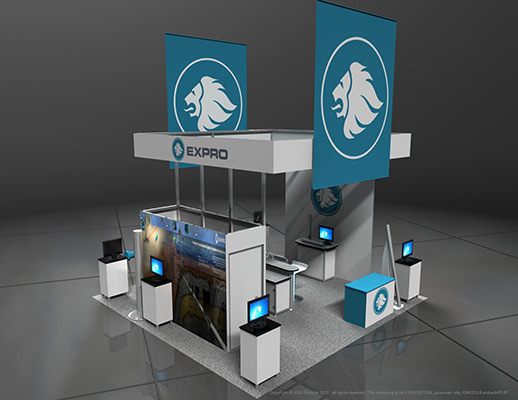 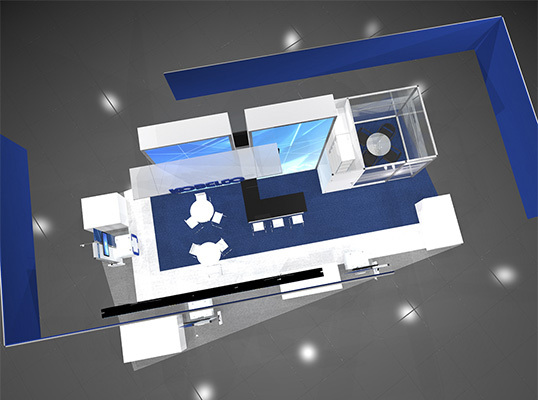 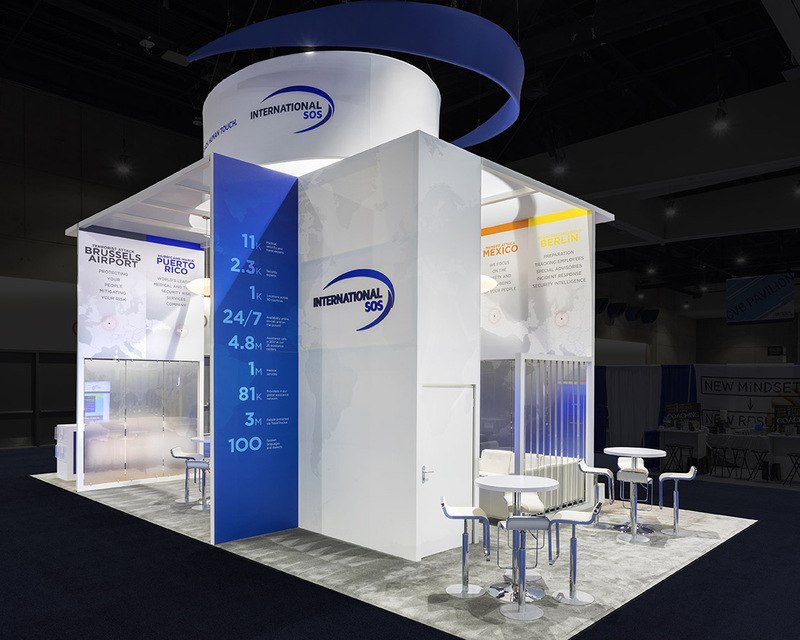 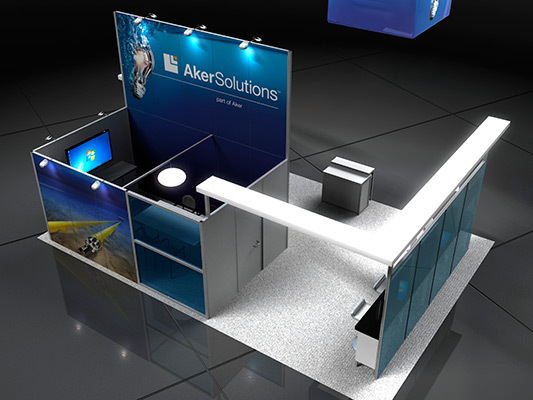 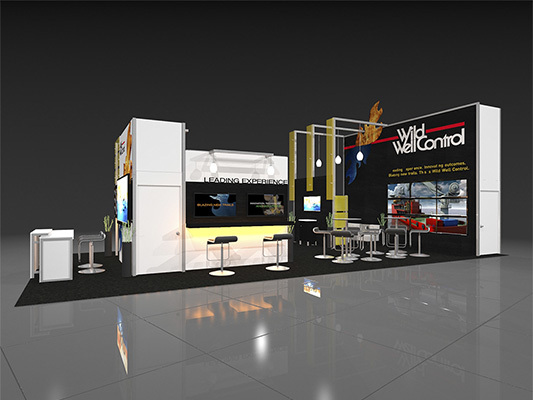 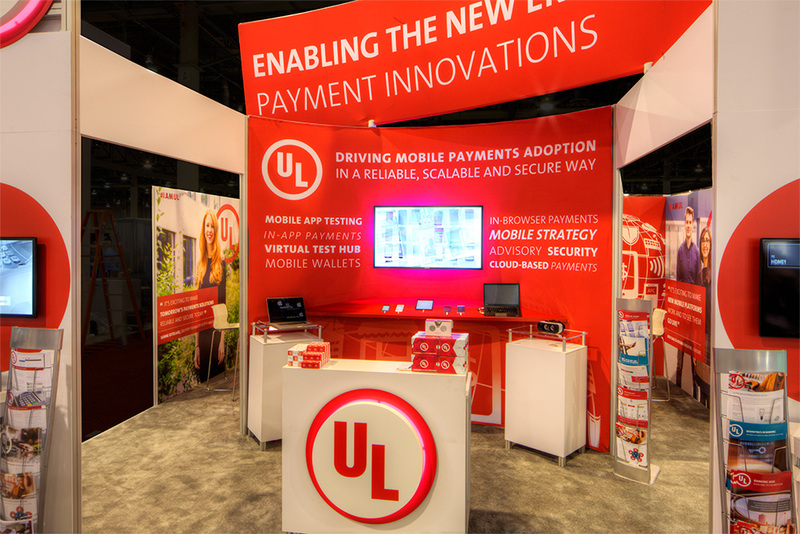 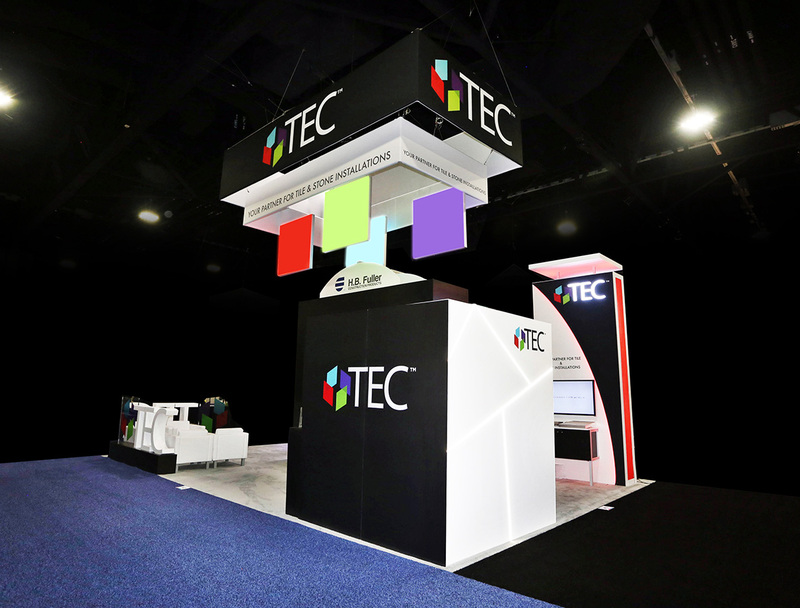 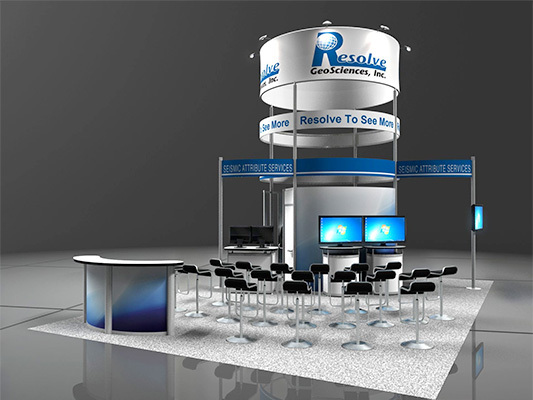 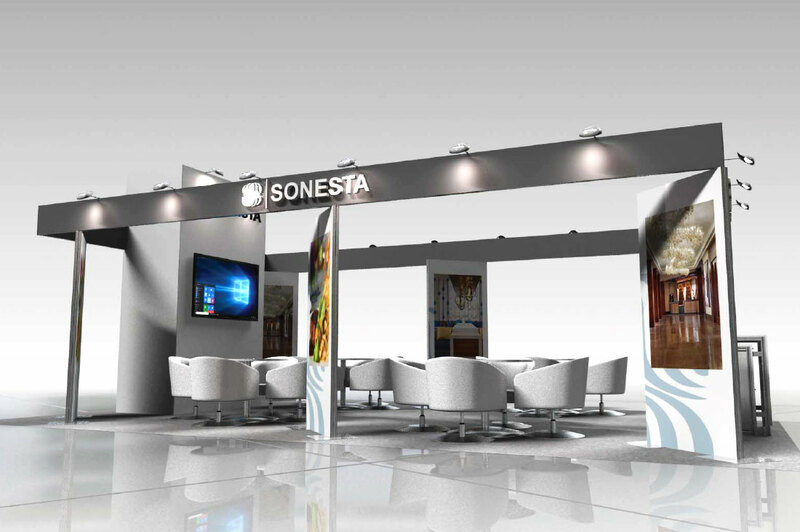 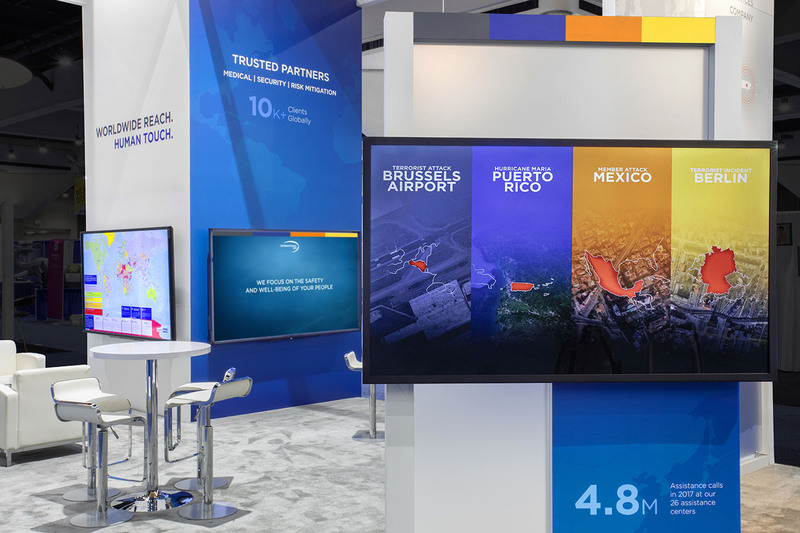 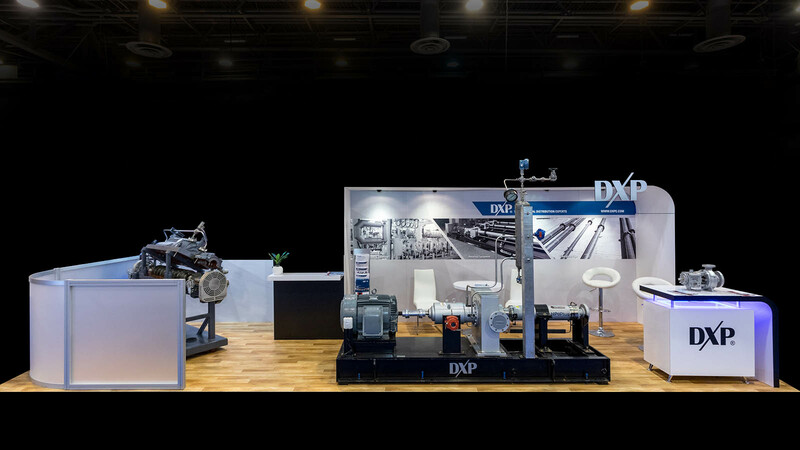 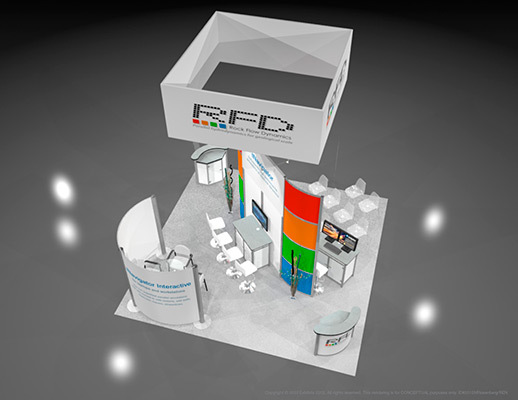 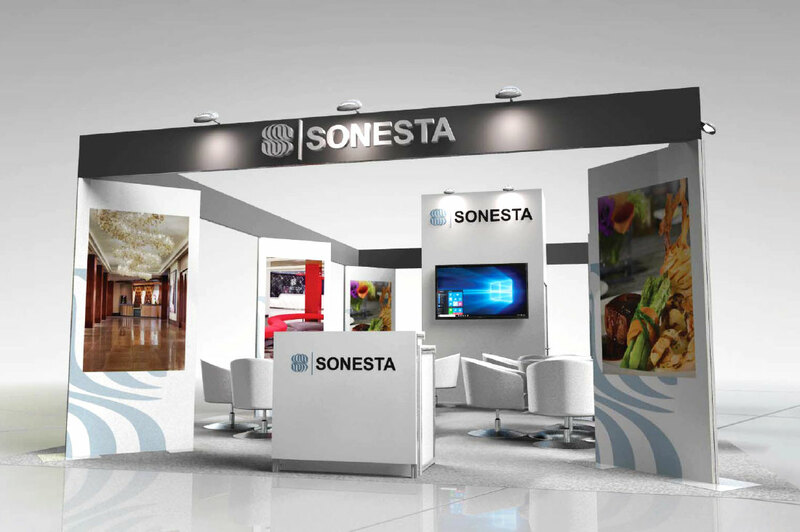 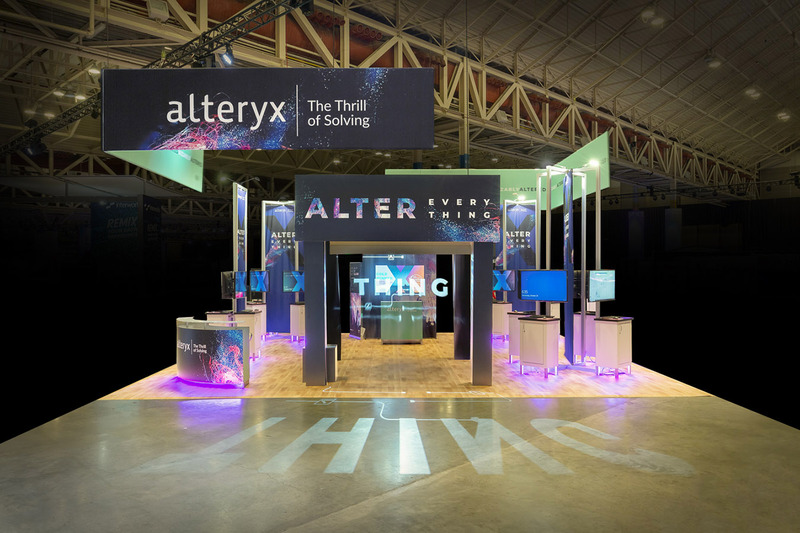 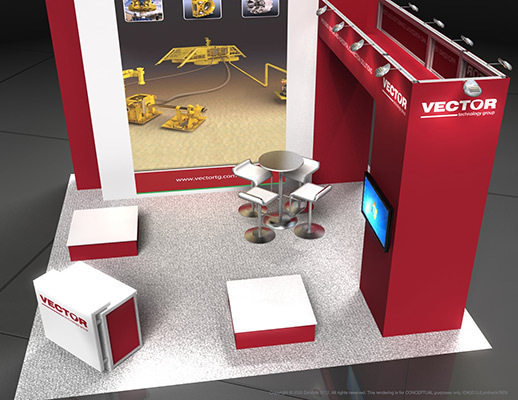 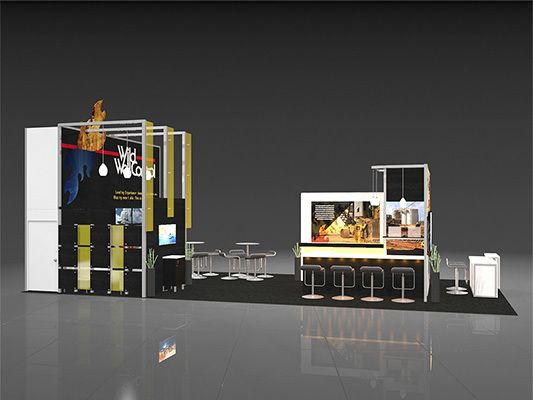 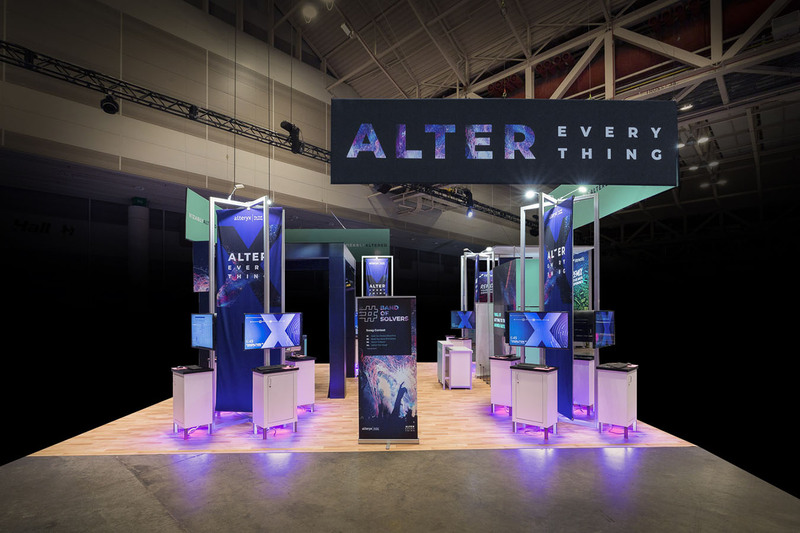 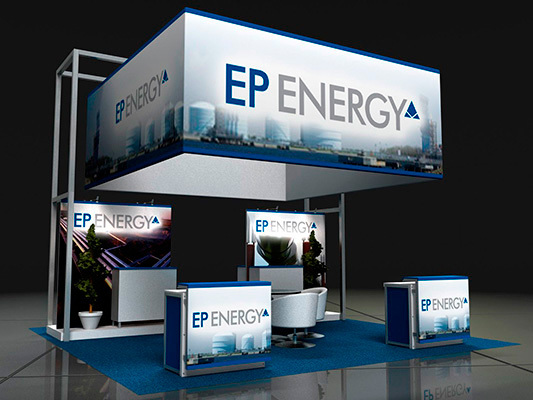 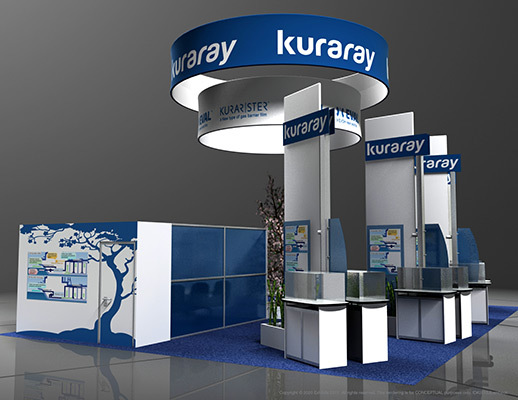 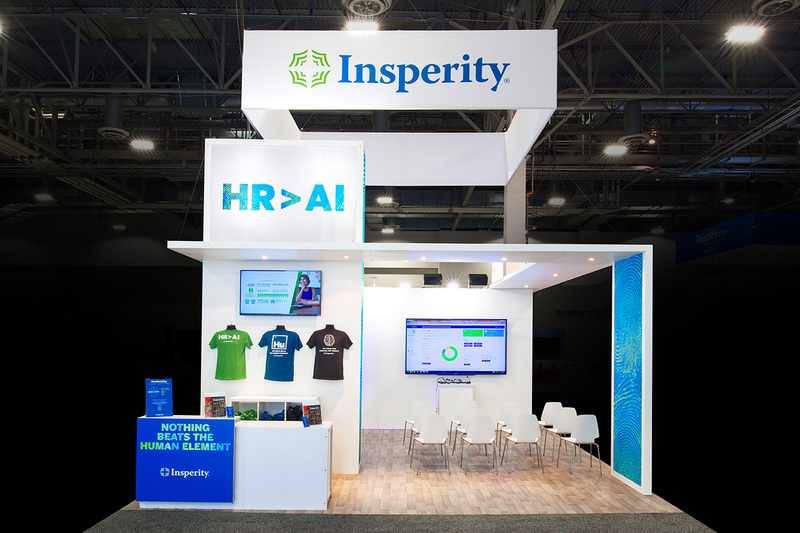 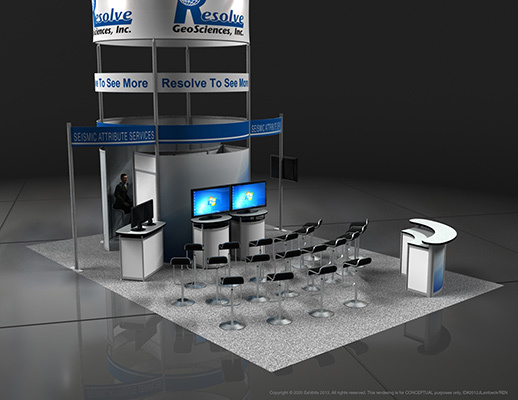 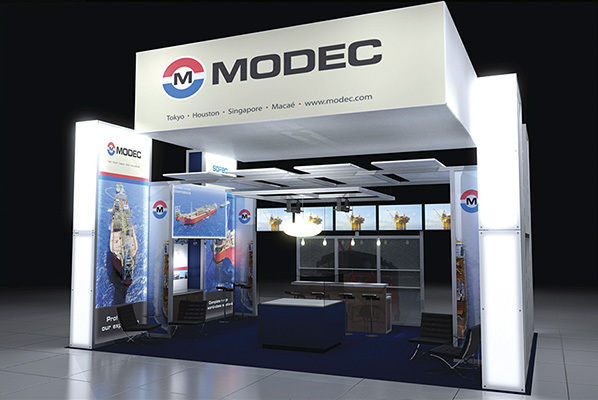 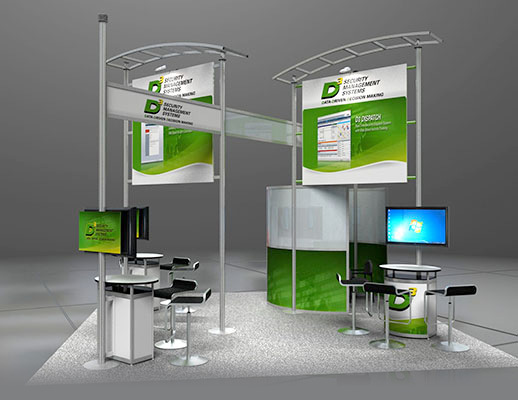 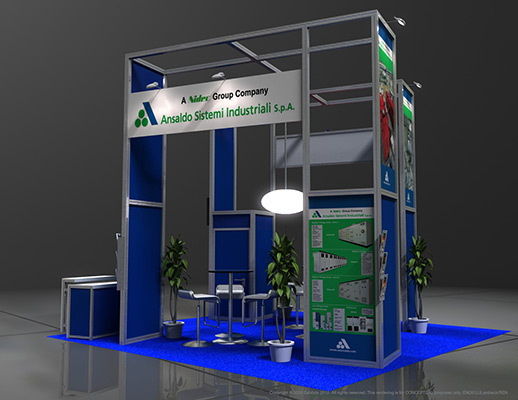 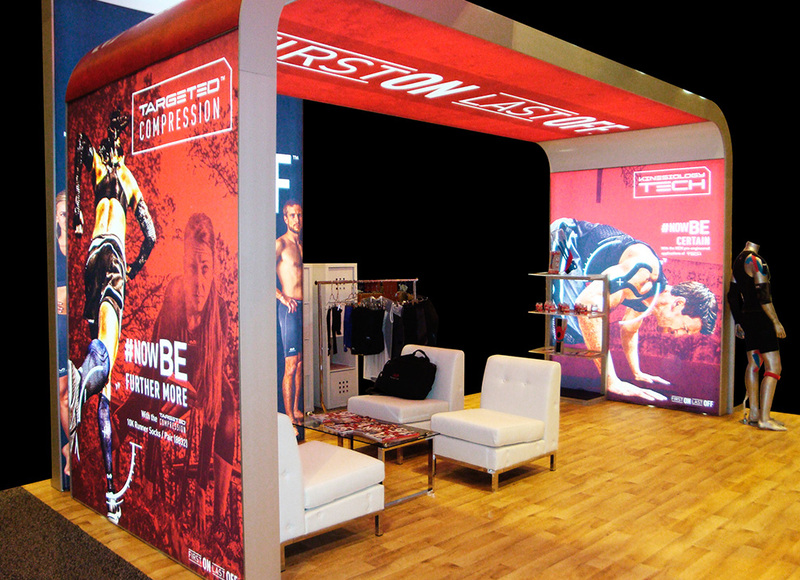 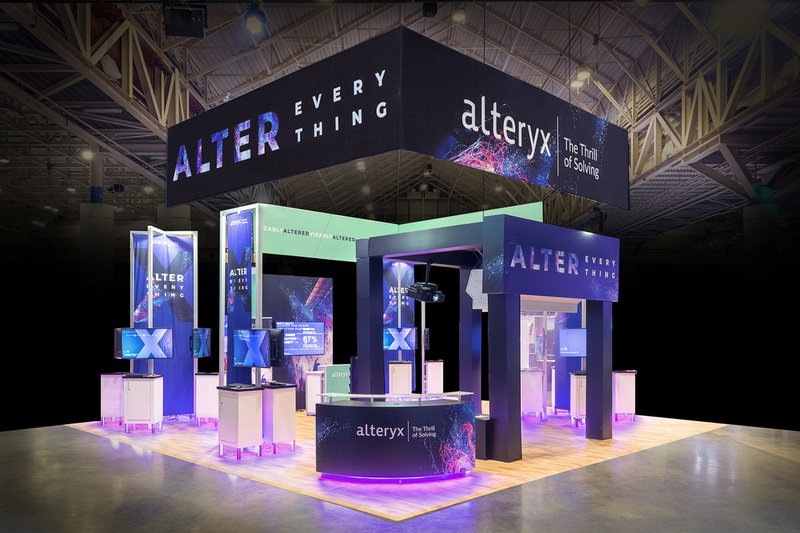 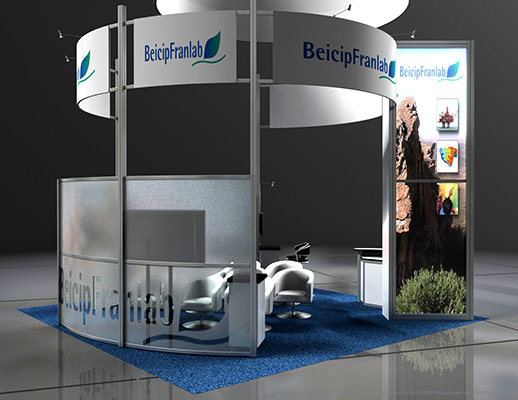 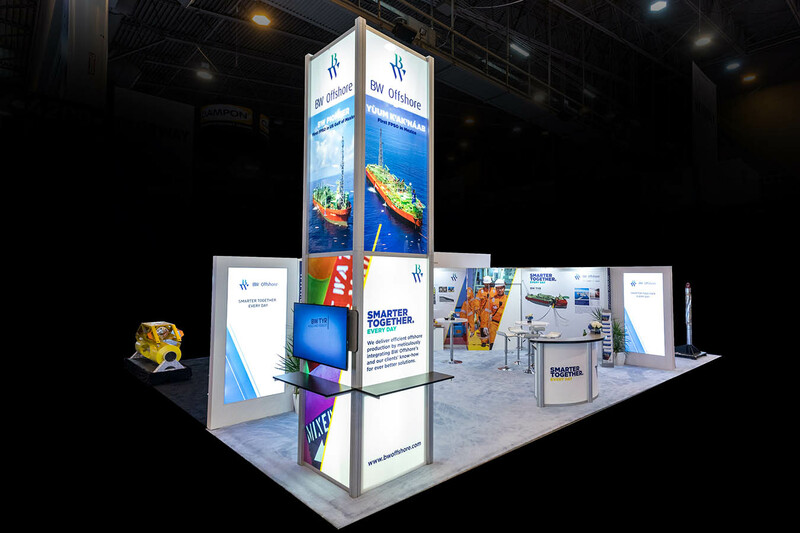 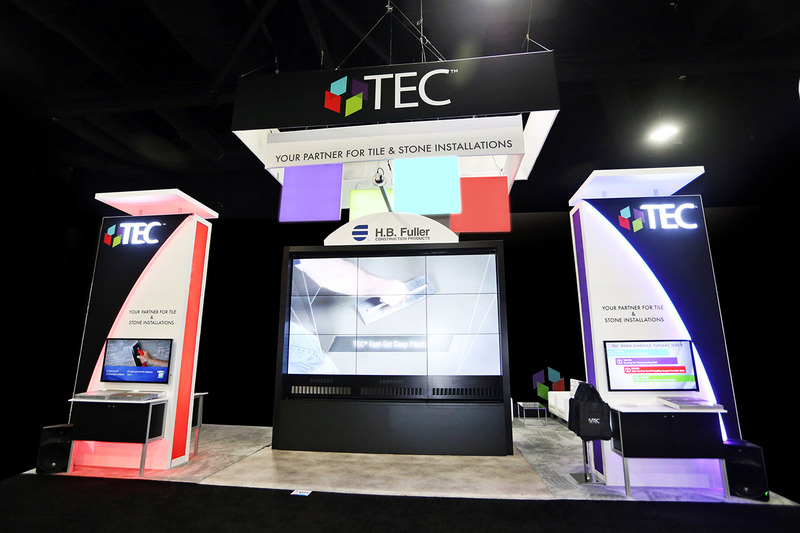 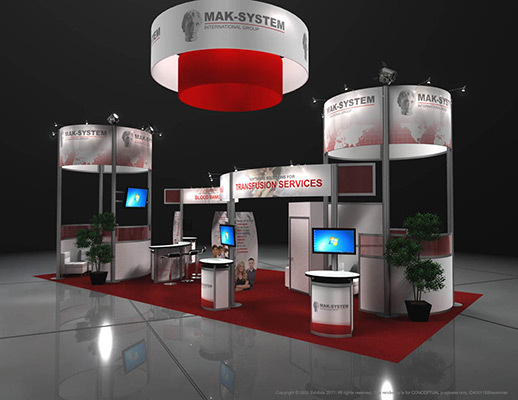 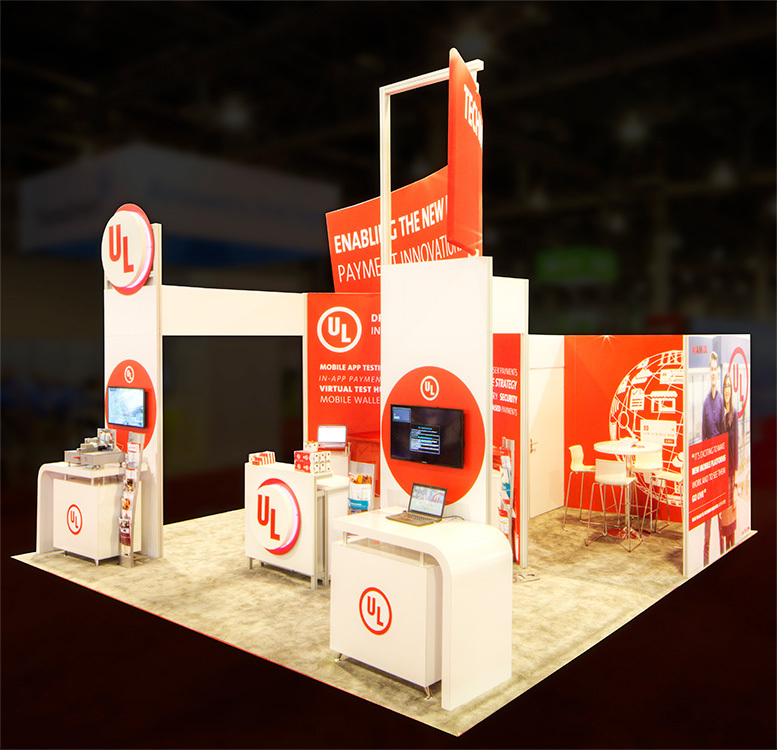 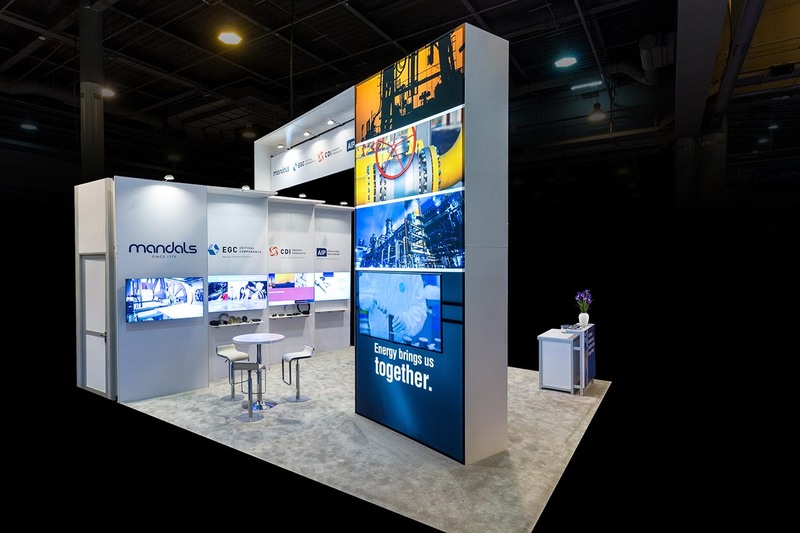 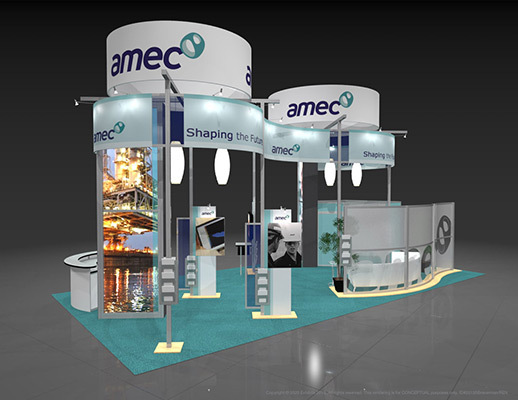 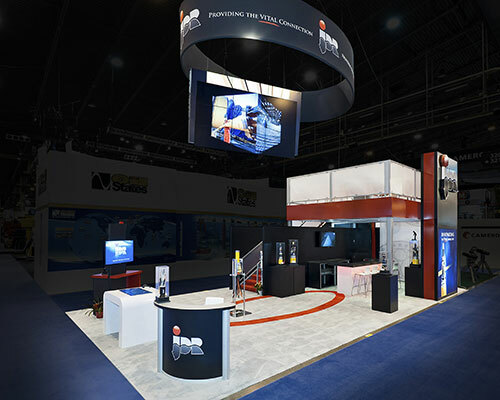 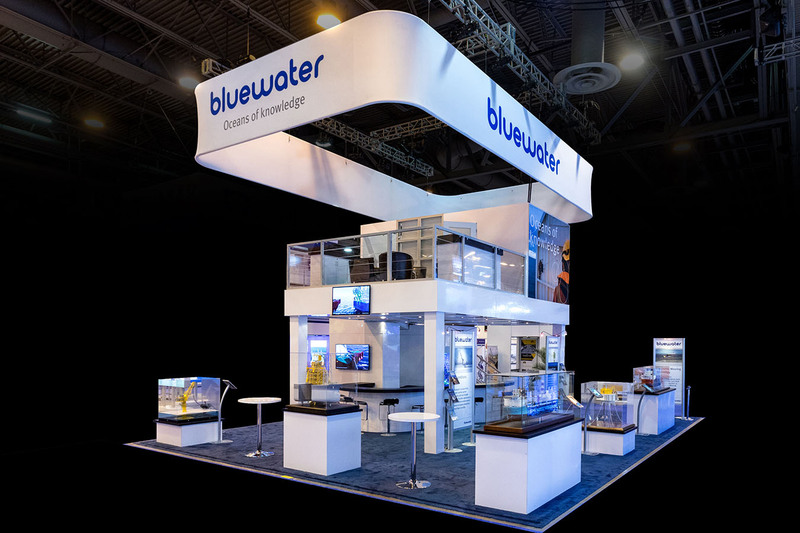 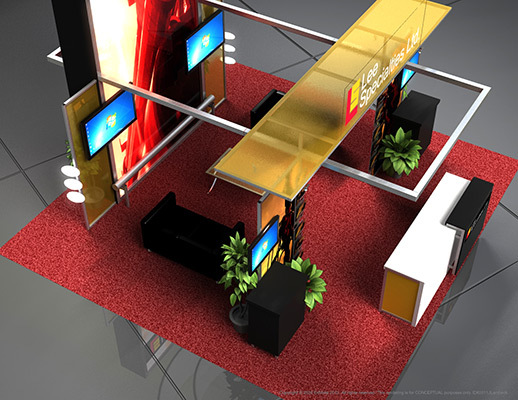 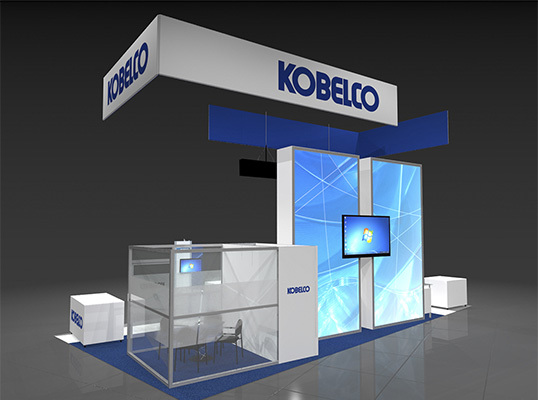 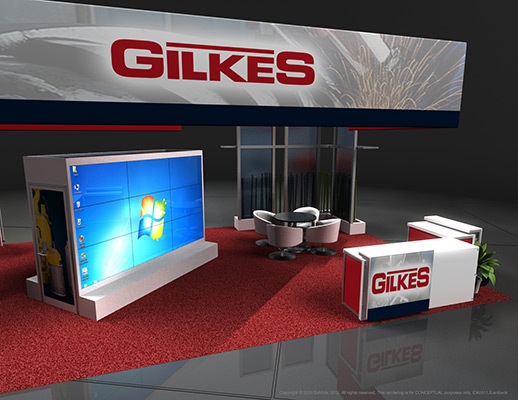 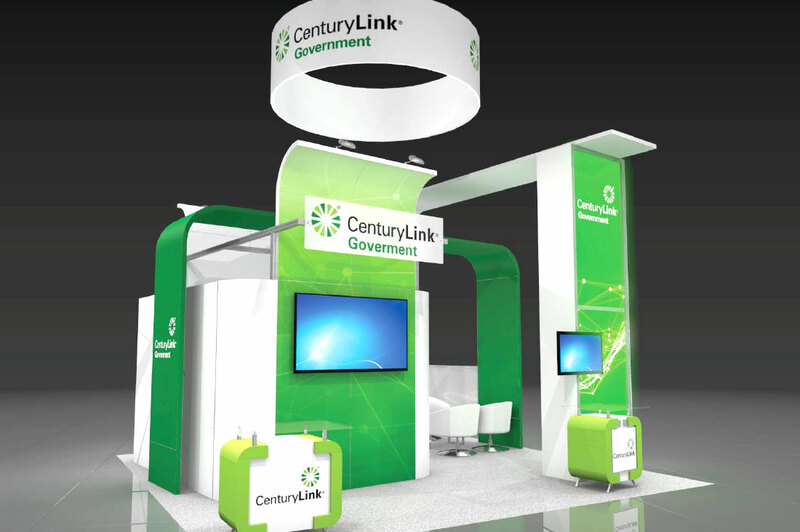 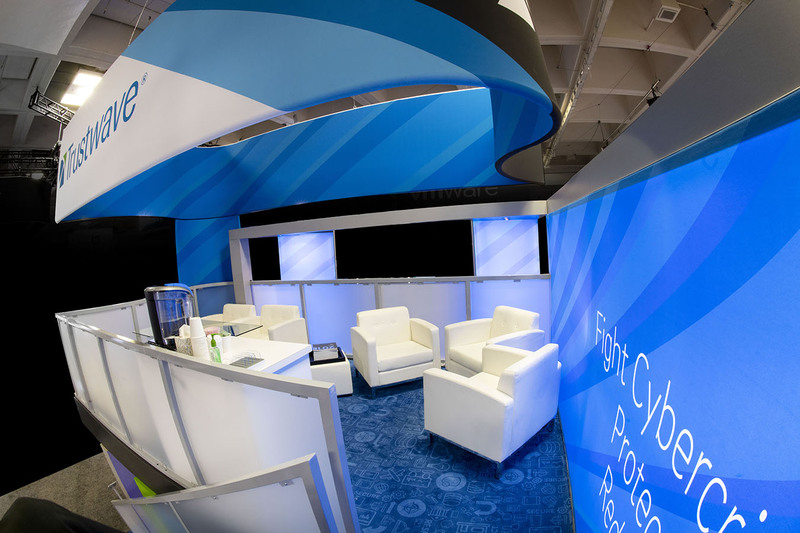 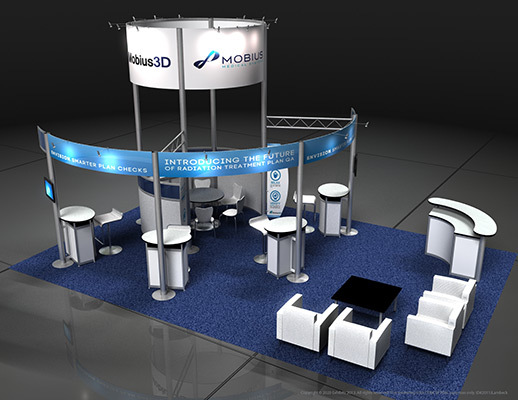 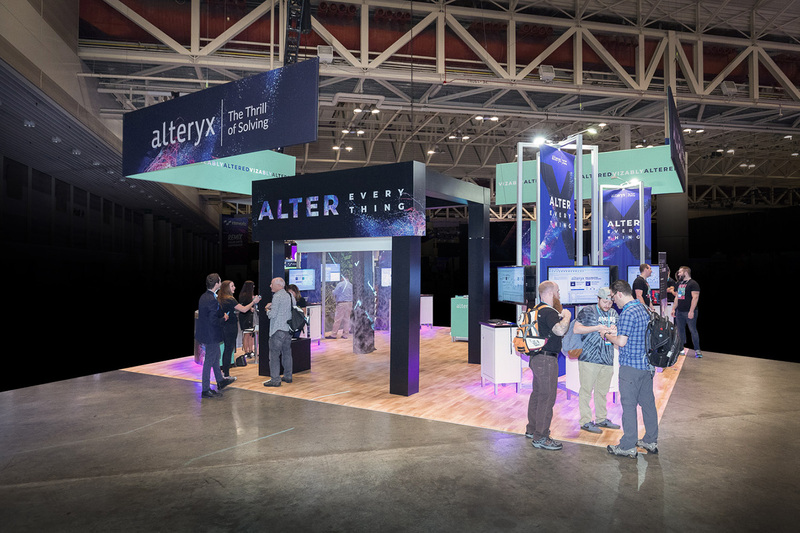 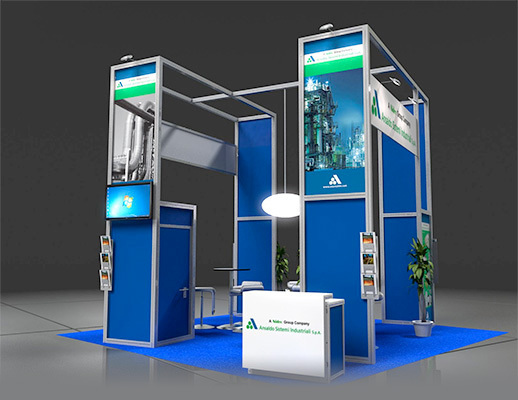 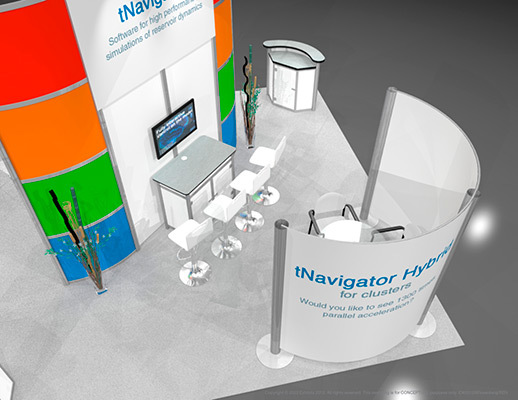 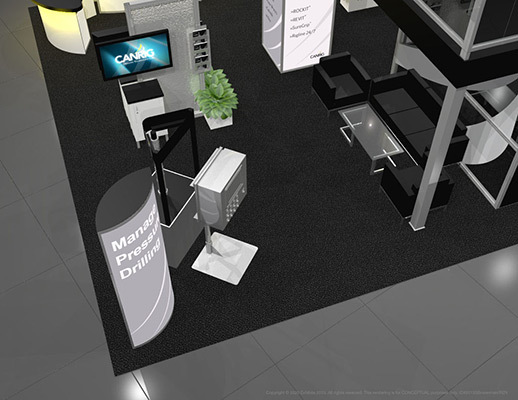 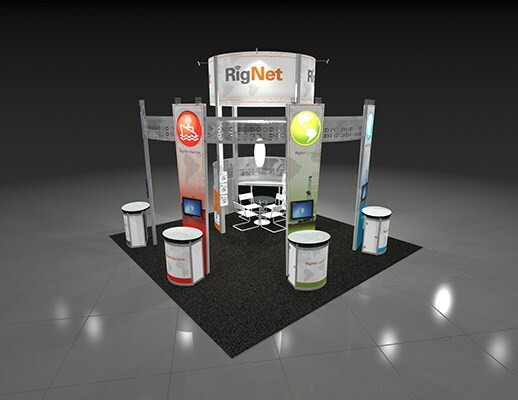 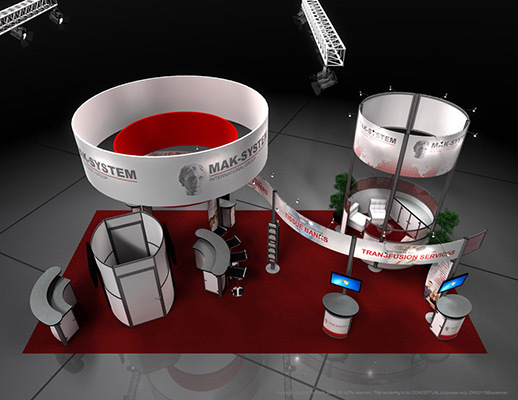 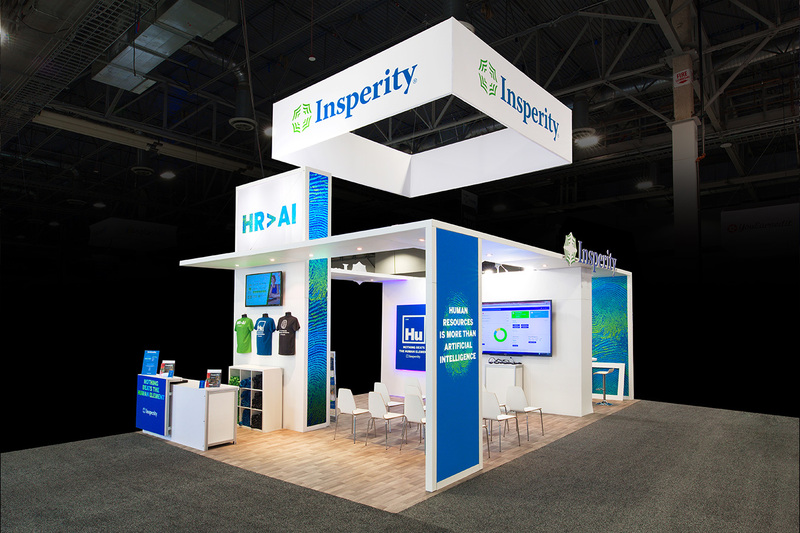 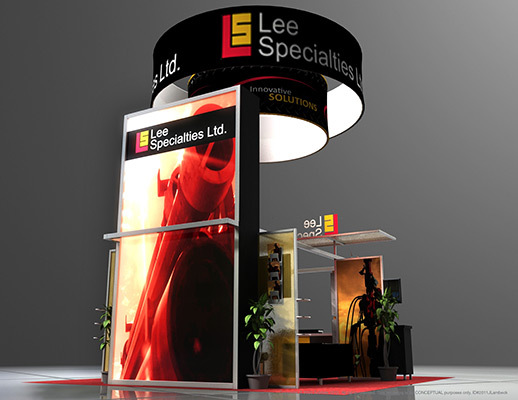 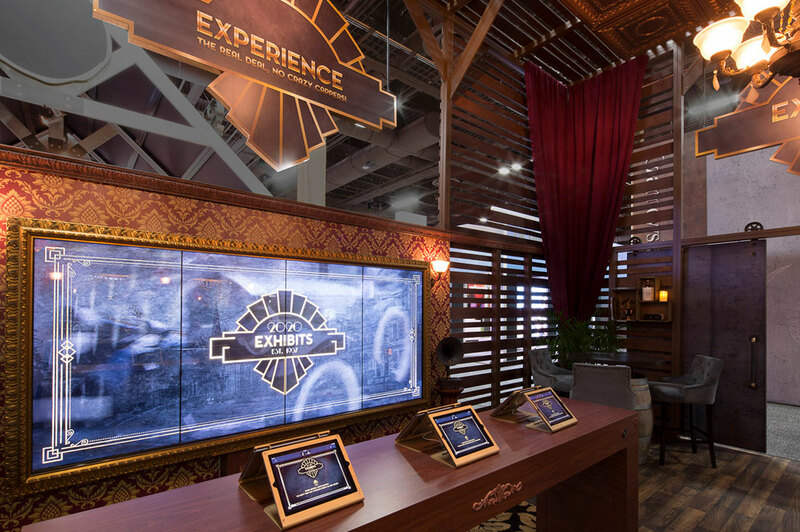 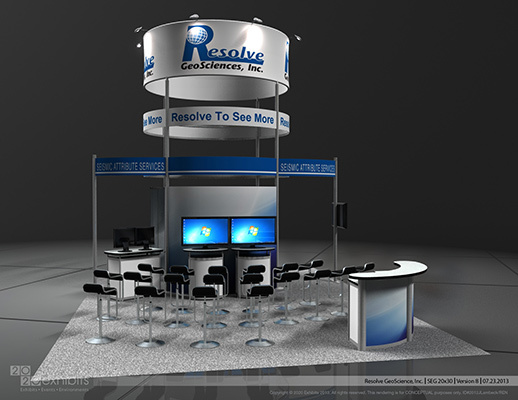 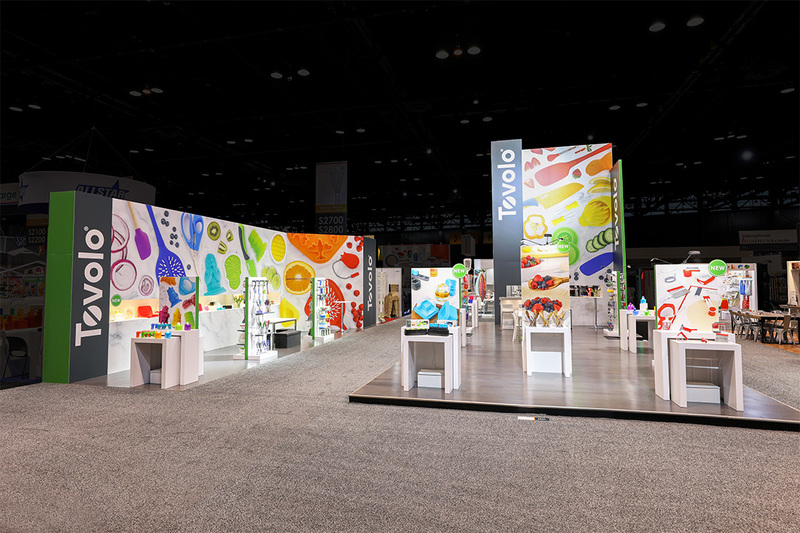 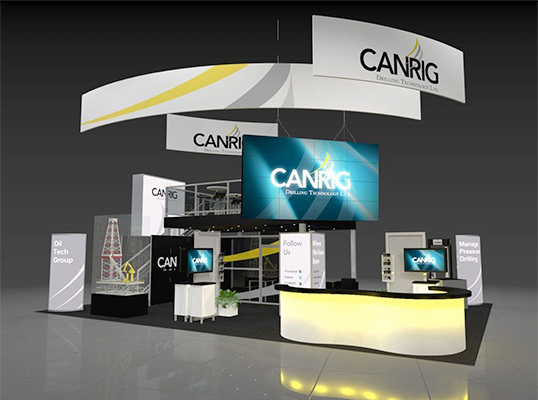 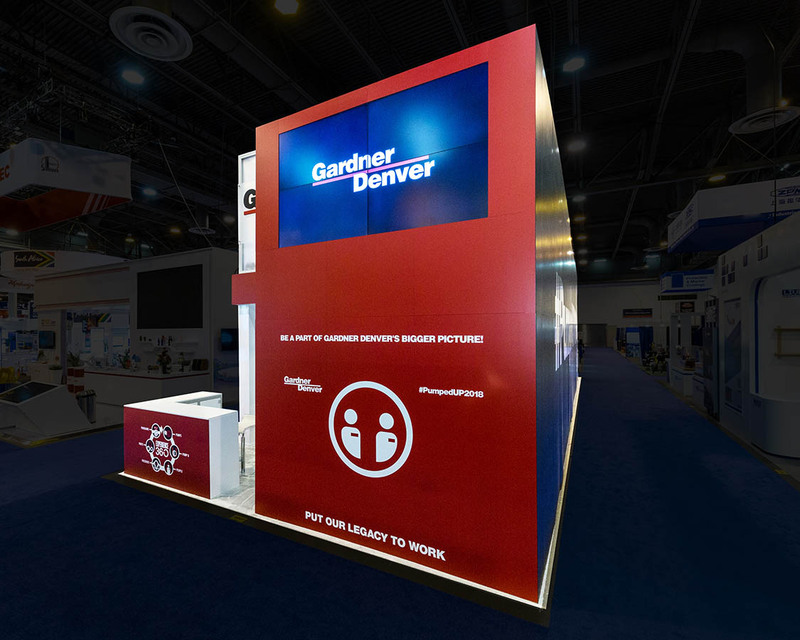 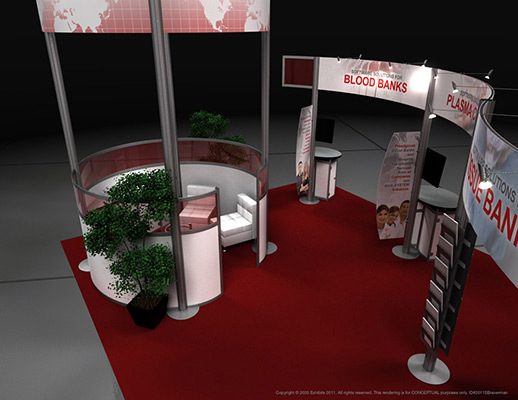 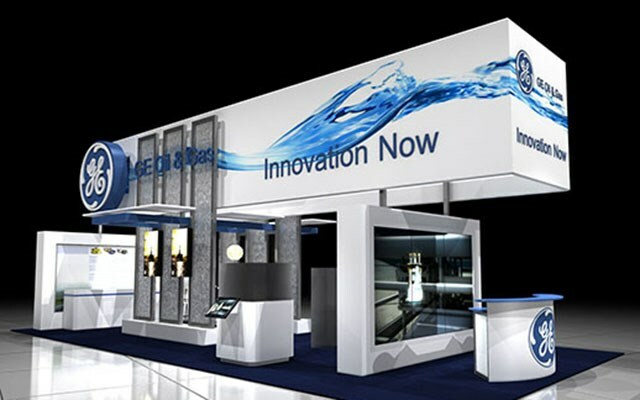 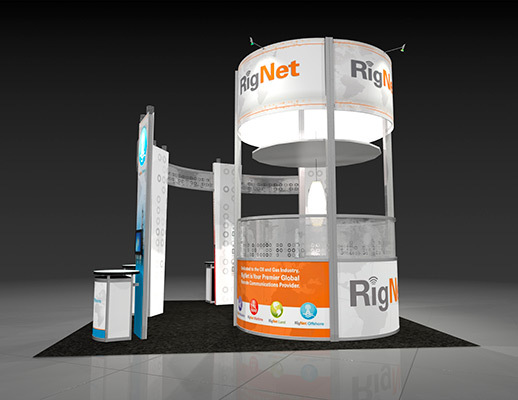 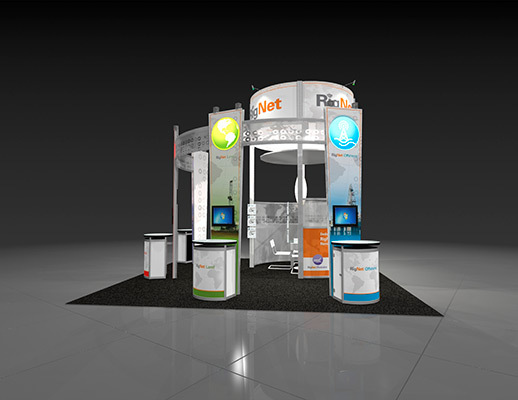 This reconfigurable booth is ready to maximize traffic. 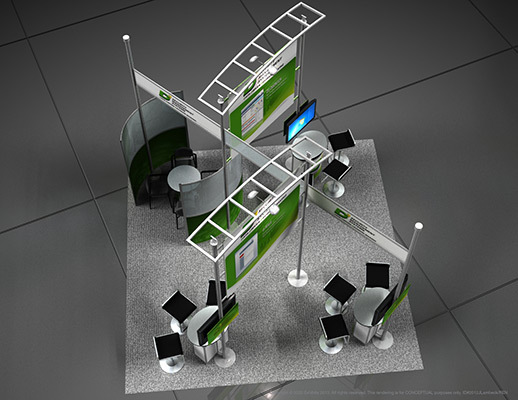 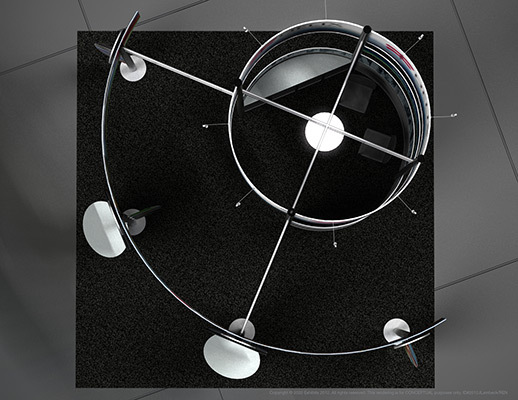 It has multiple areas where you will be able to display your brand. 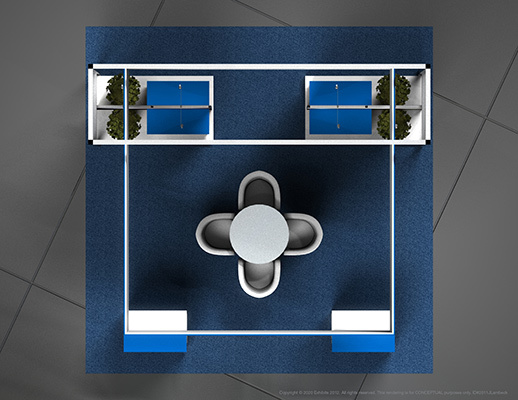 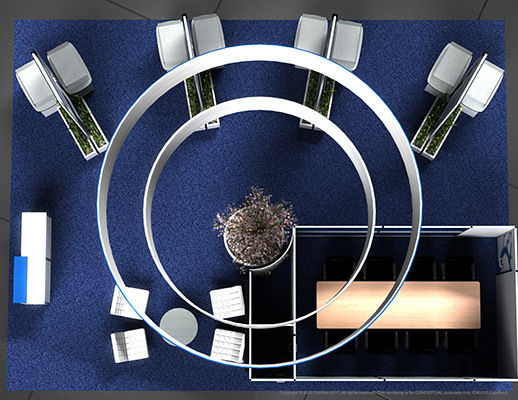 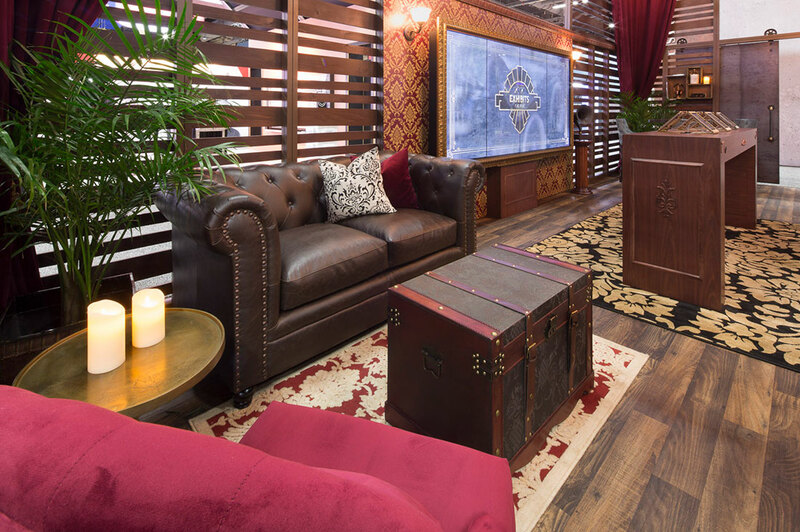 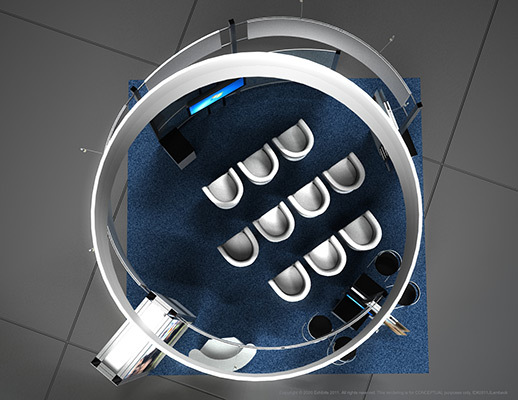 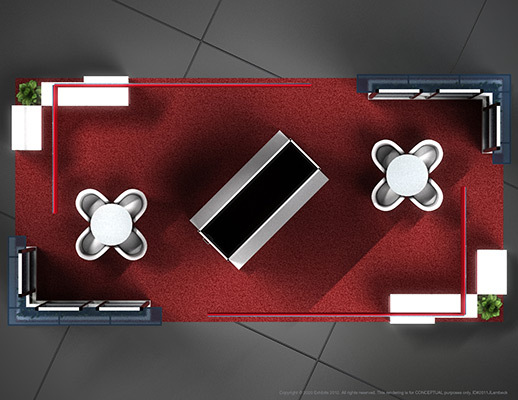 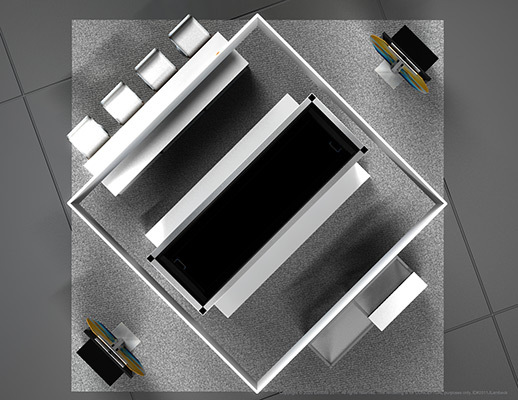 Features include a large conference room, comfortable lounge area, reception desk, a storage closet, workstation, monitors, a hanging sign, and backlighting.